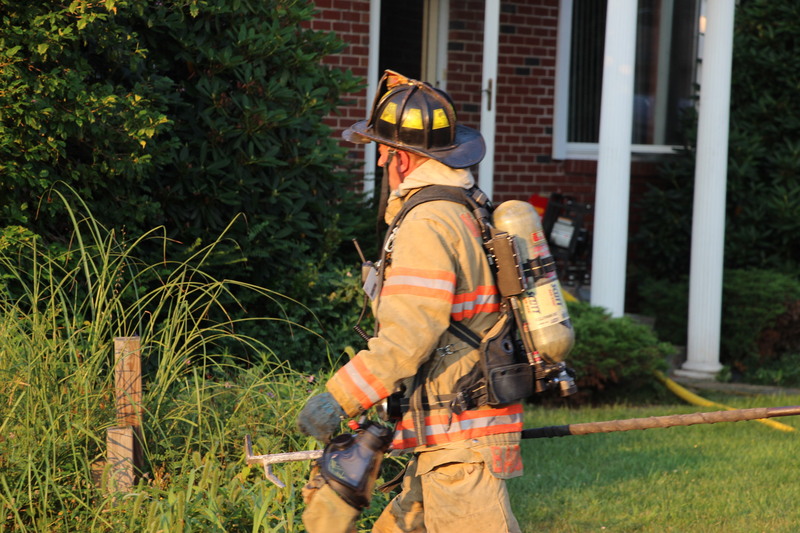 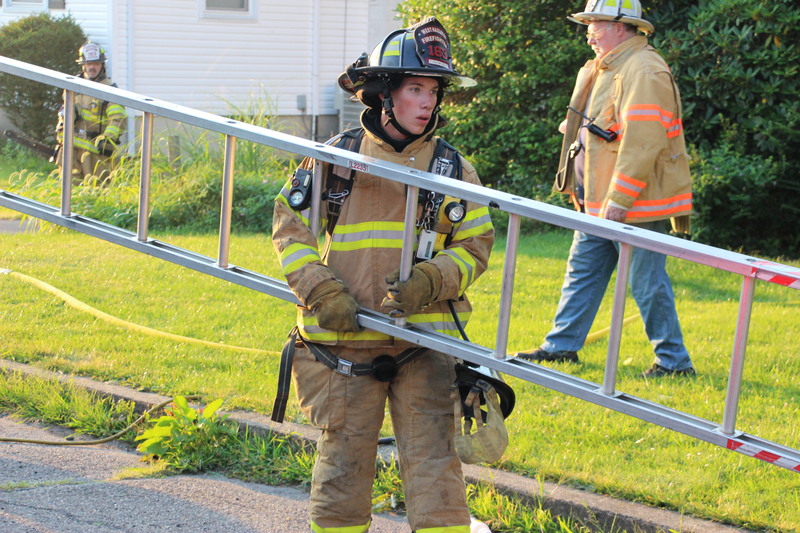 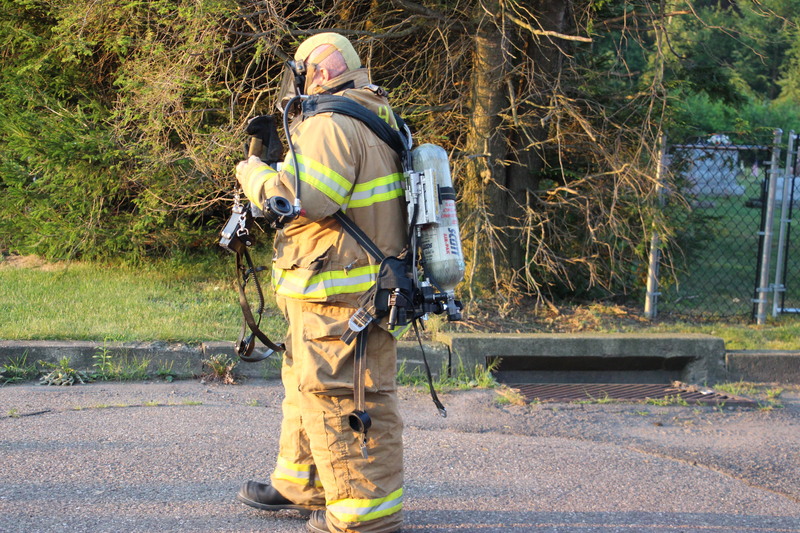 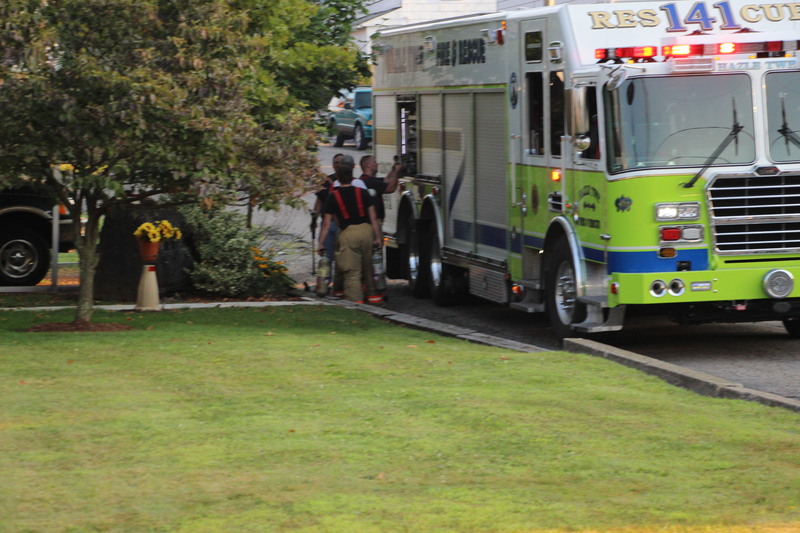 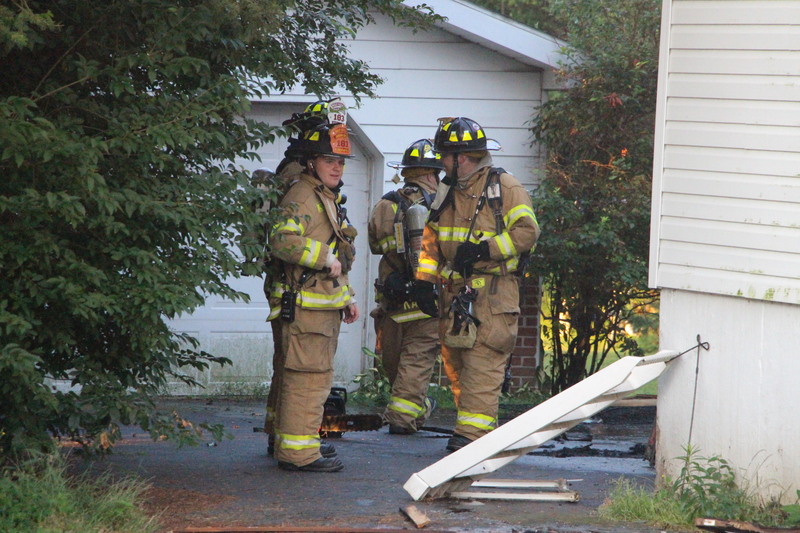 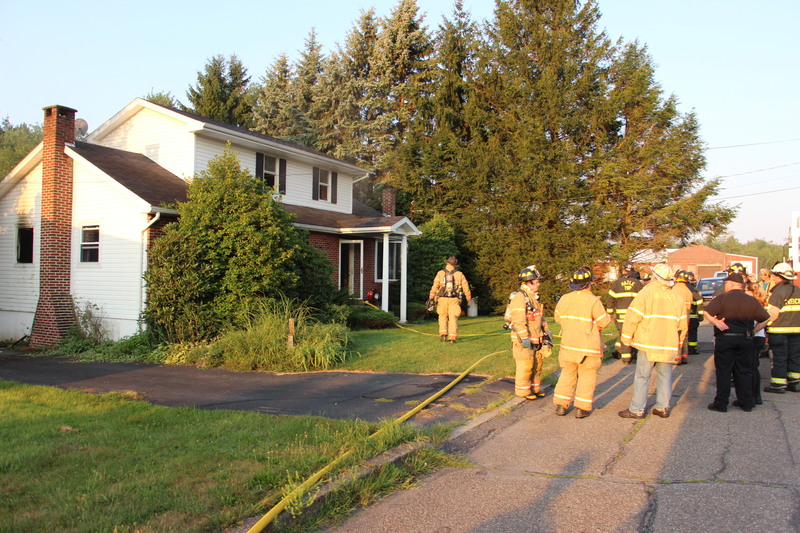 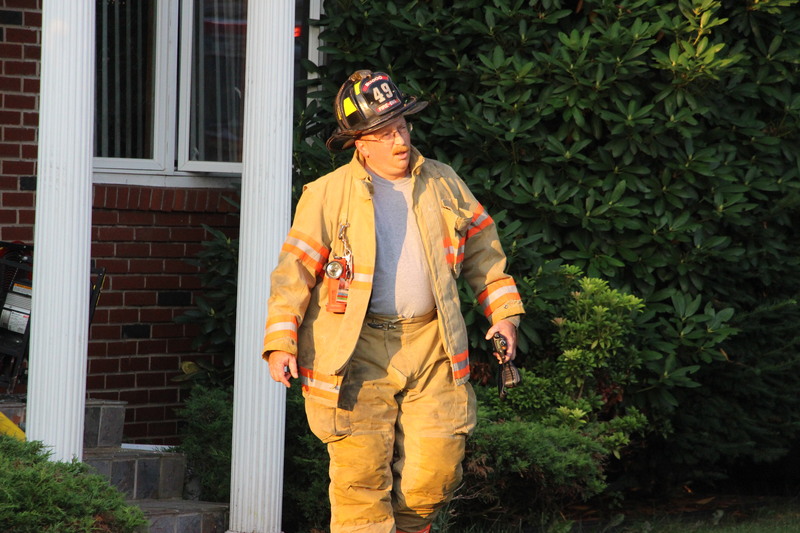 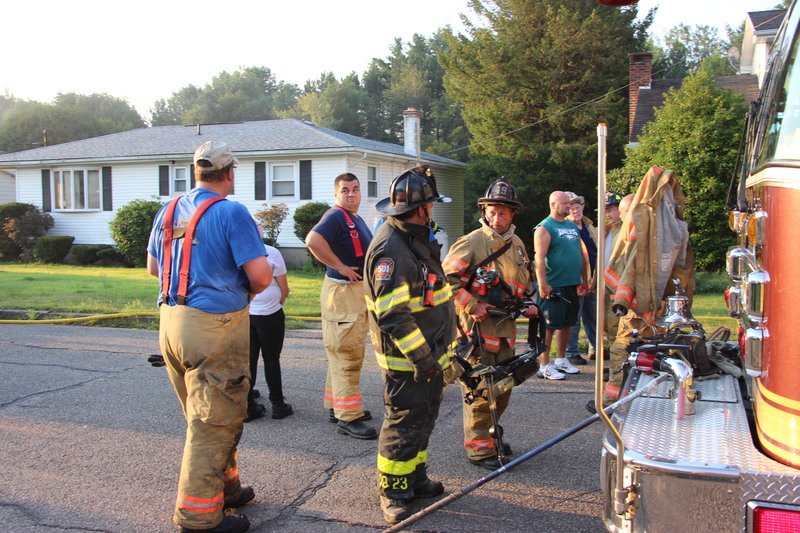 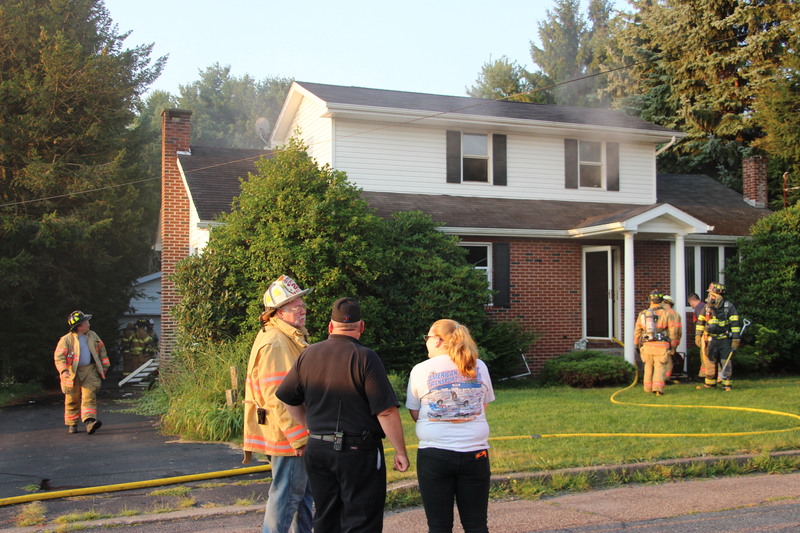 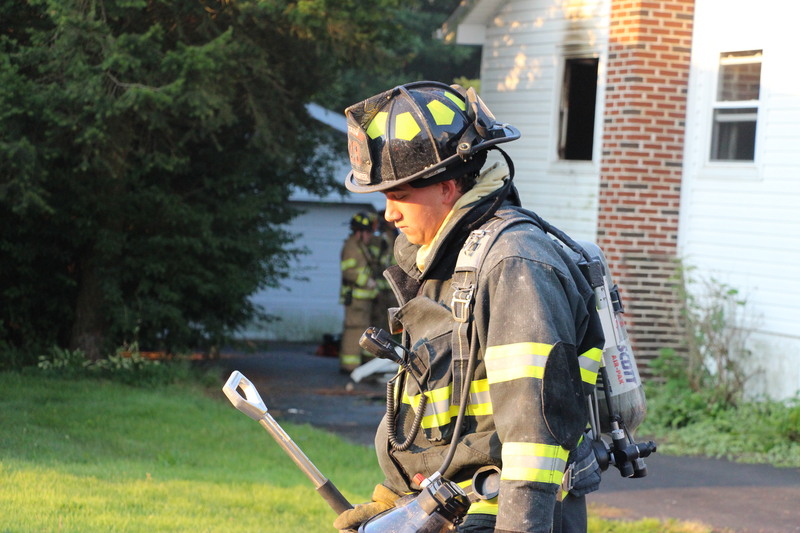 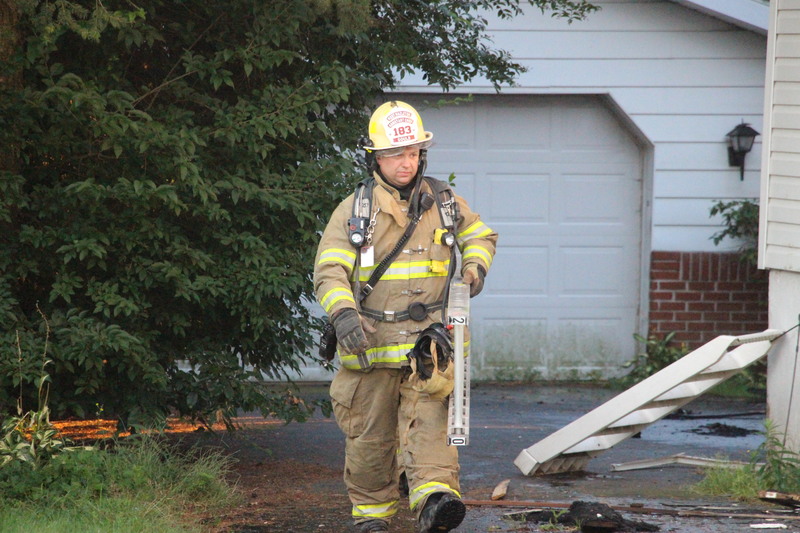 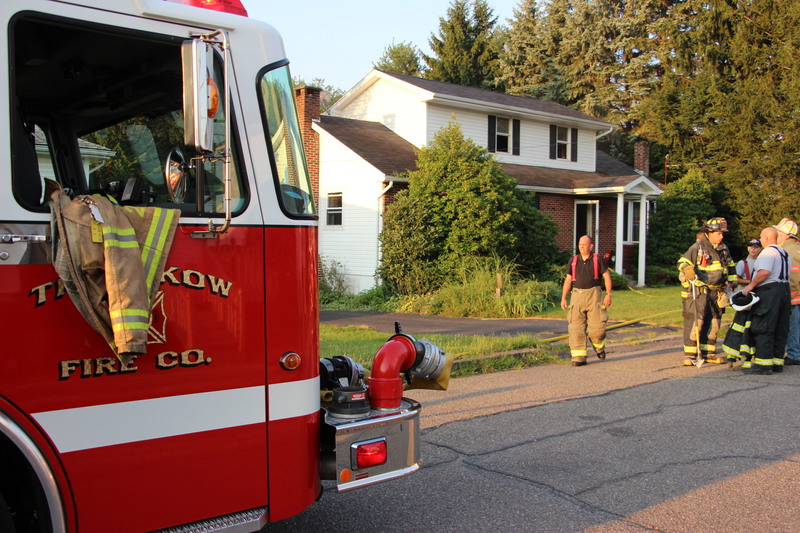 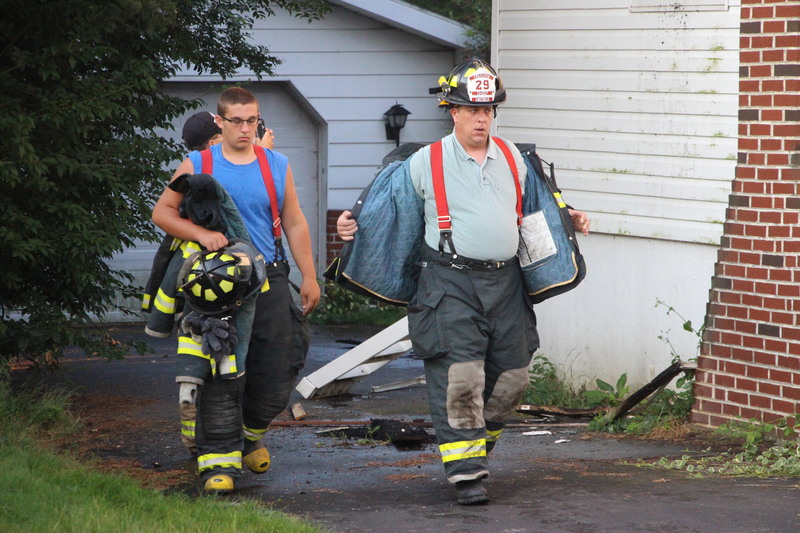 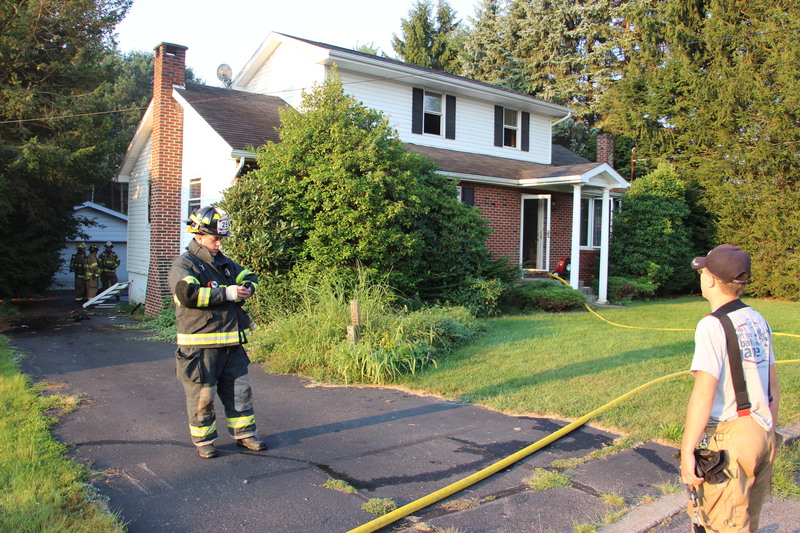 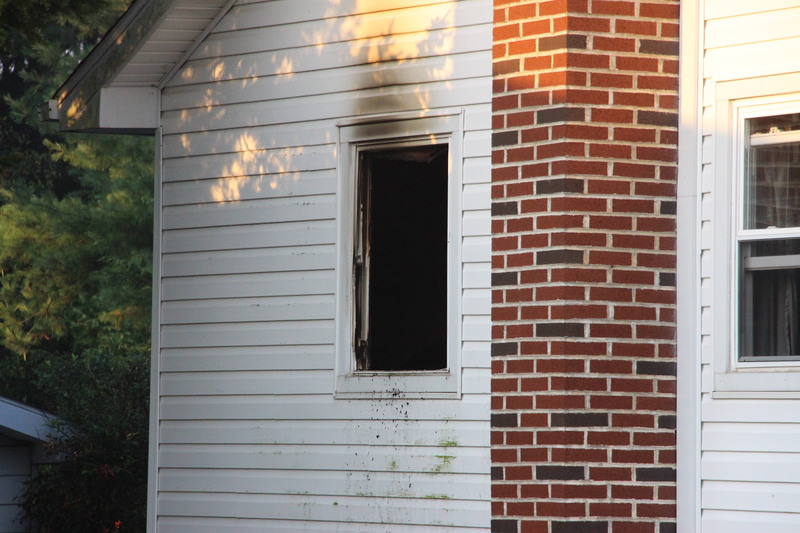 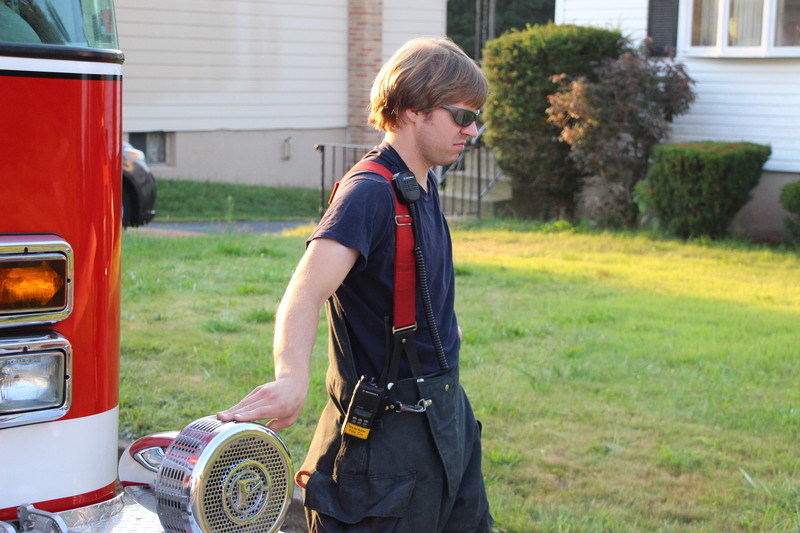 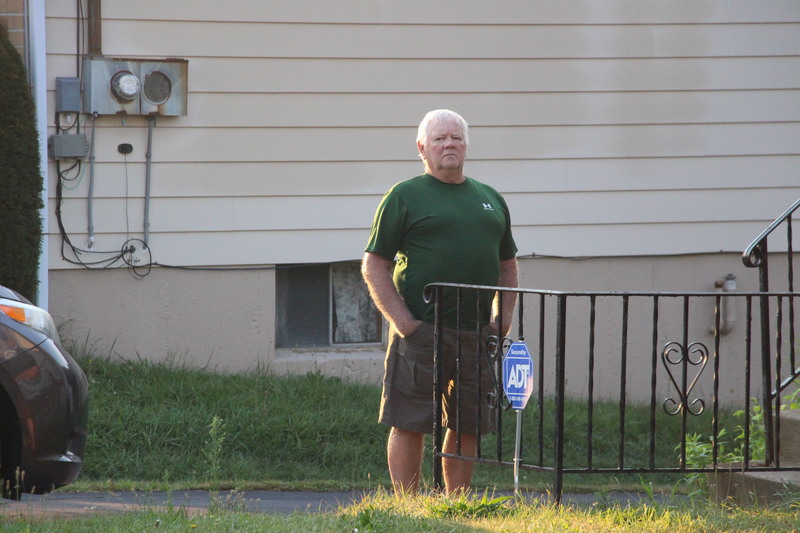 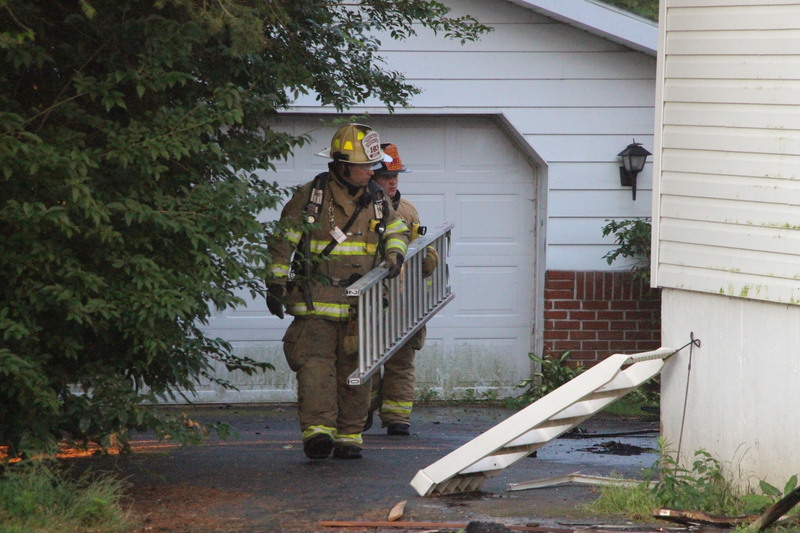 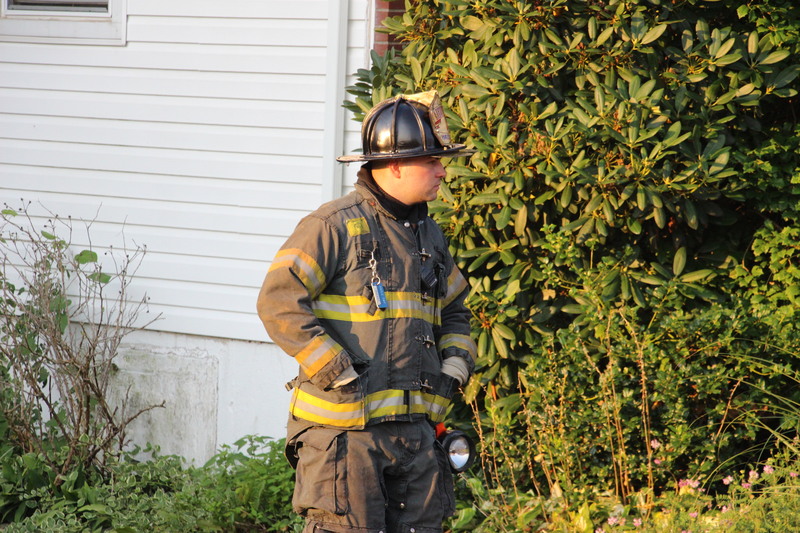 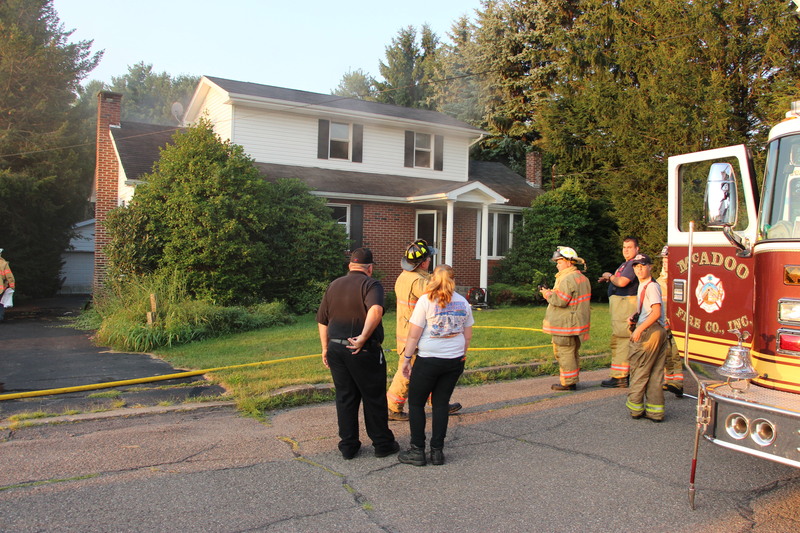 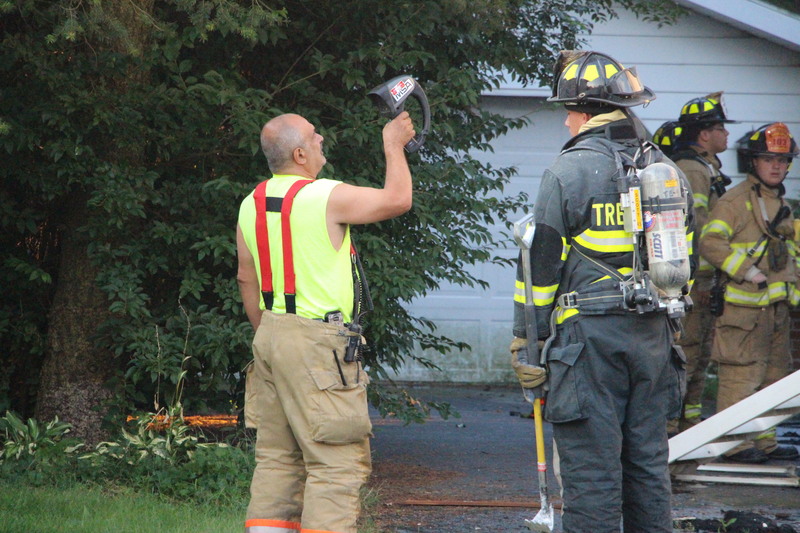 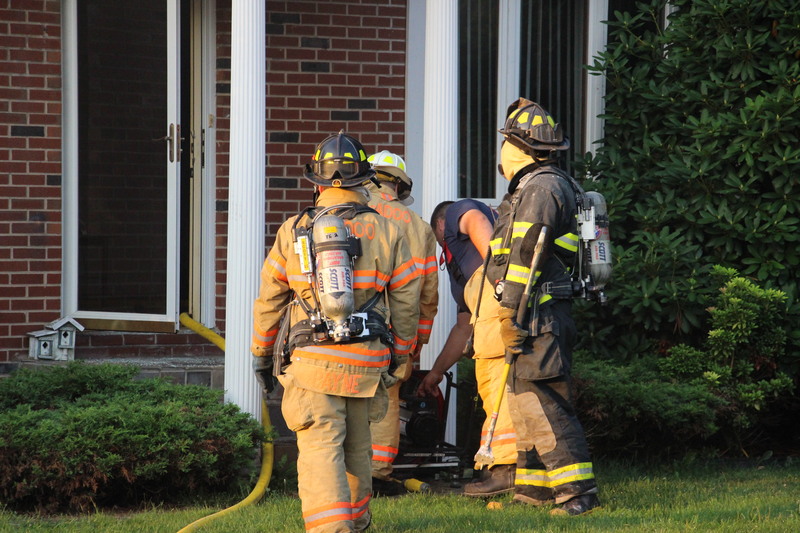 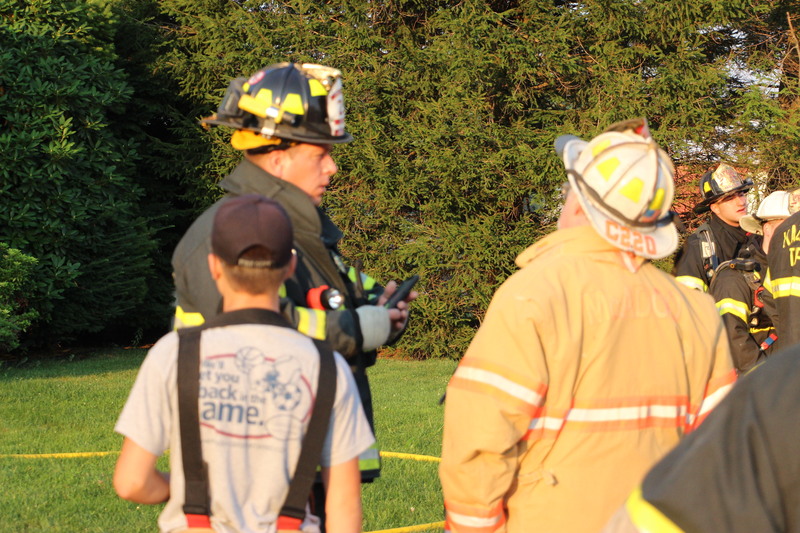 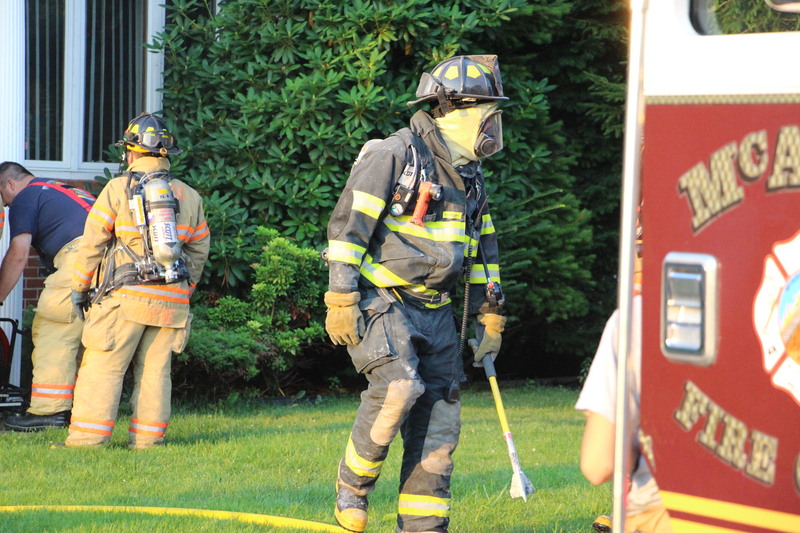 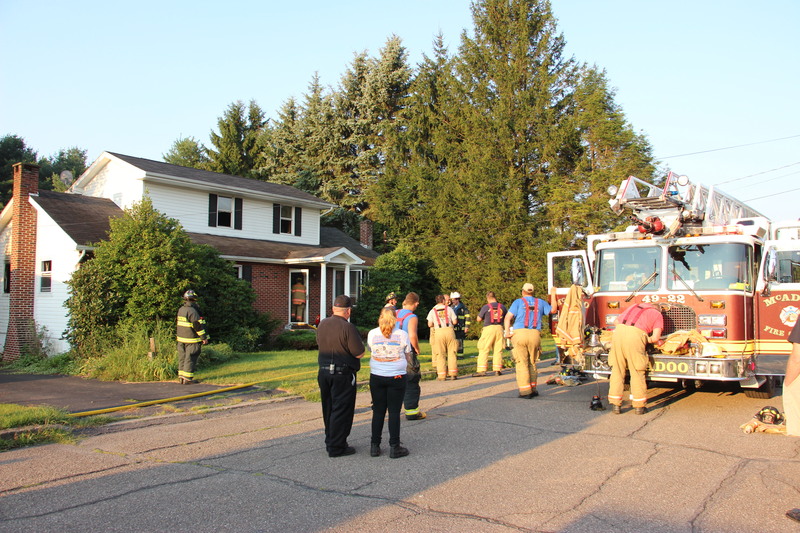 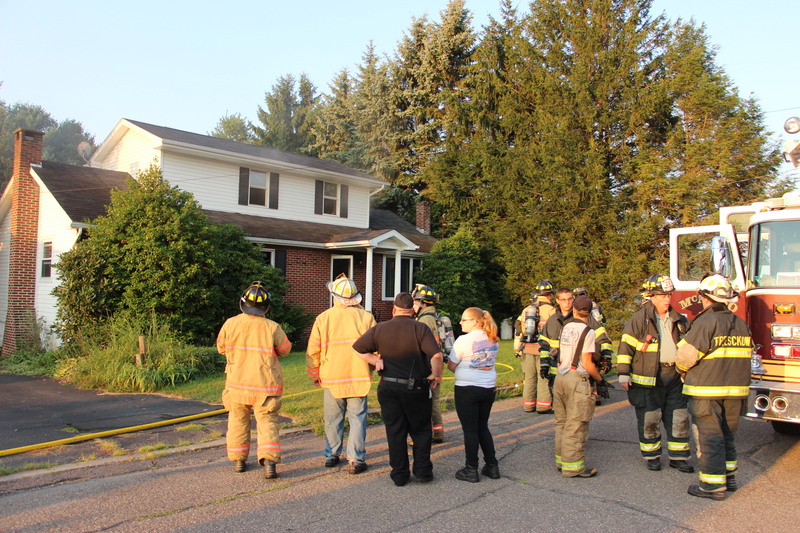 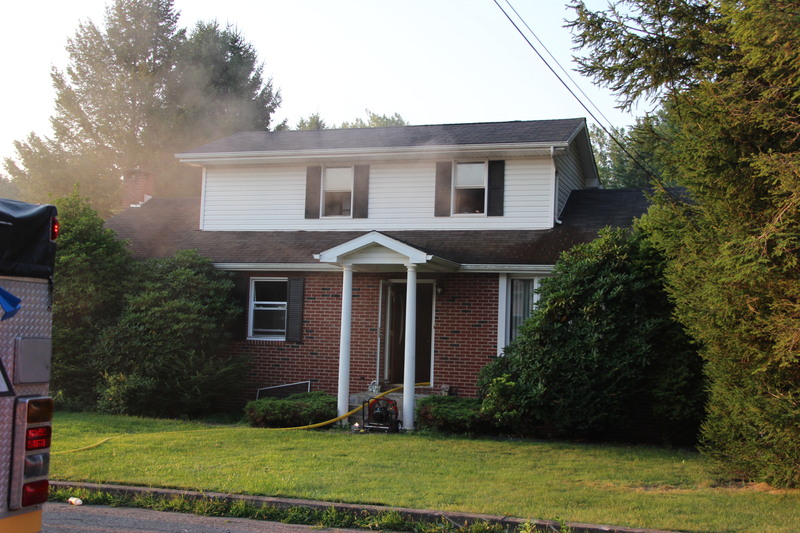 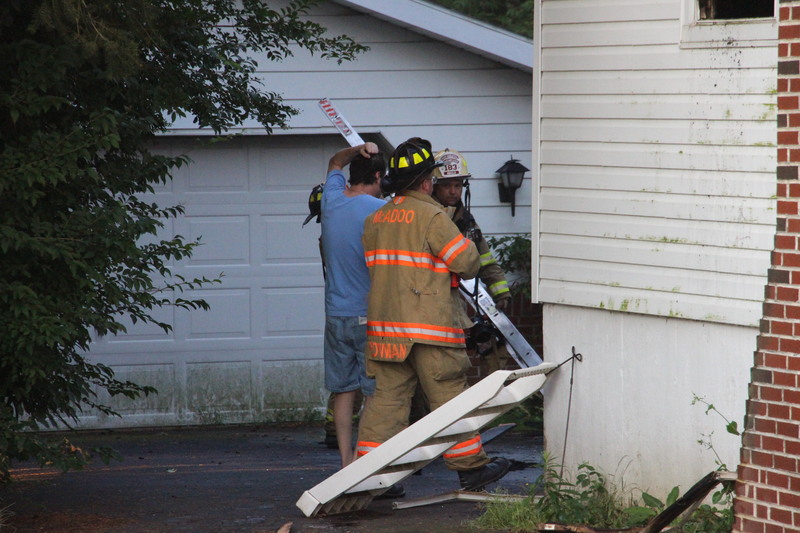 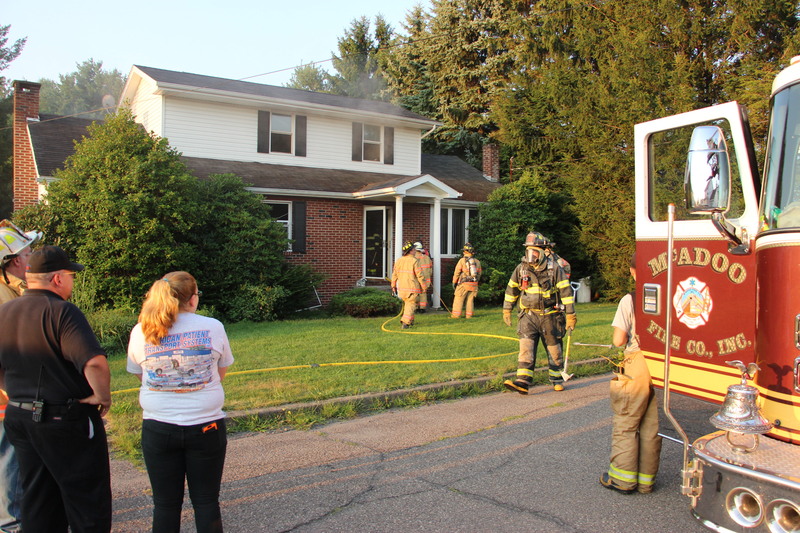 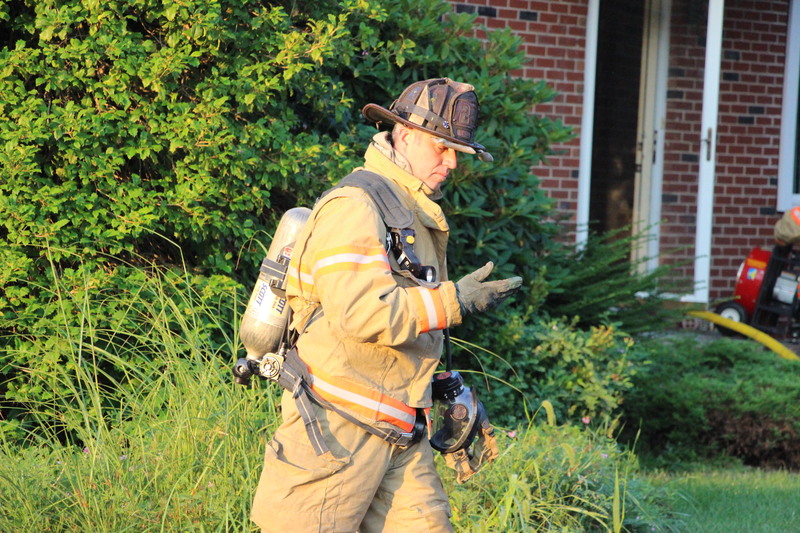 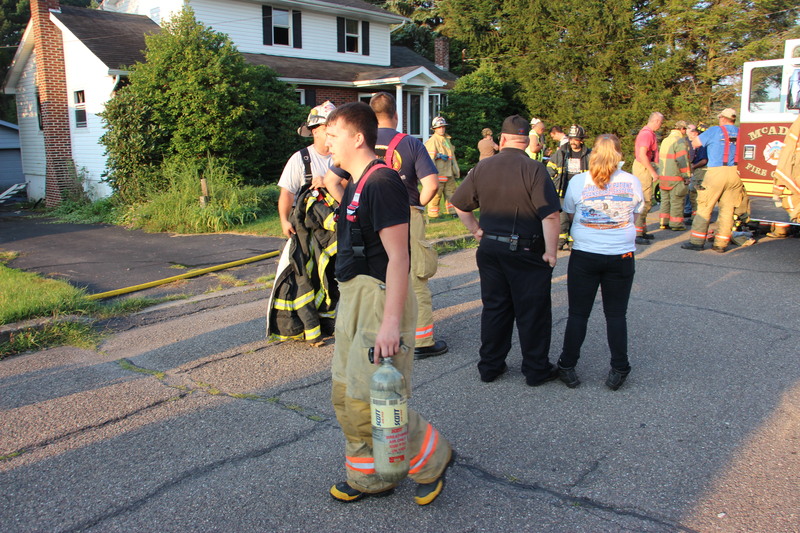 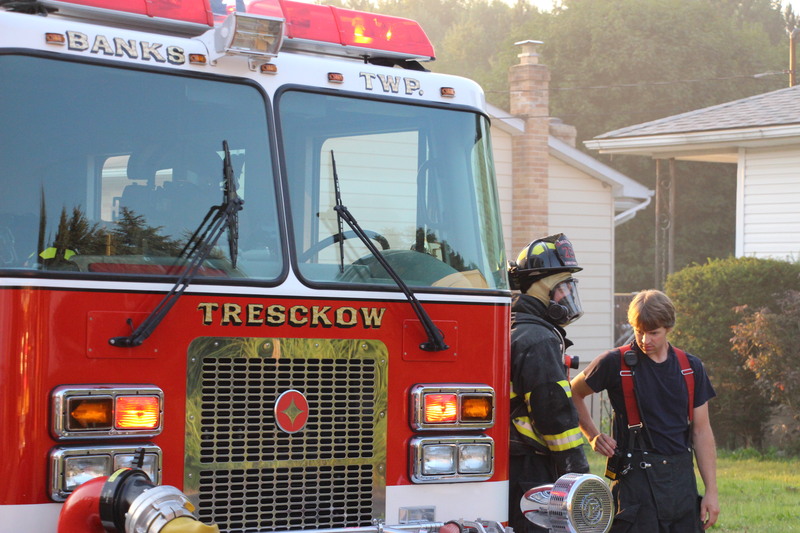 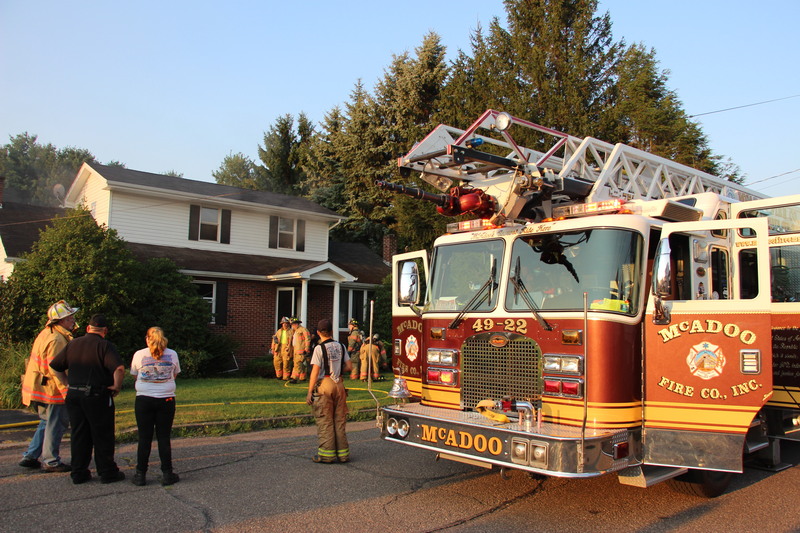 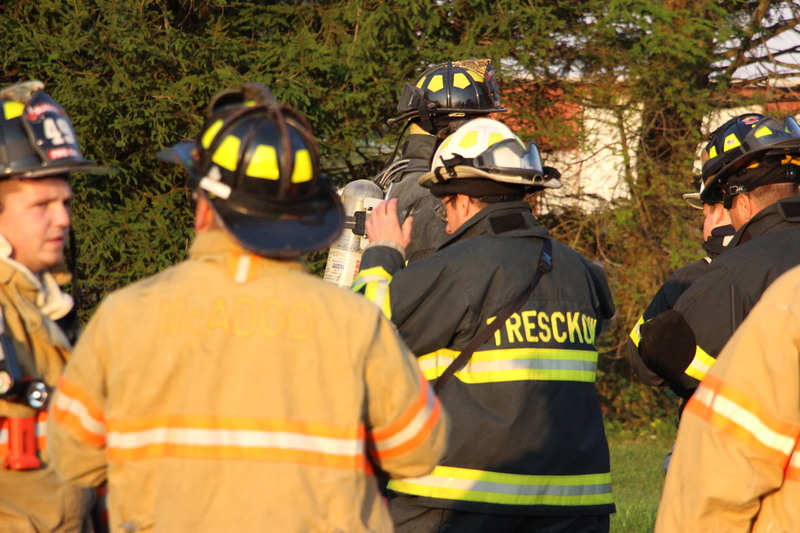 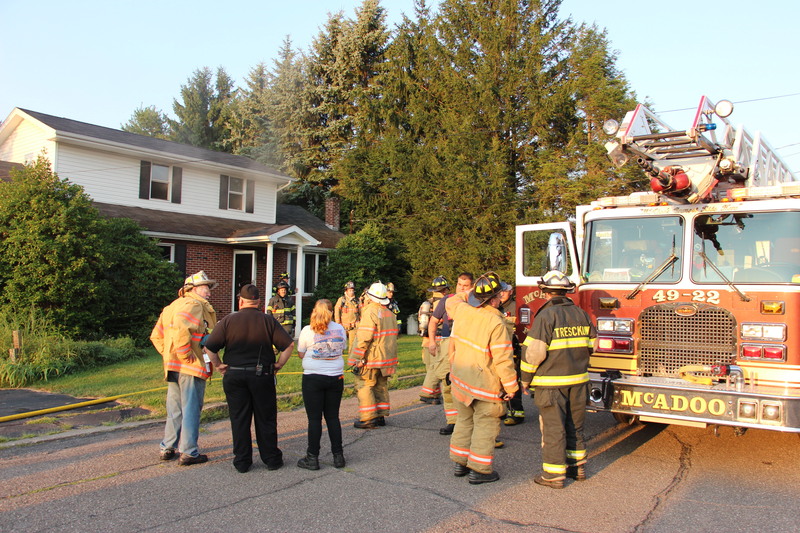 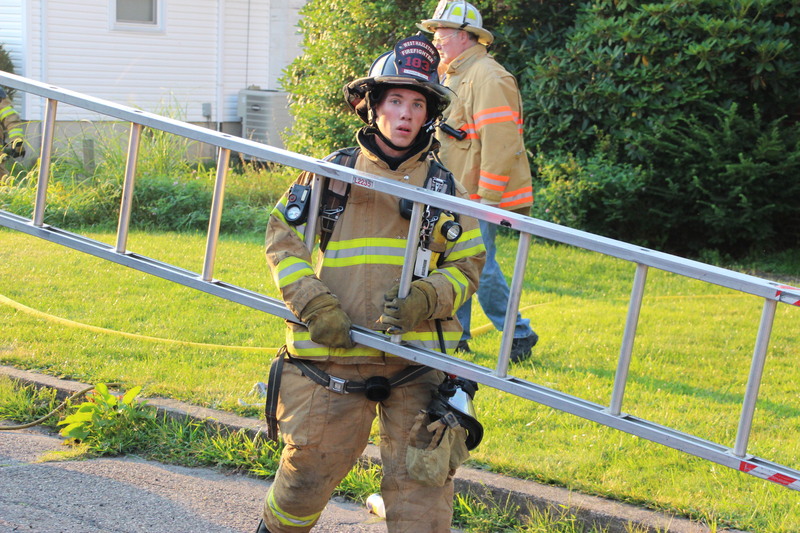 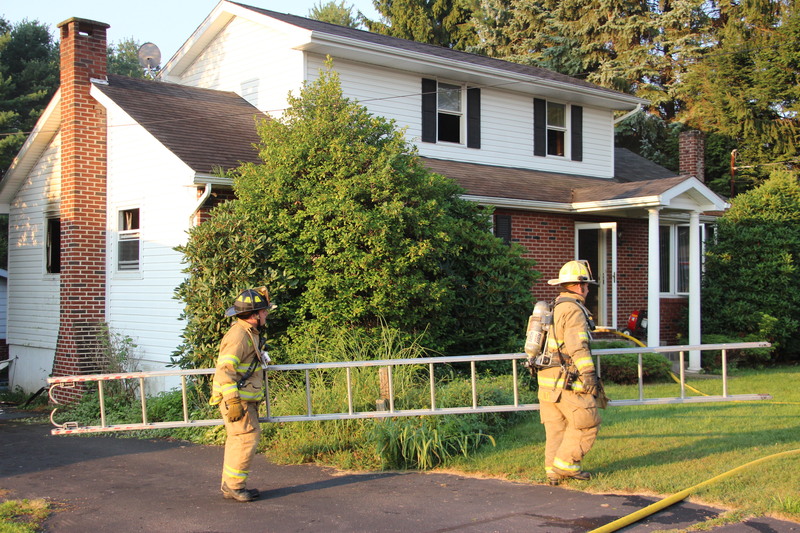 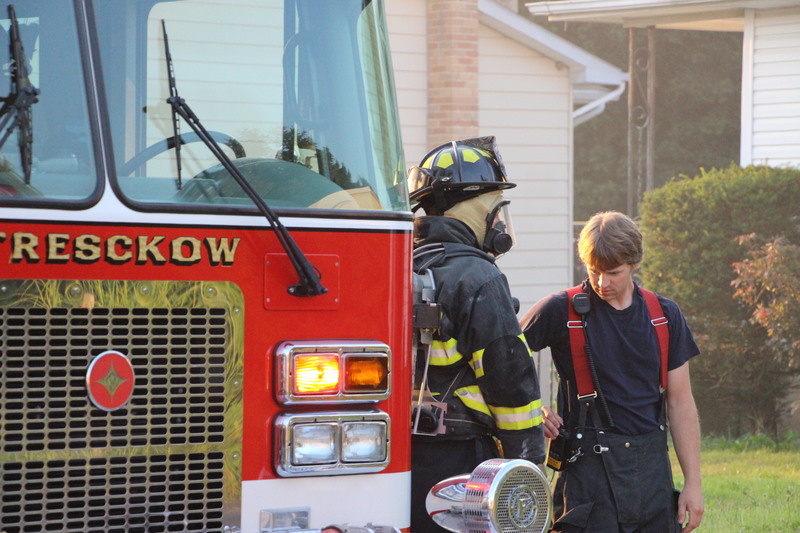 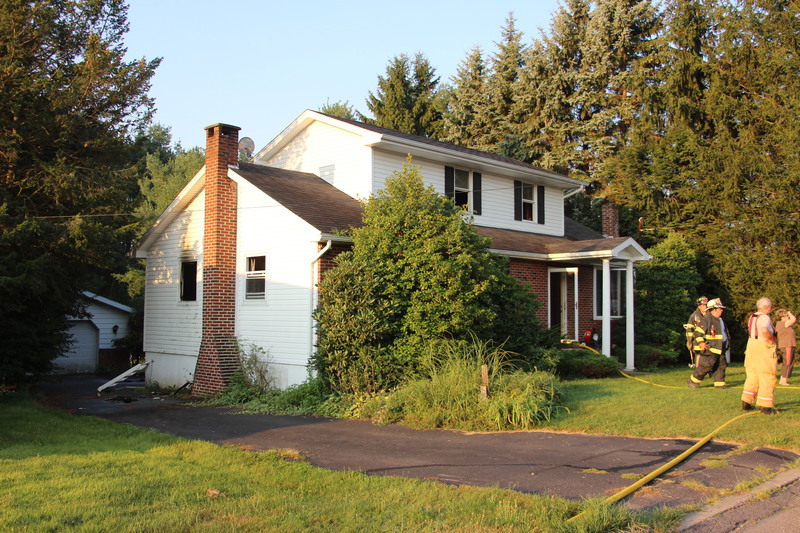 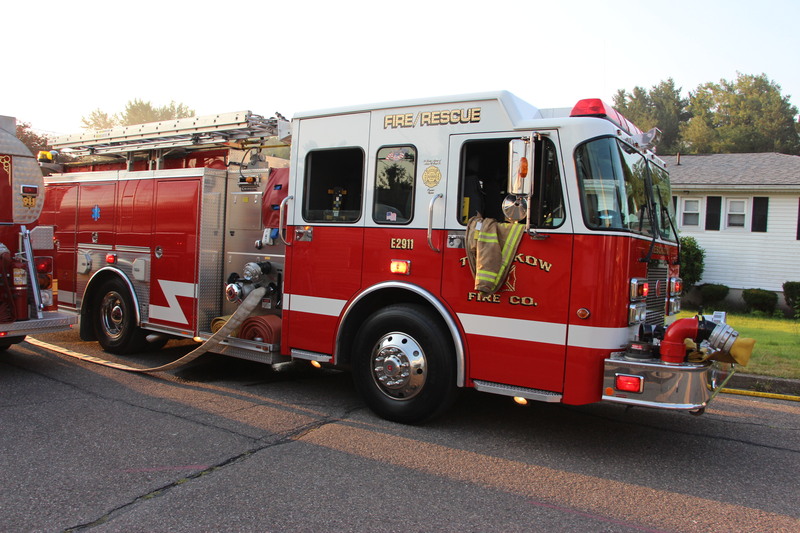 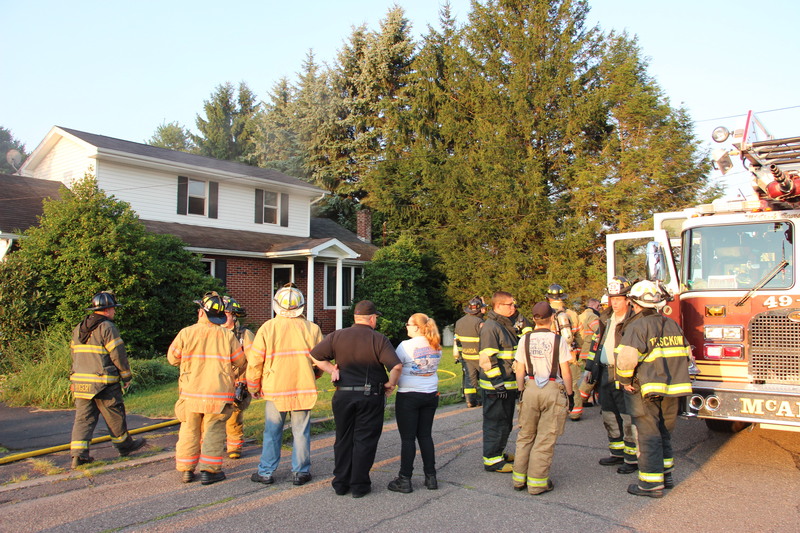 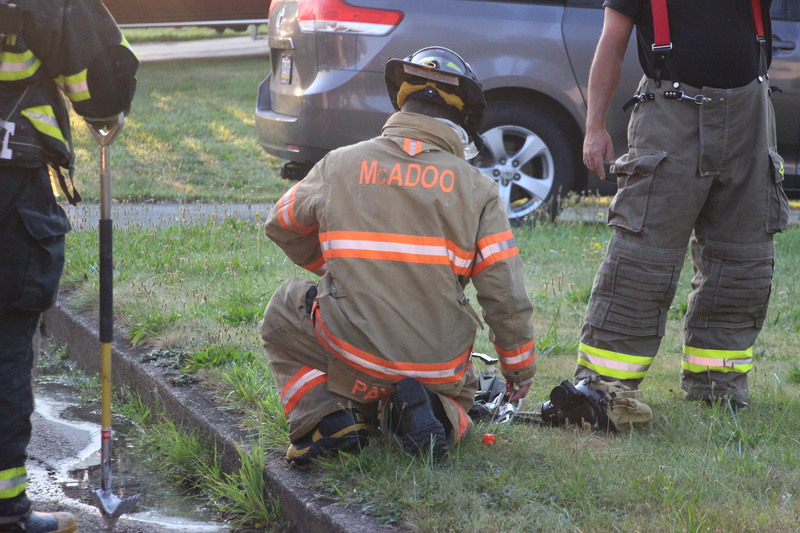 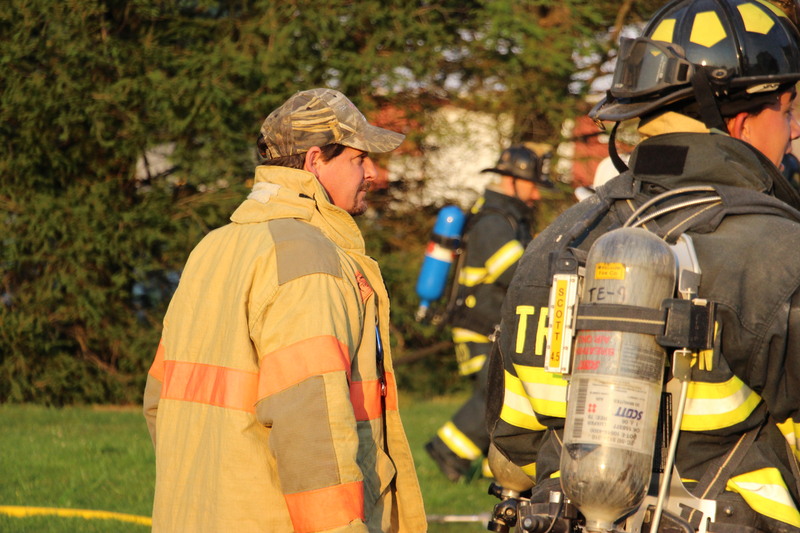 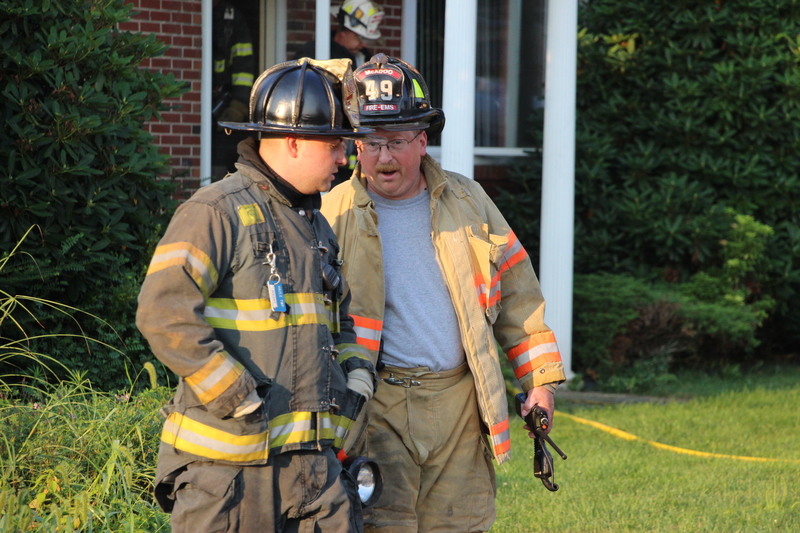 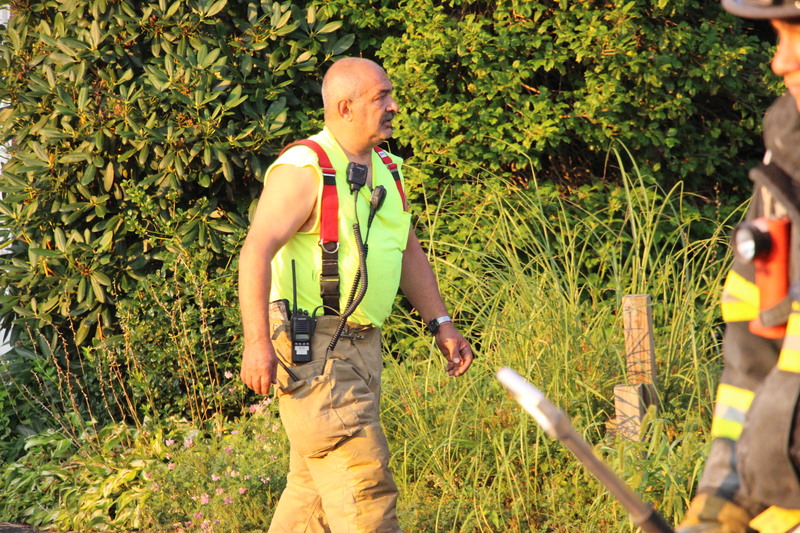 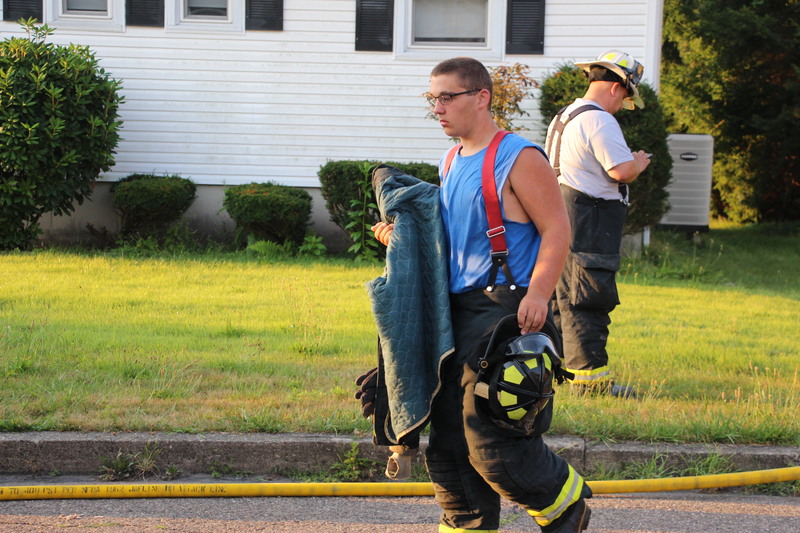 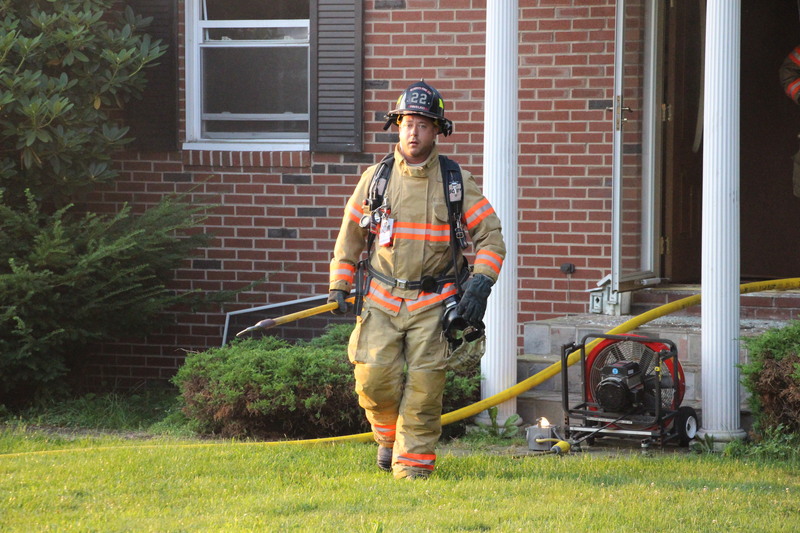 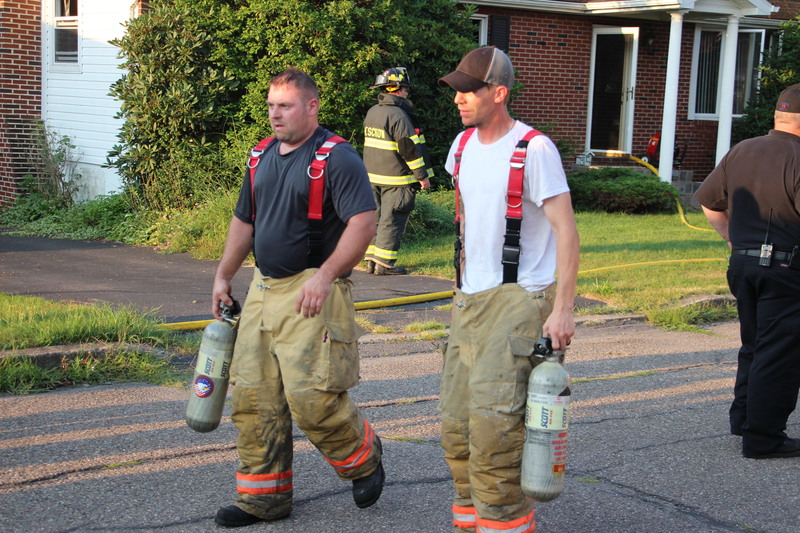 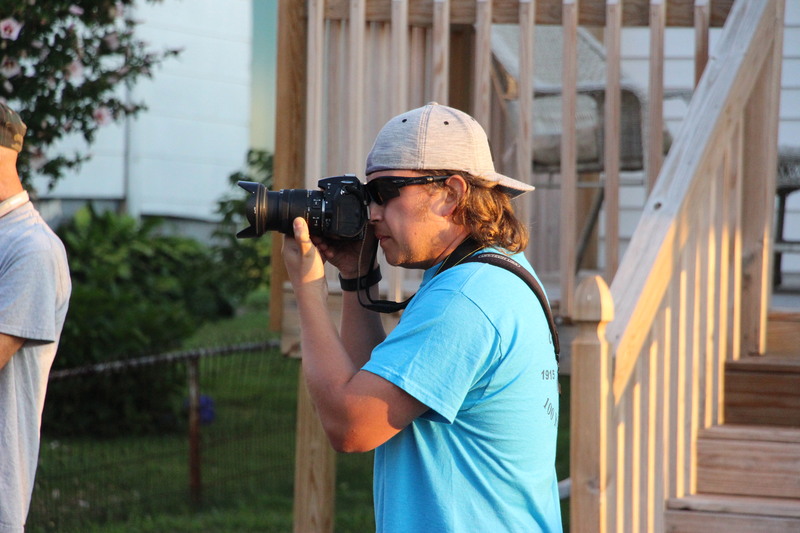 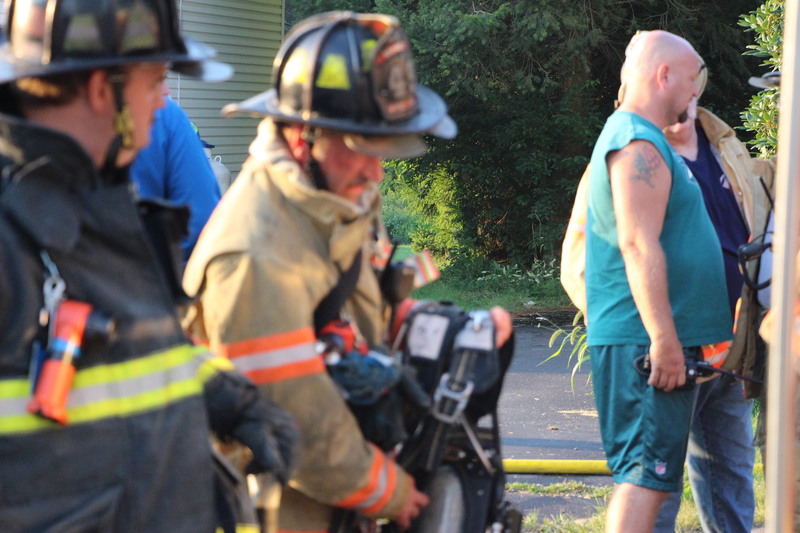 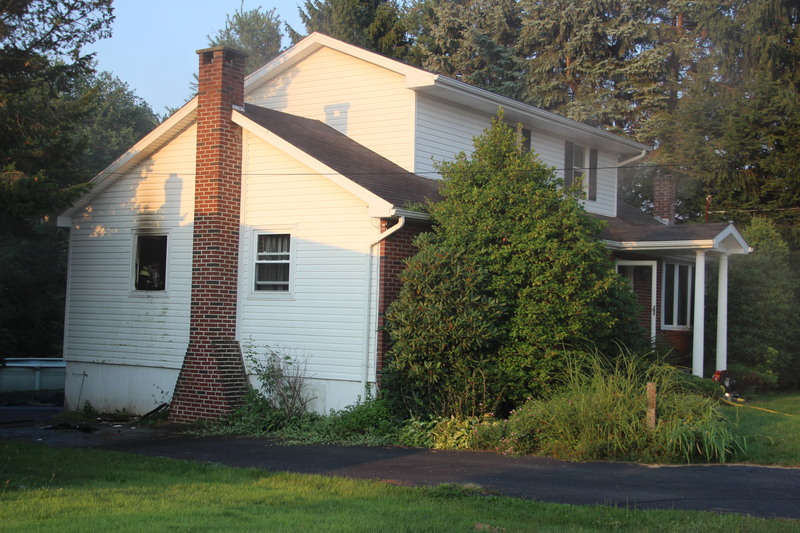 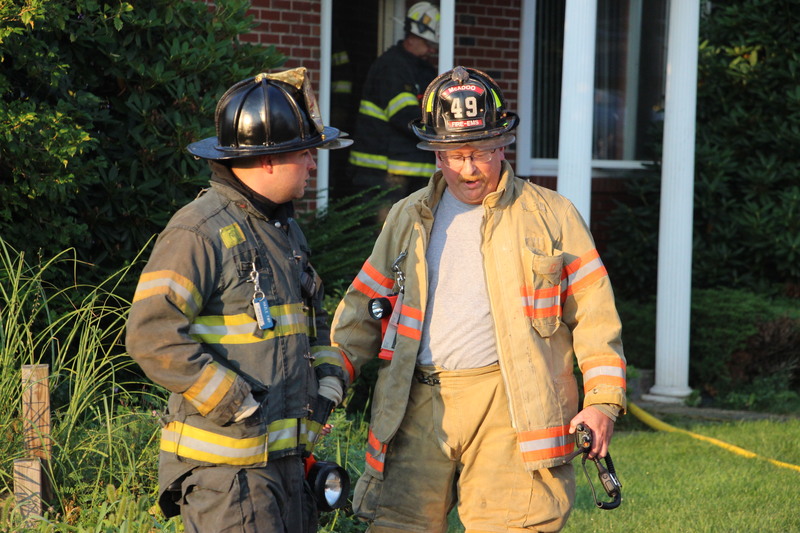 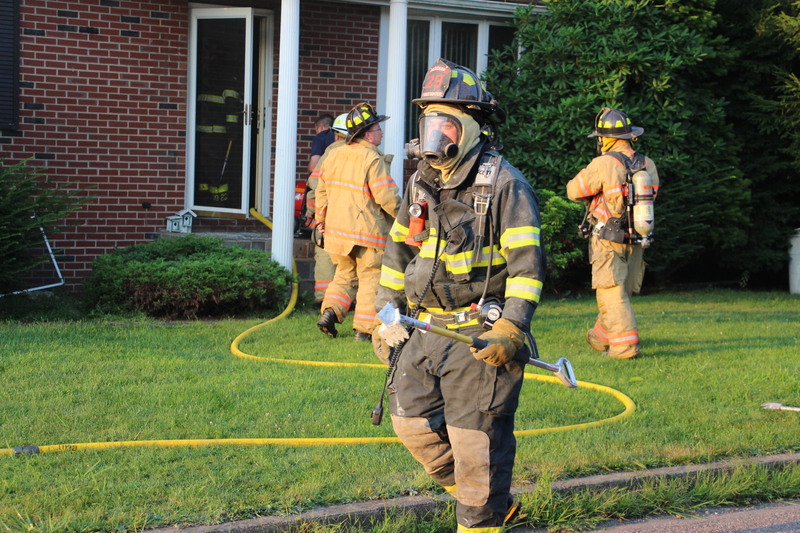 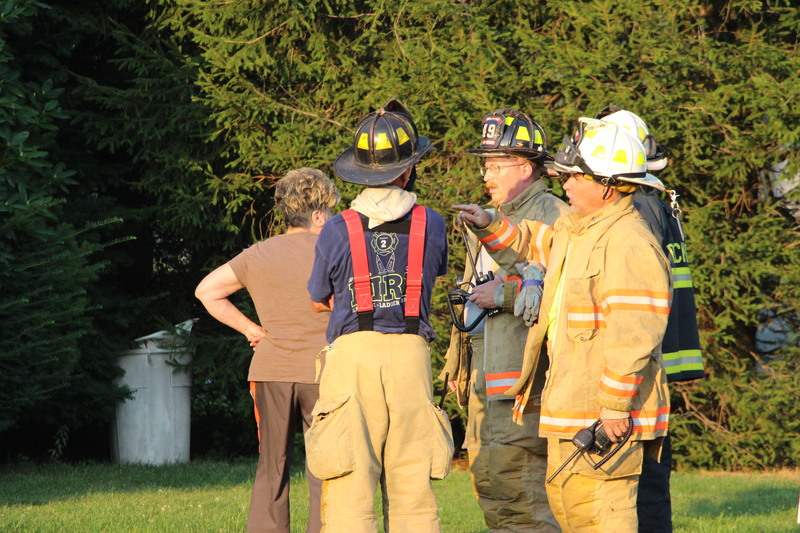 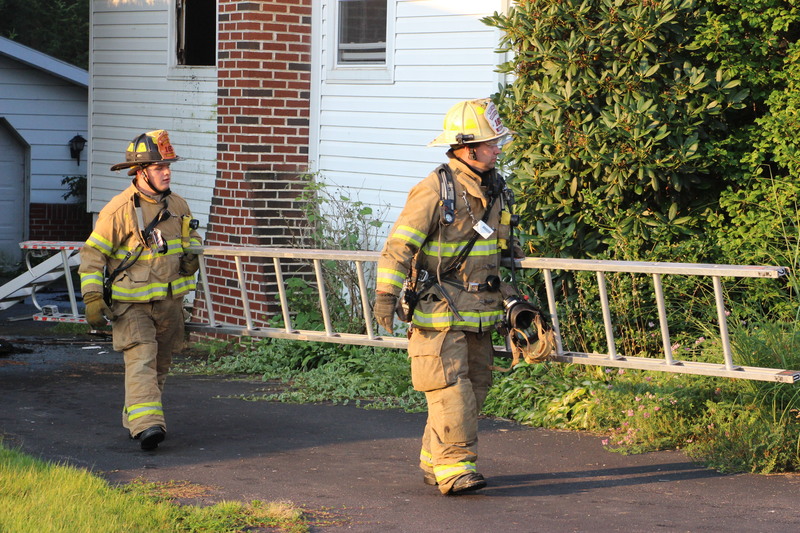 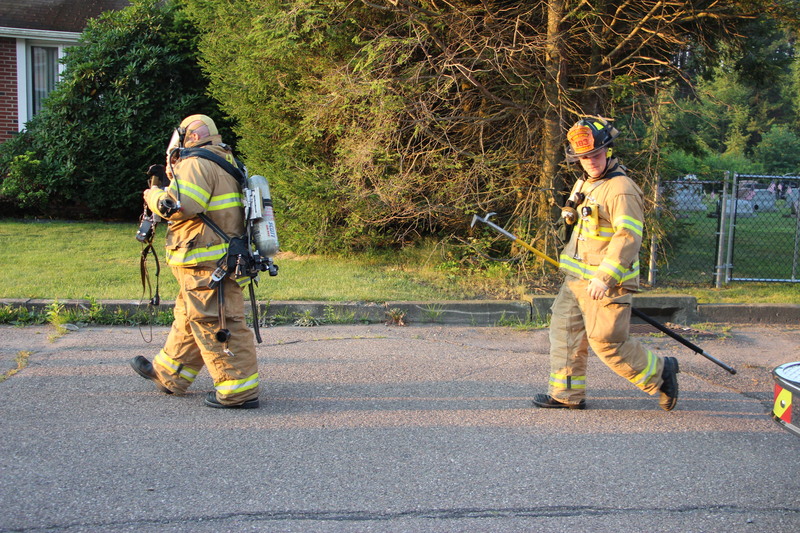 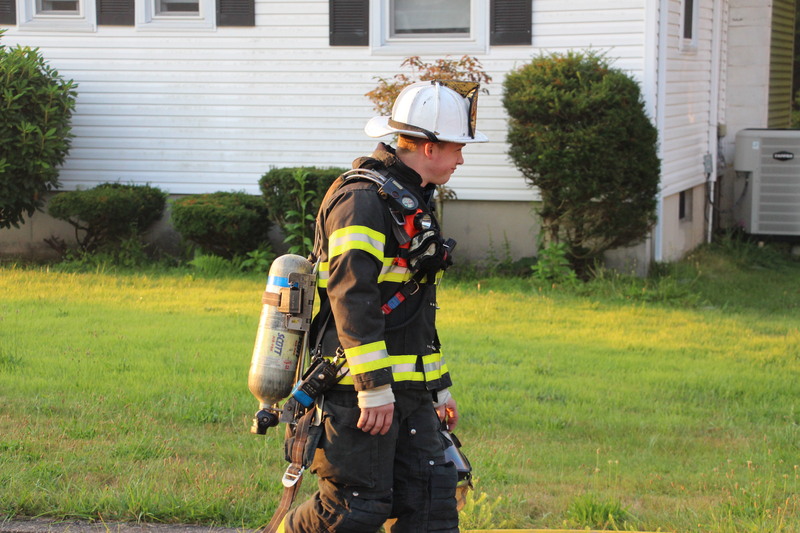 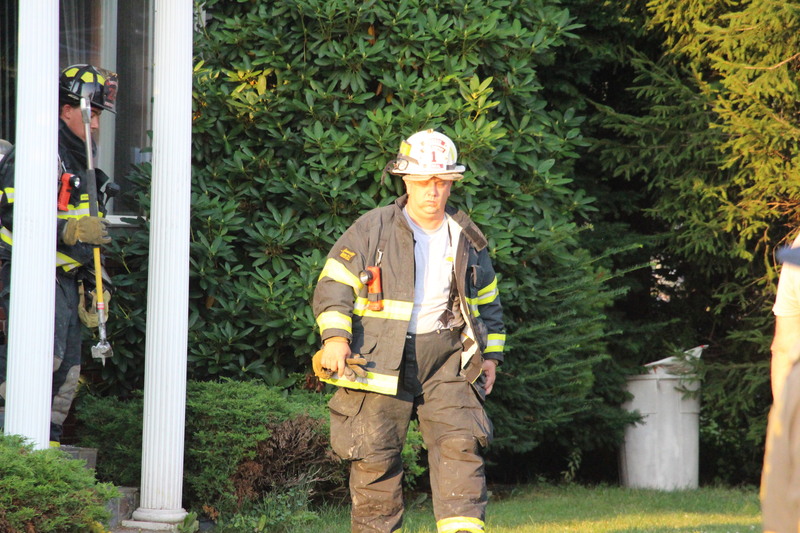 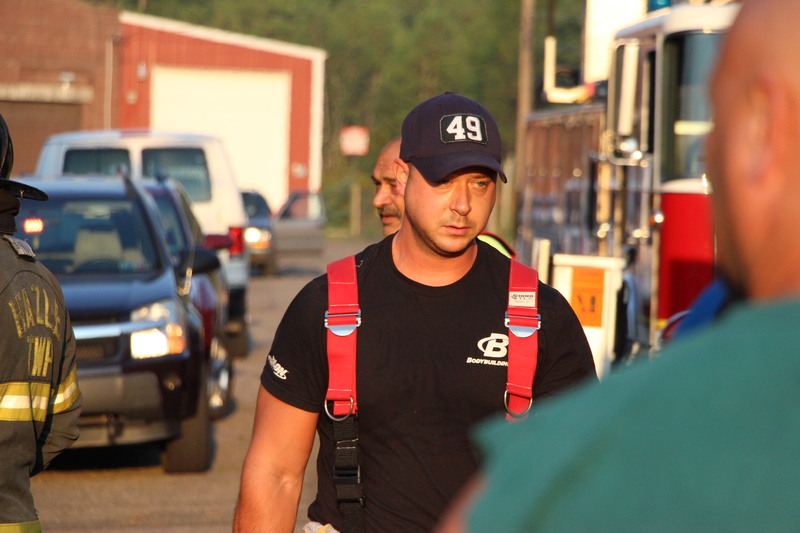 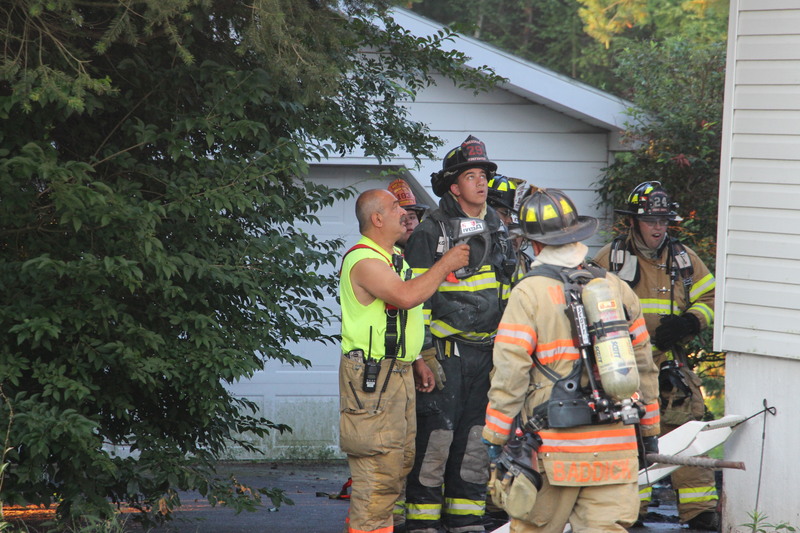 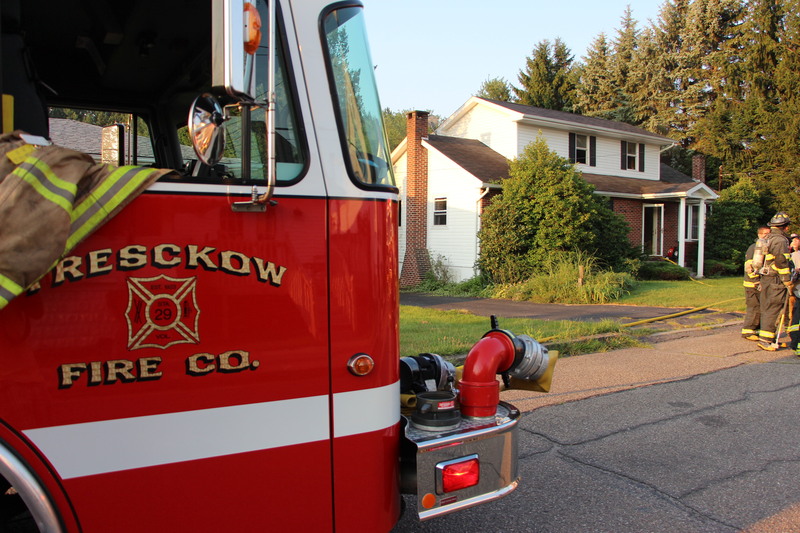 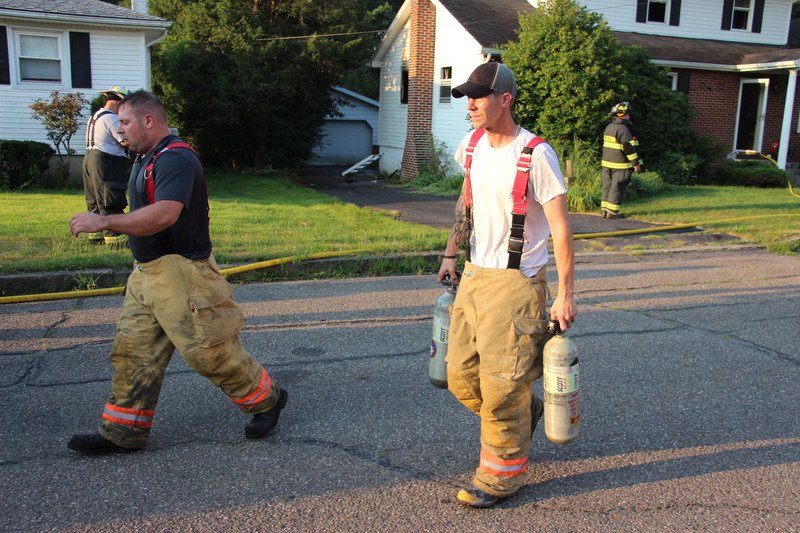 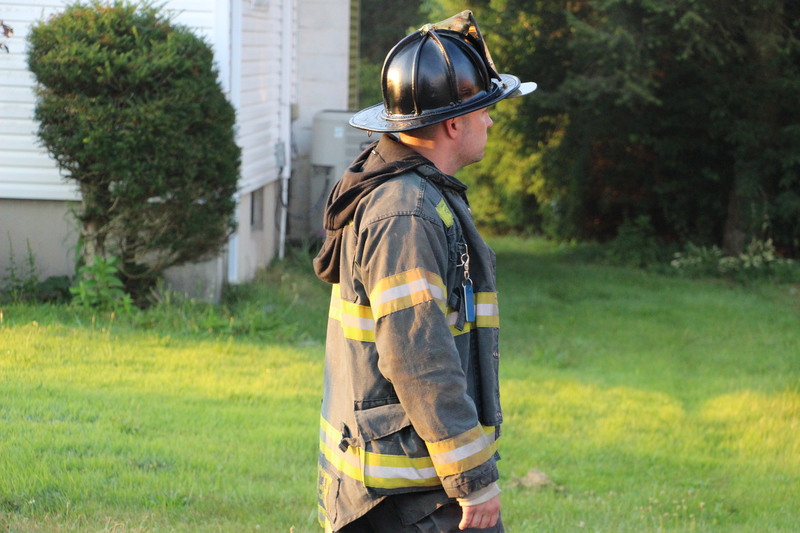 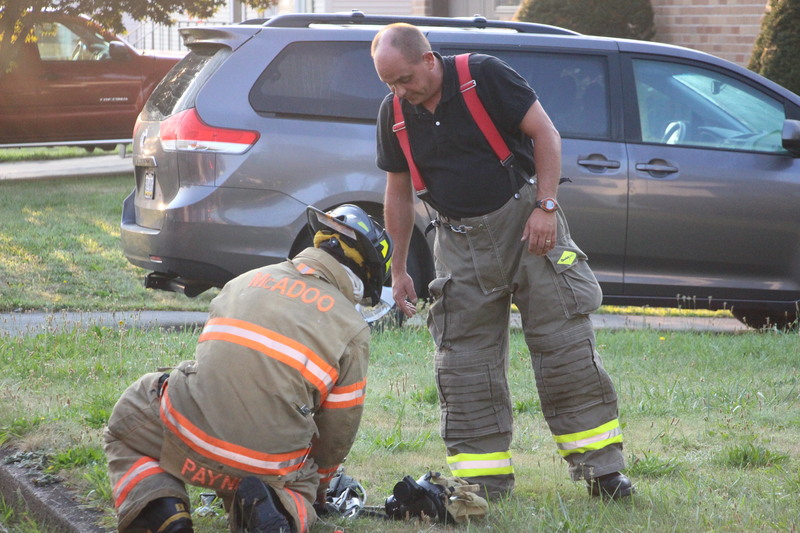 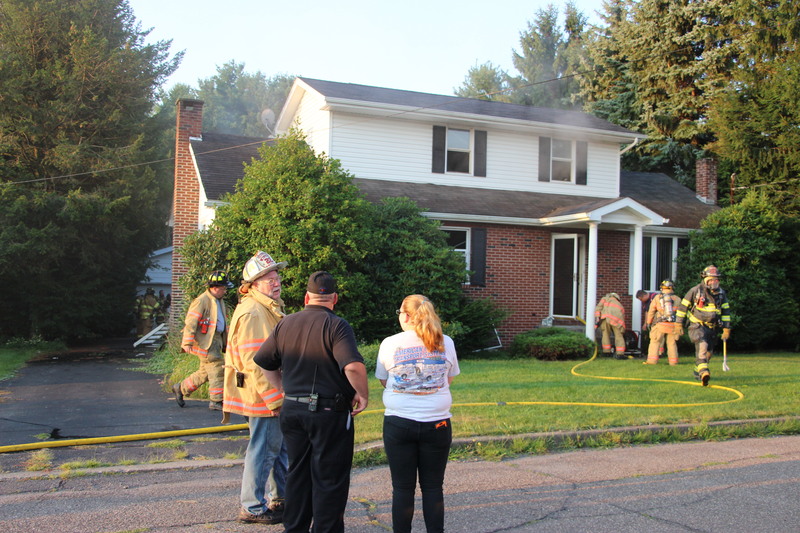 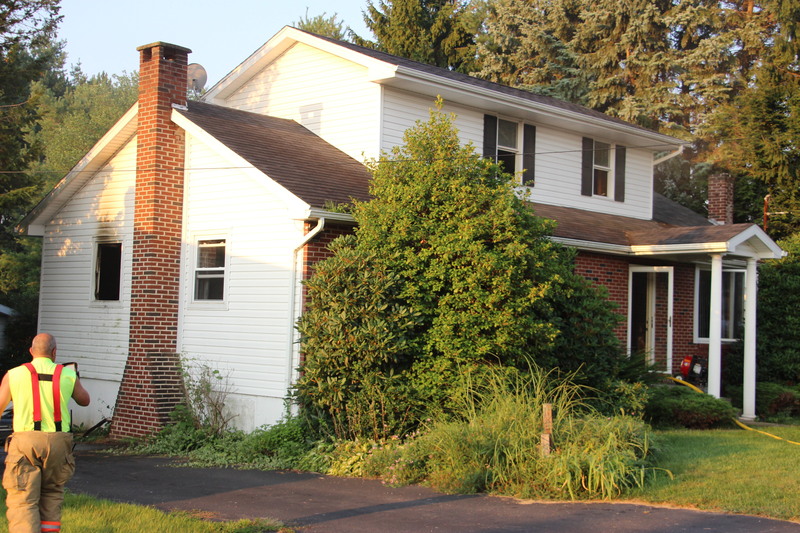 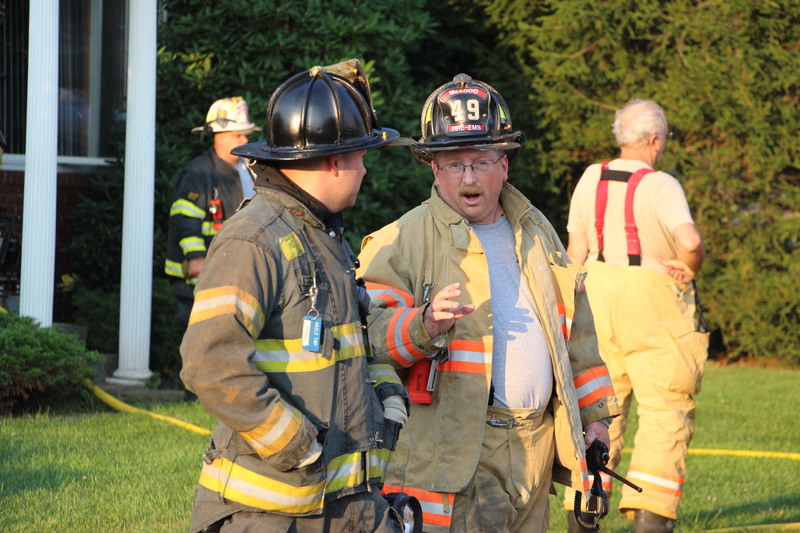 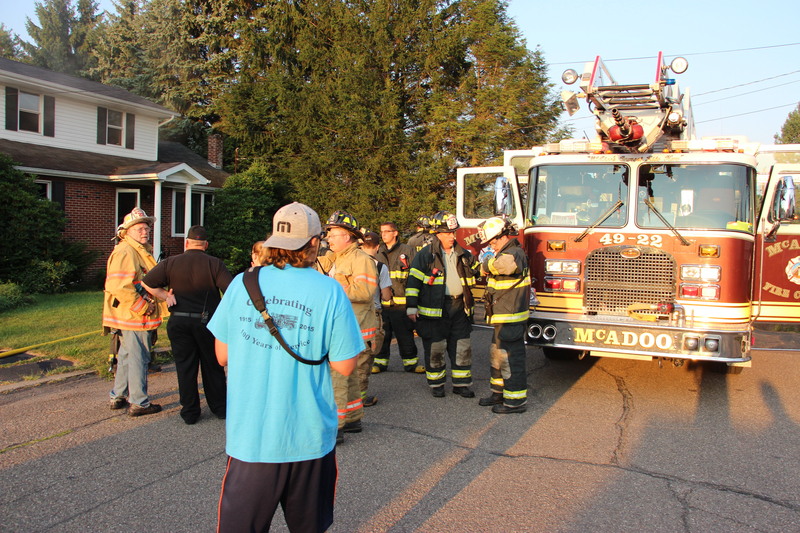 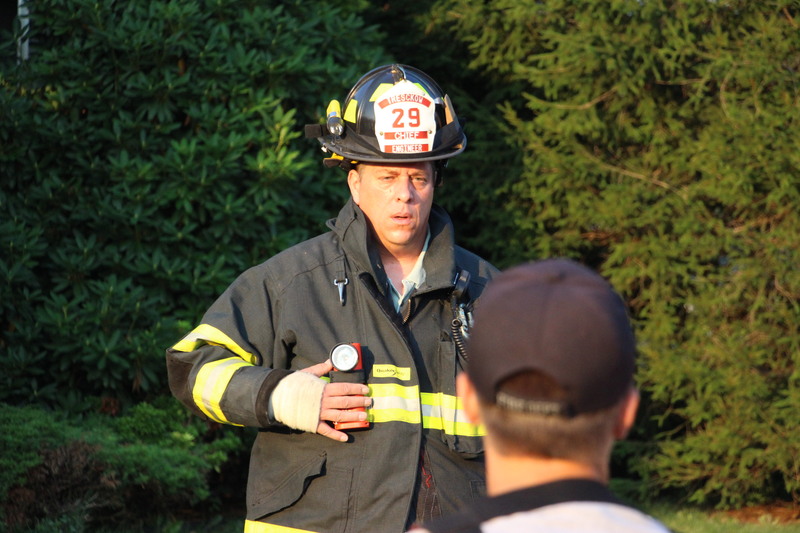 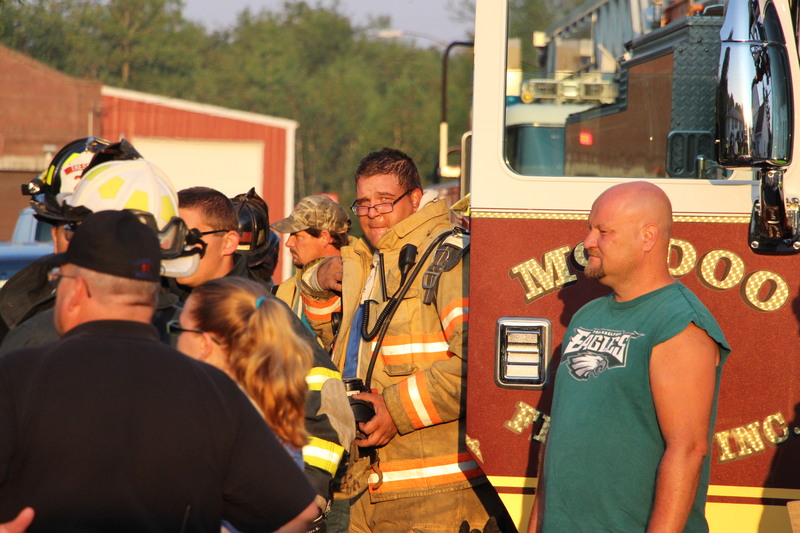 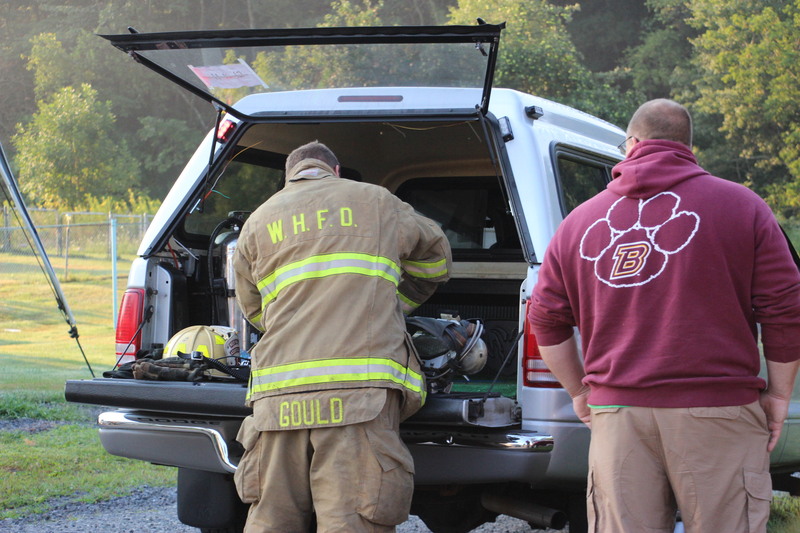 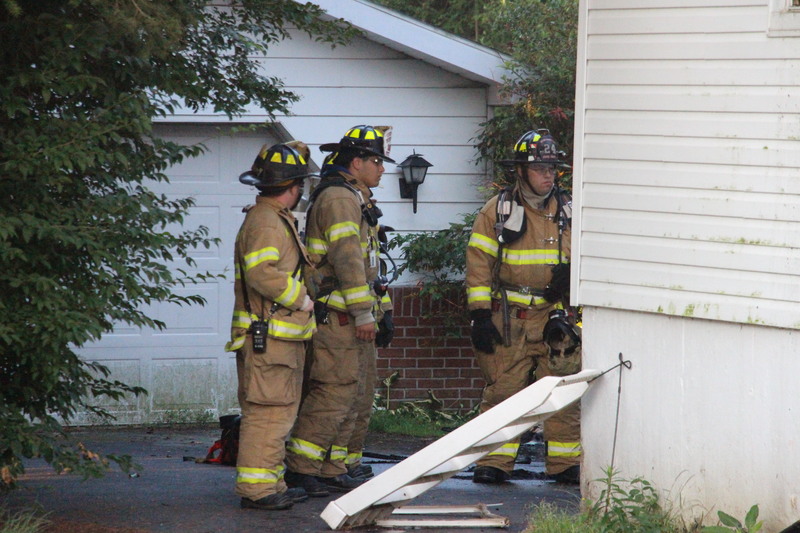 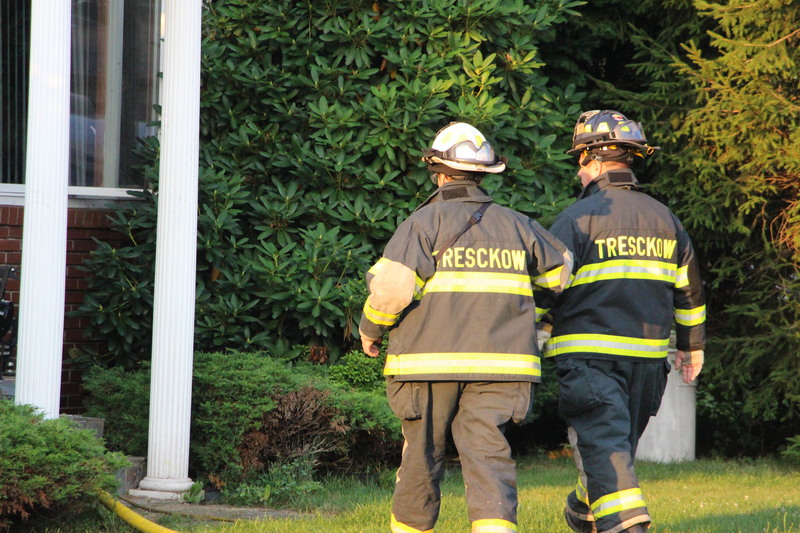 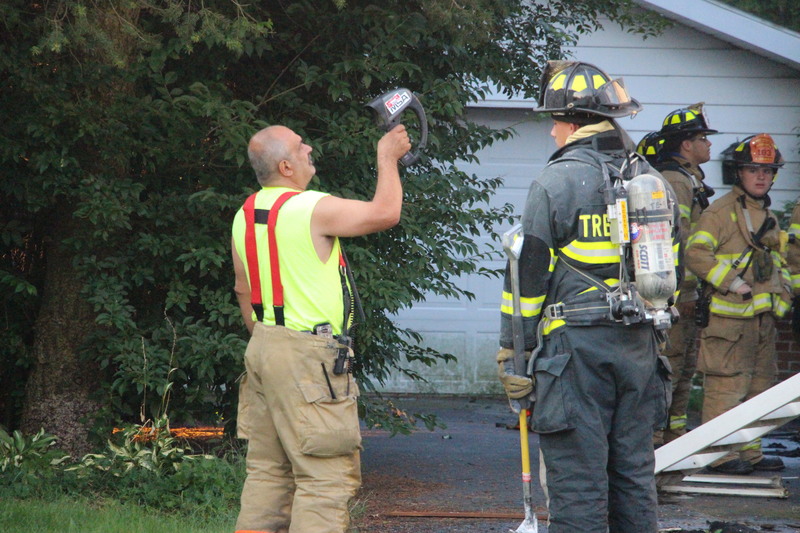 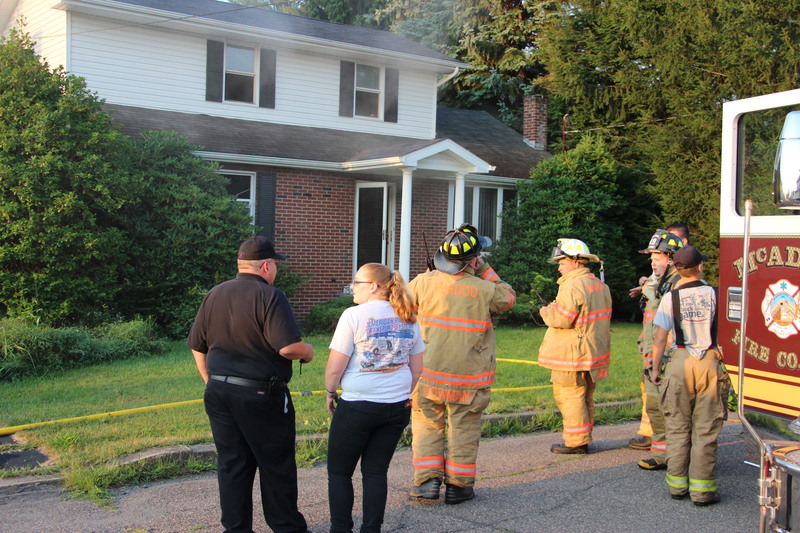 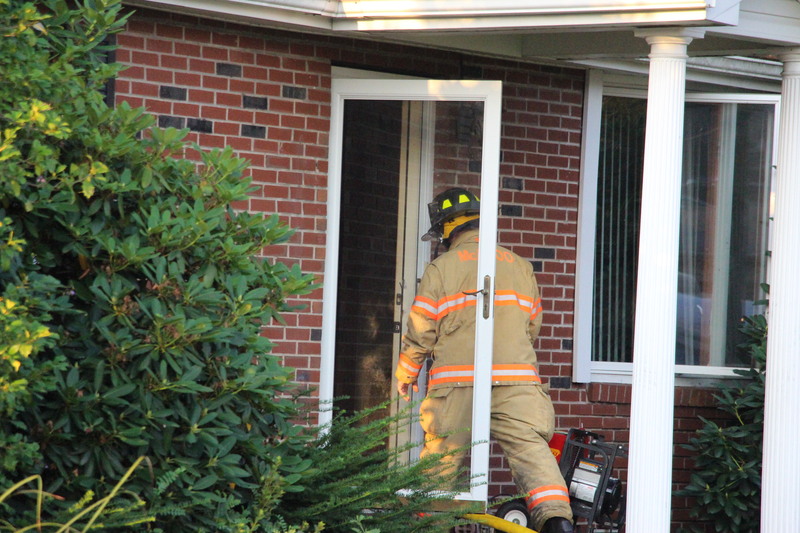 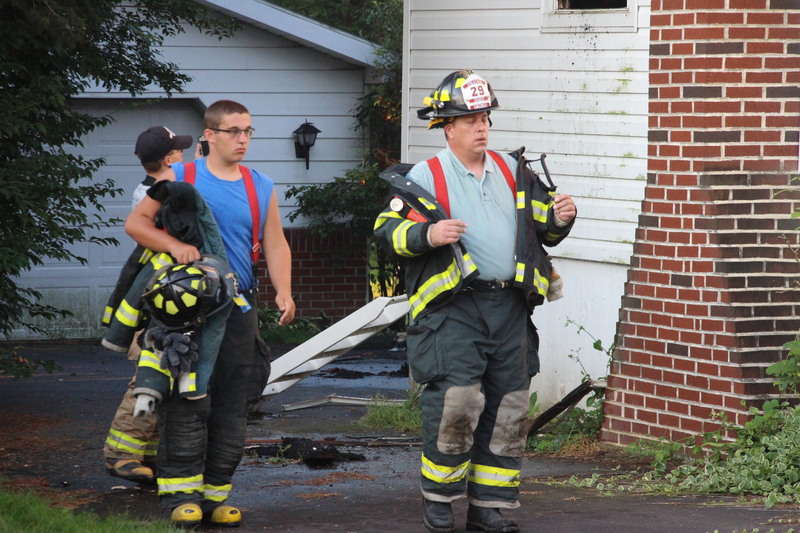 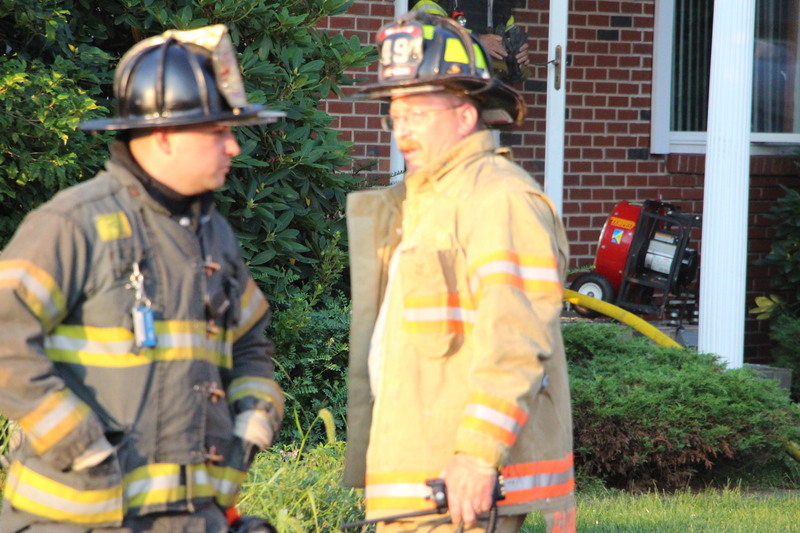 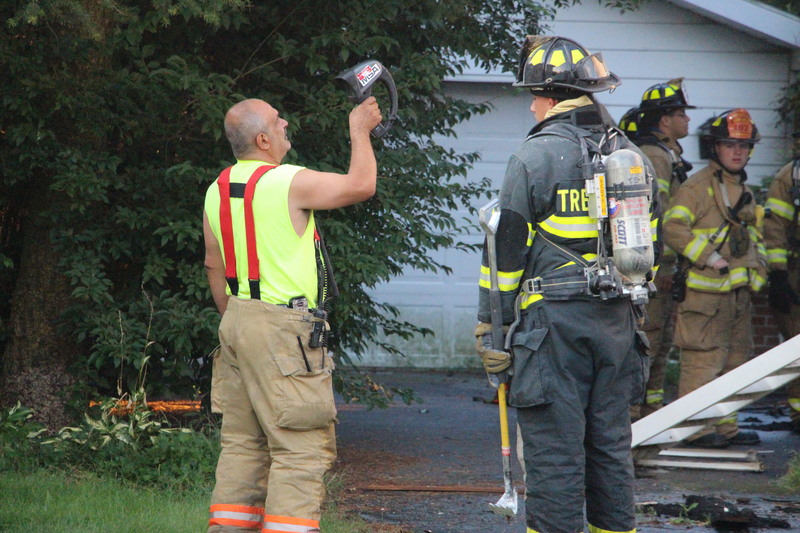 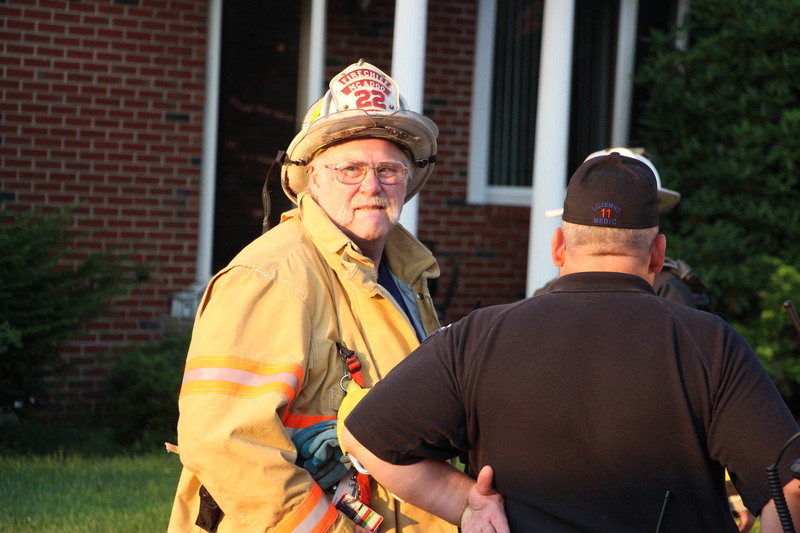 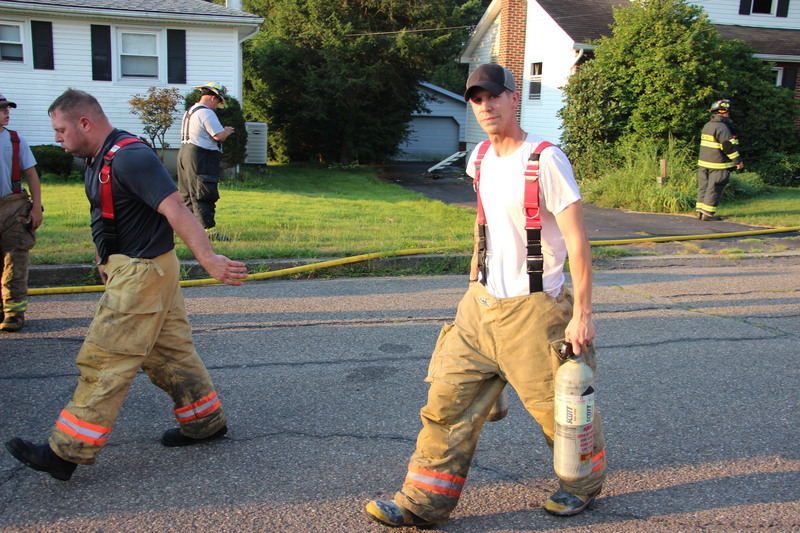 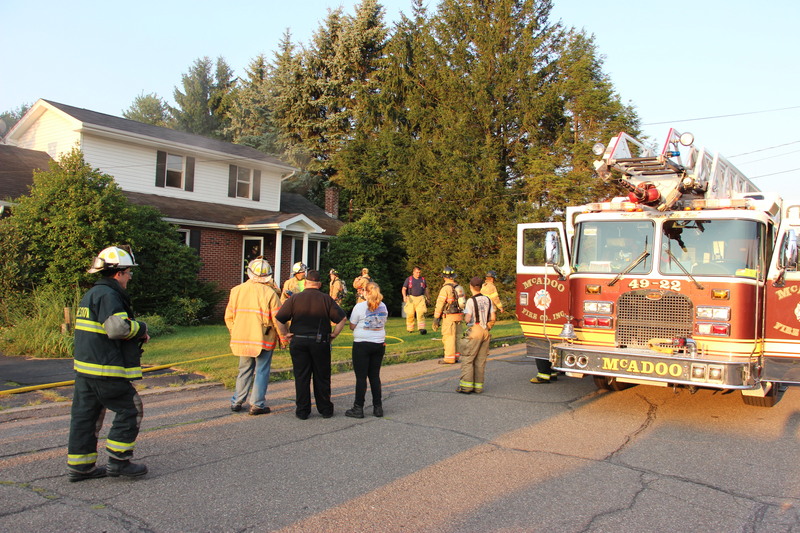 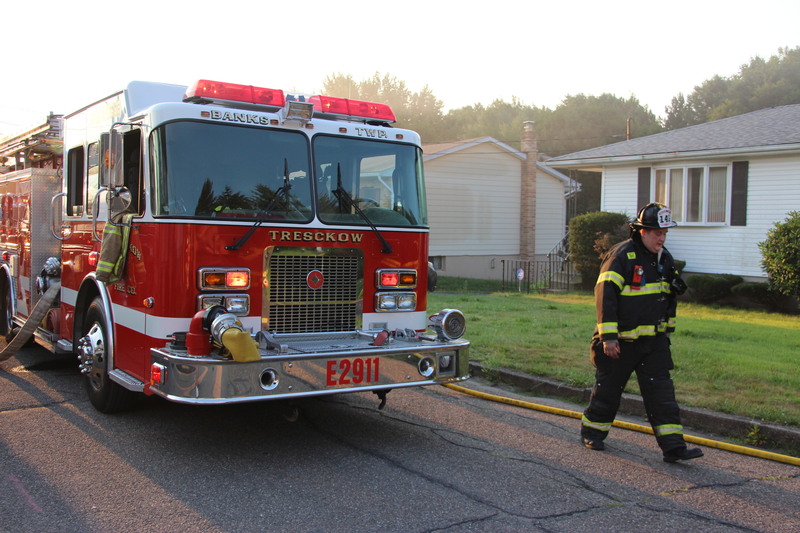 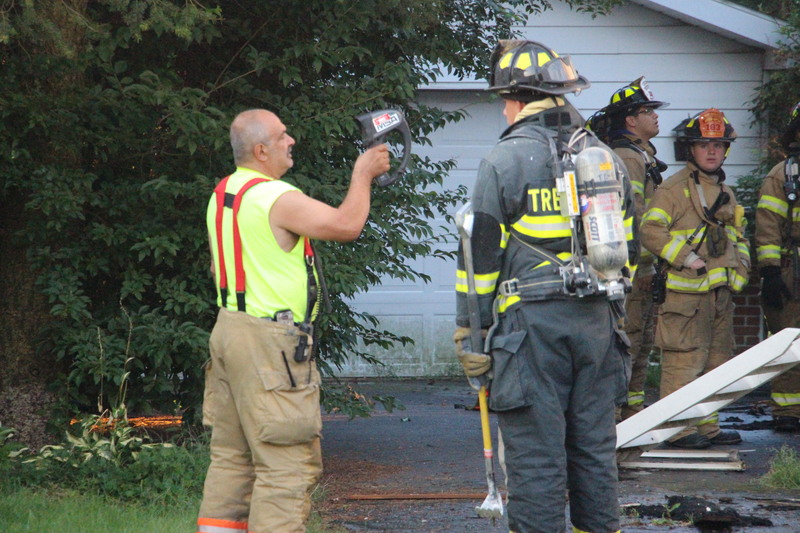 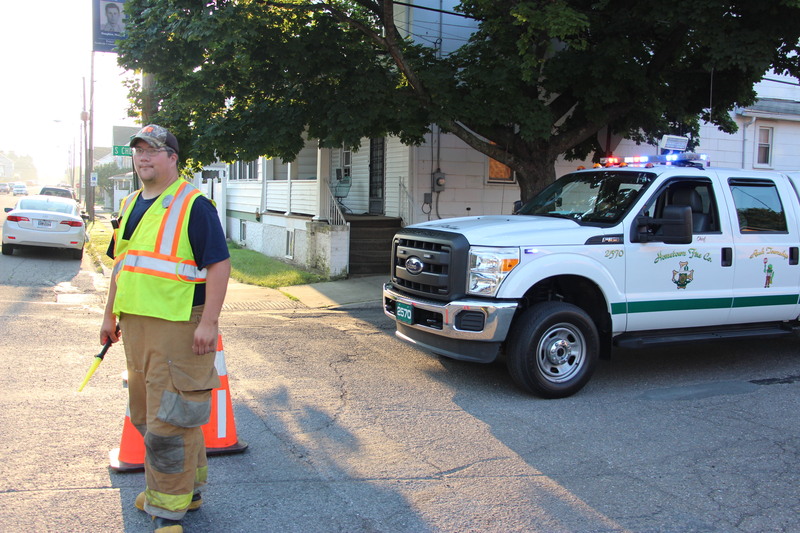 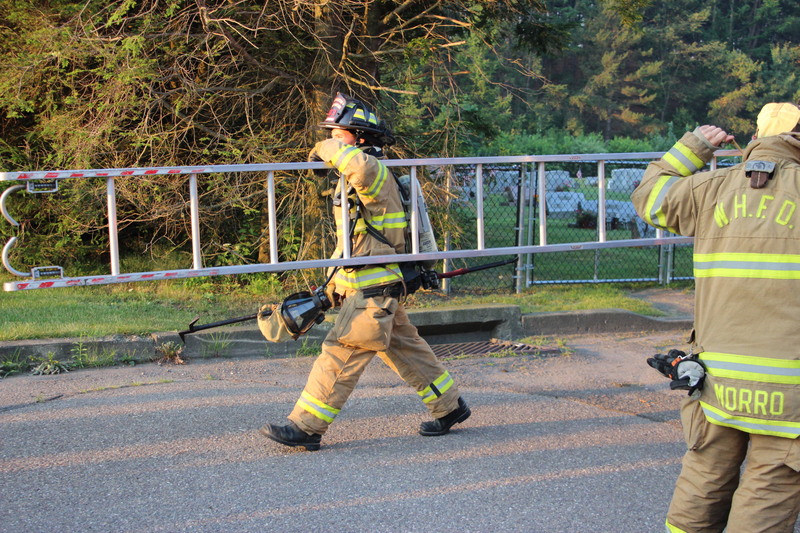 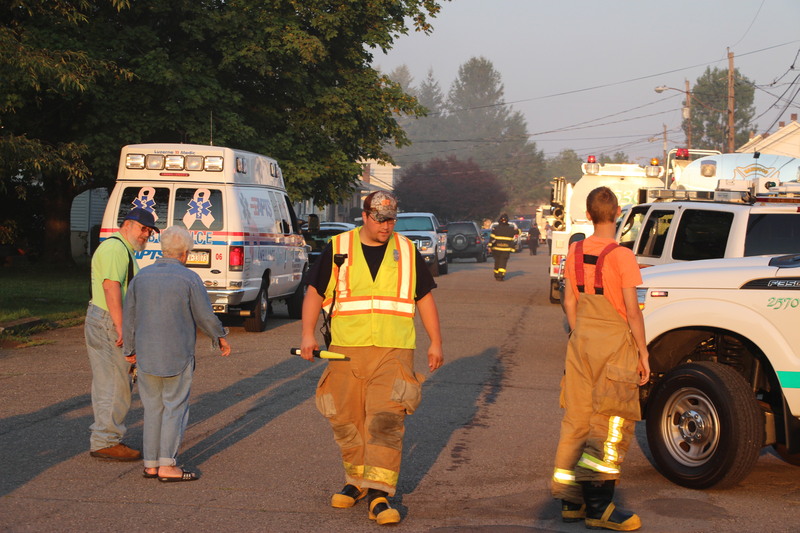 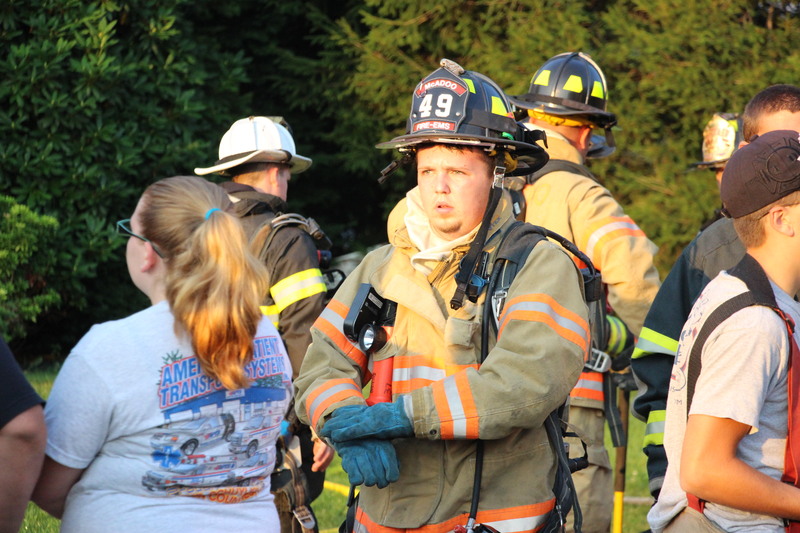 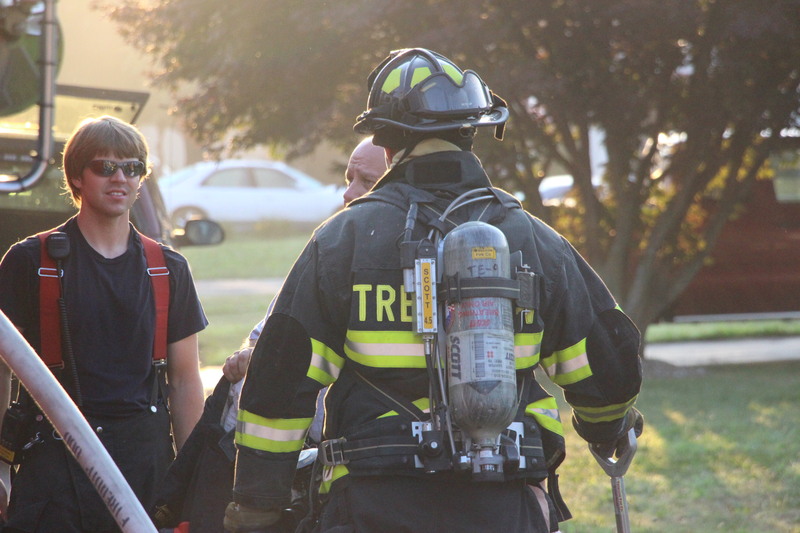 Despite a quick response by firefighters, two pet dogs died during a fast-moving house fire this morning (Monday, August 17, 2015) in Tresckow. 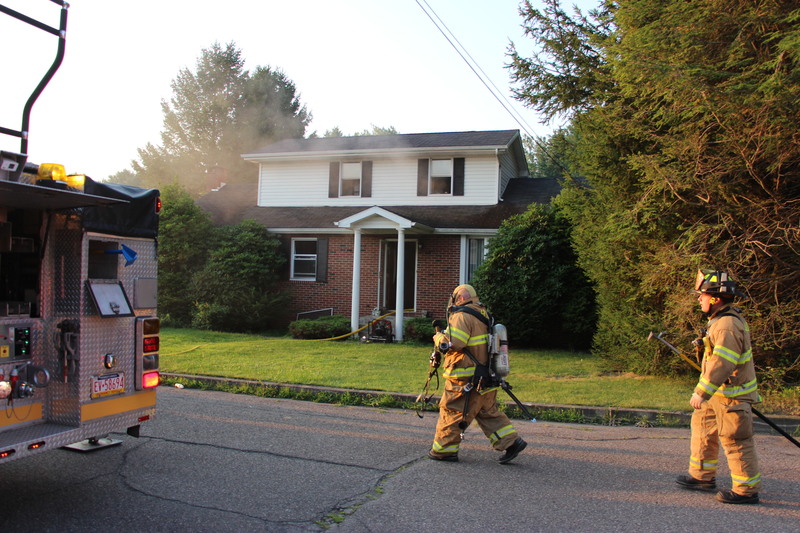 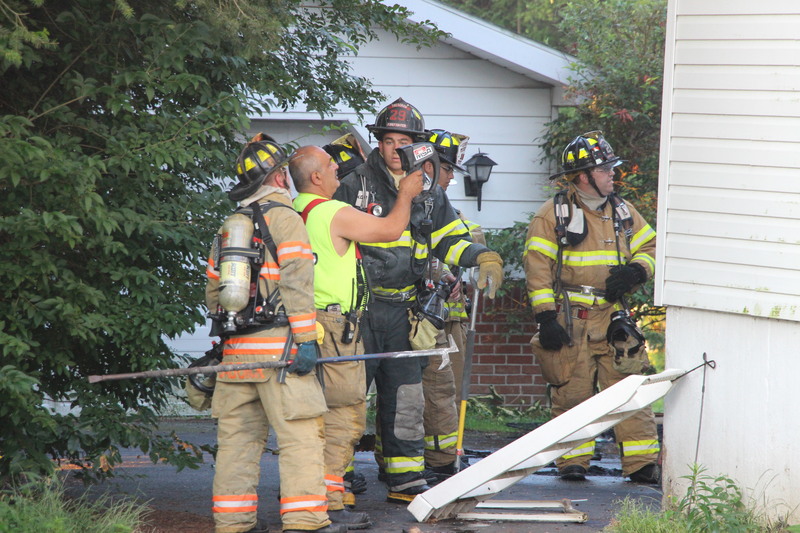 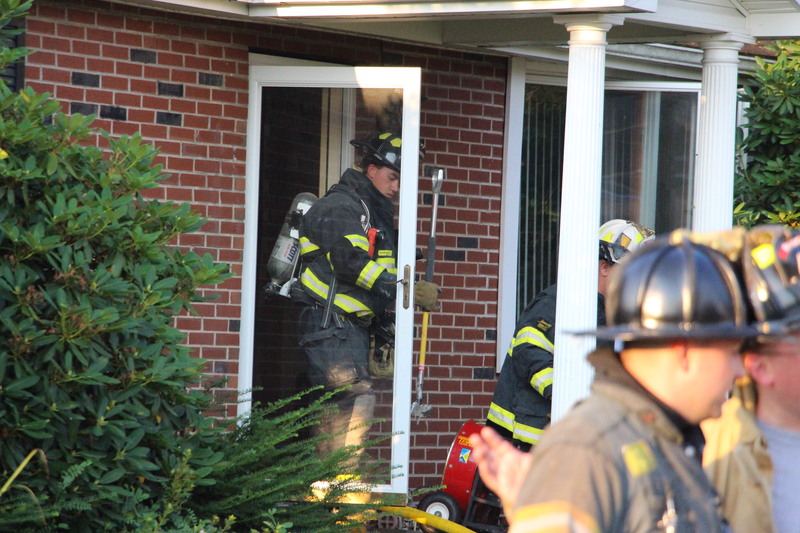 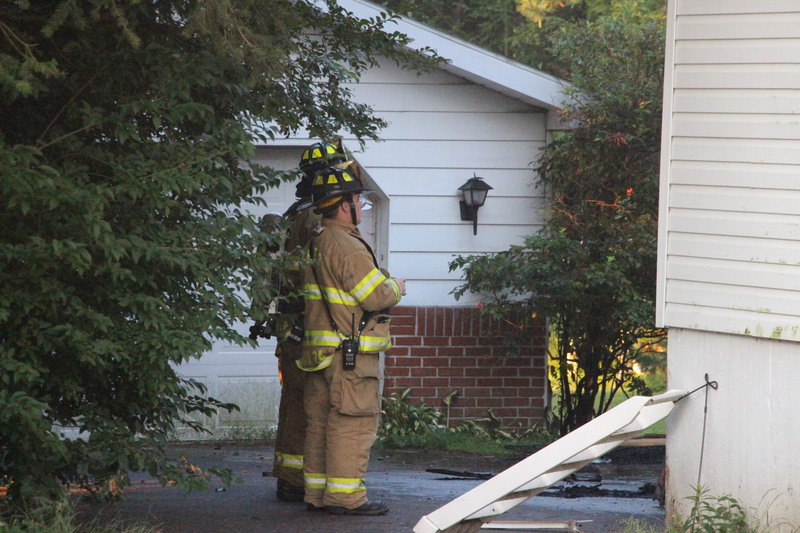 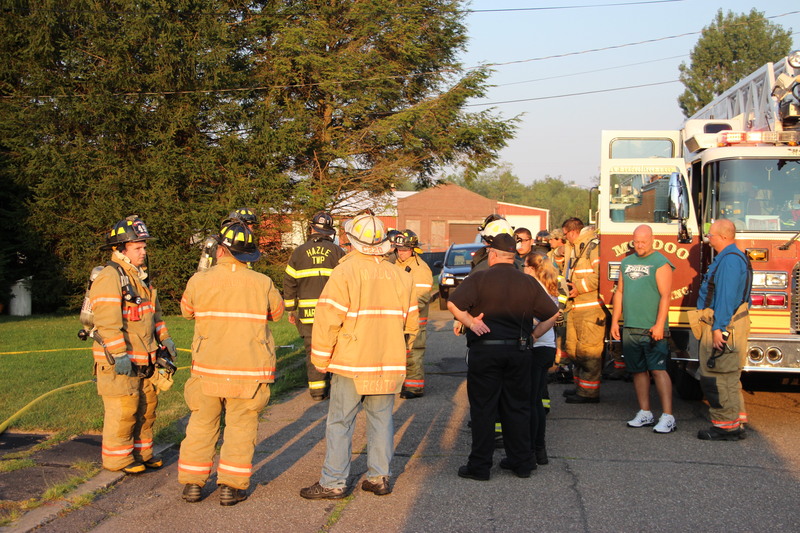 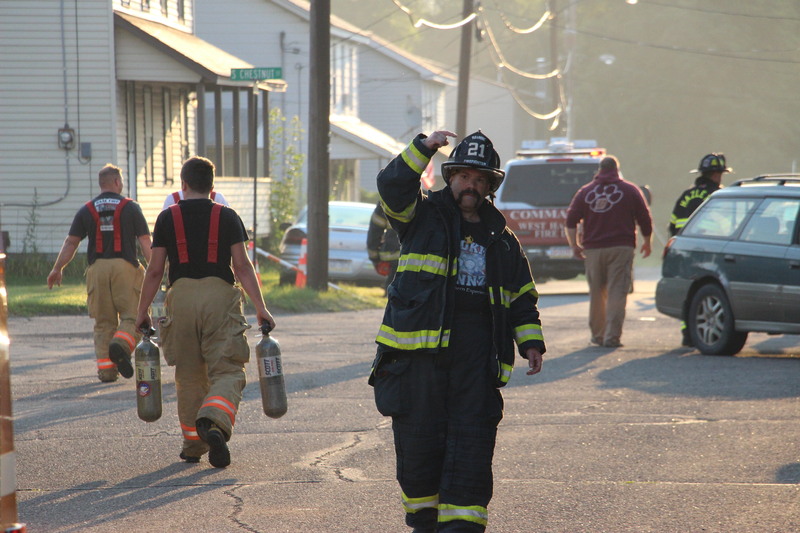 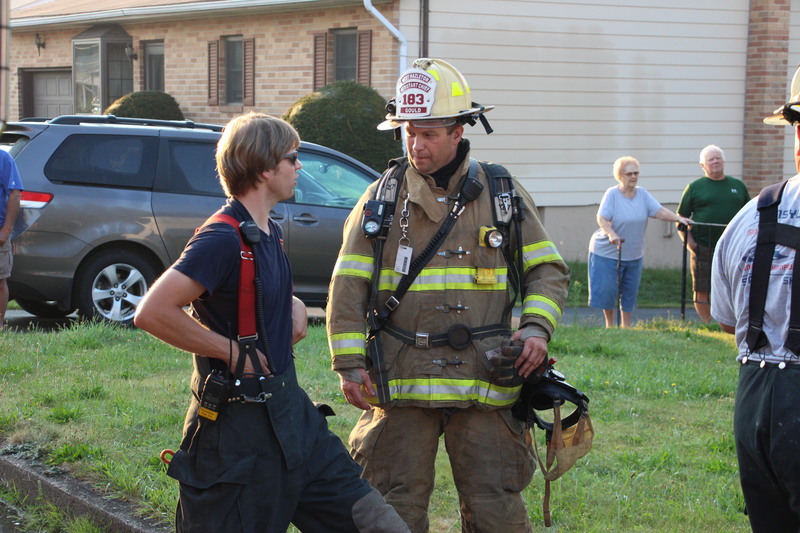 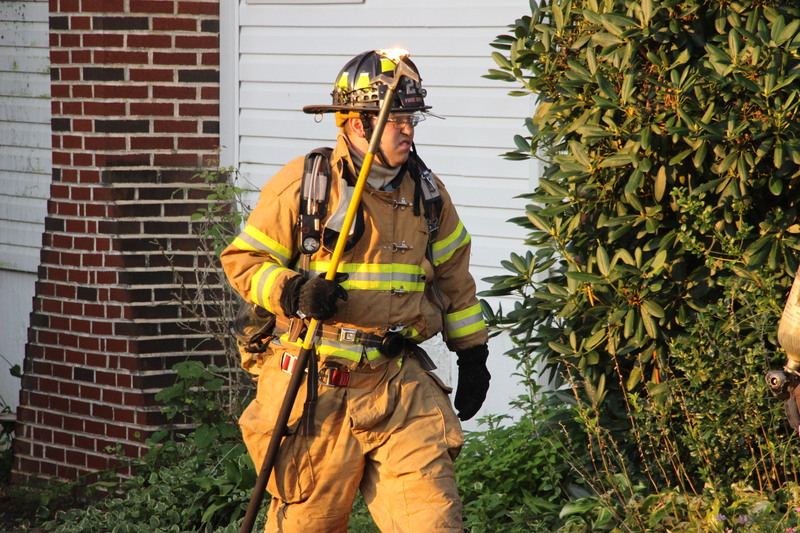 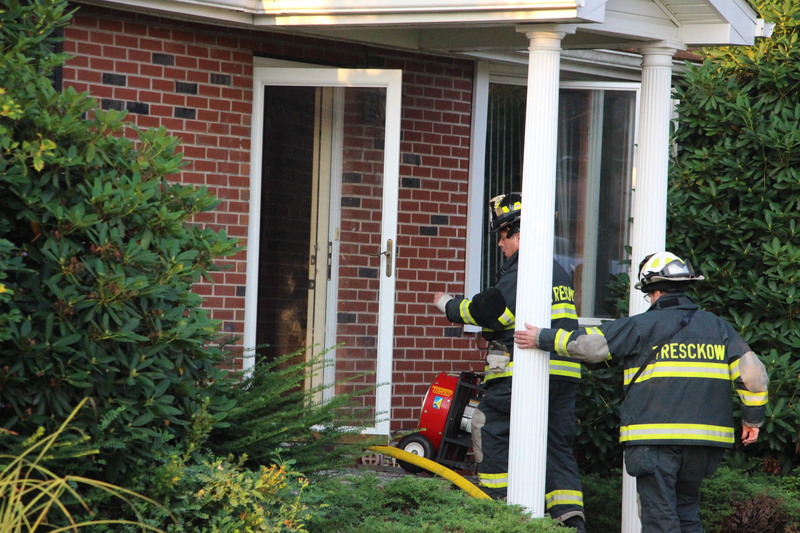 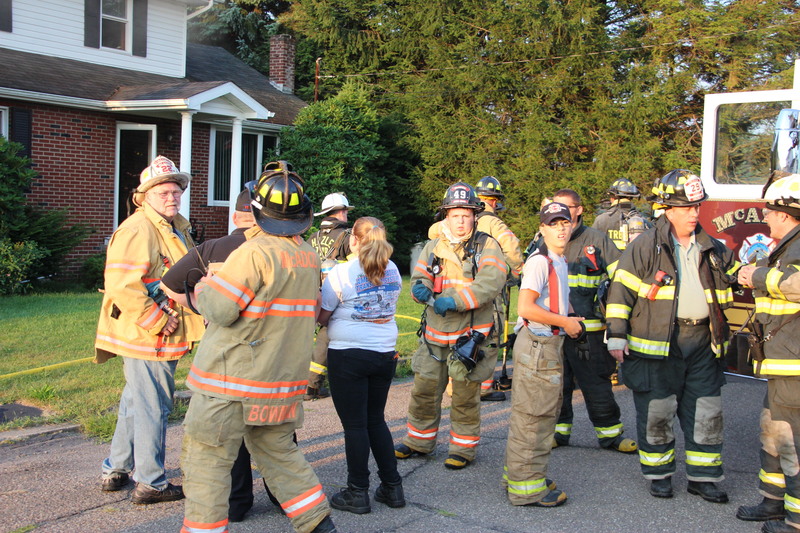 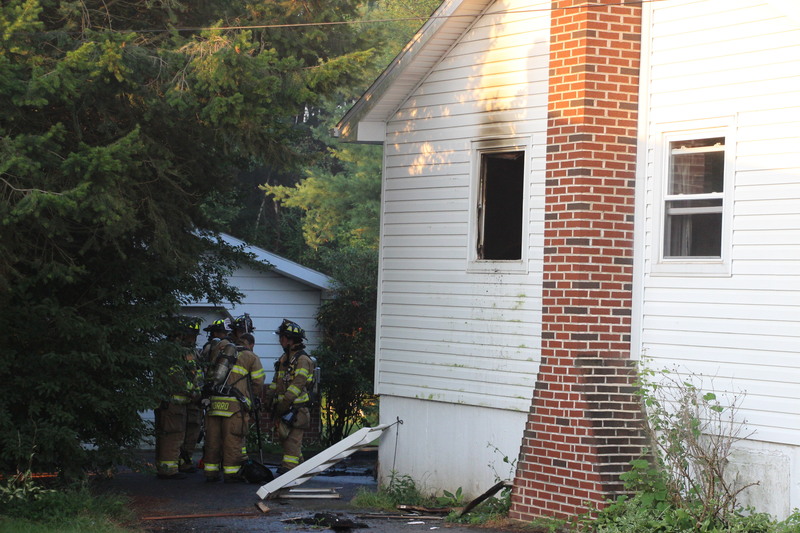 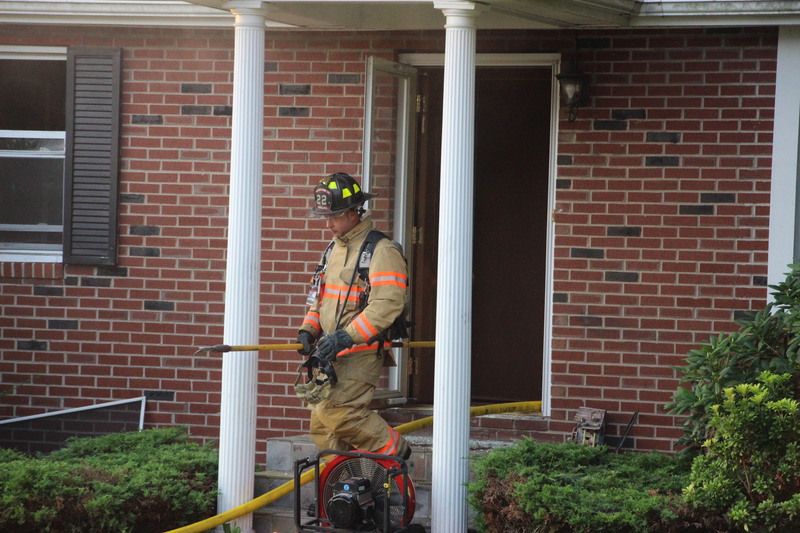 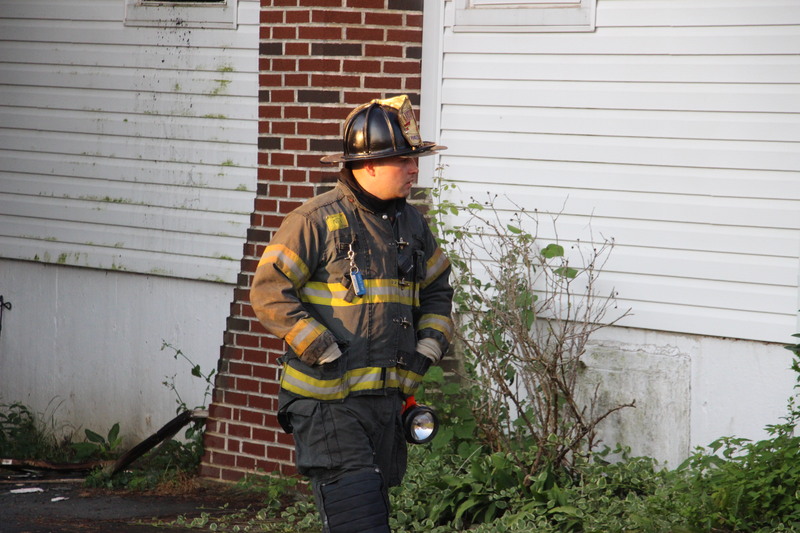 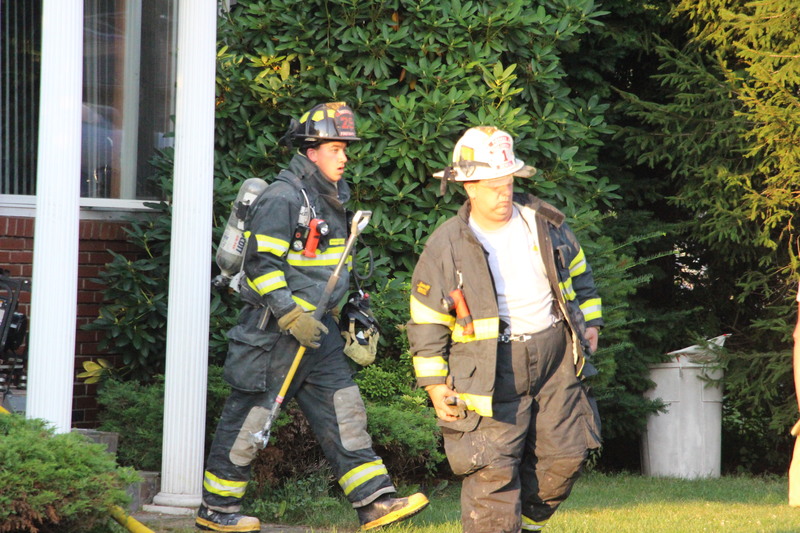 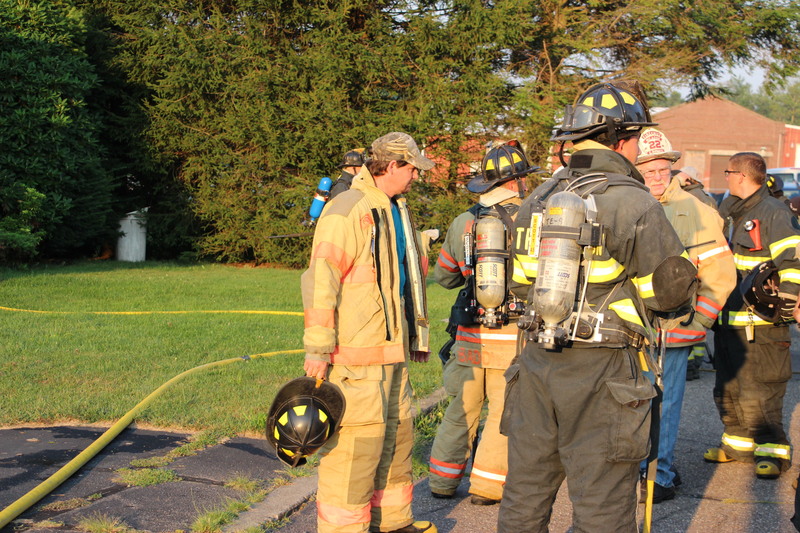 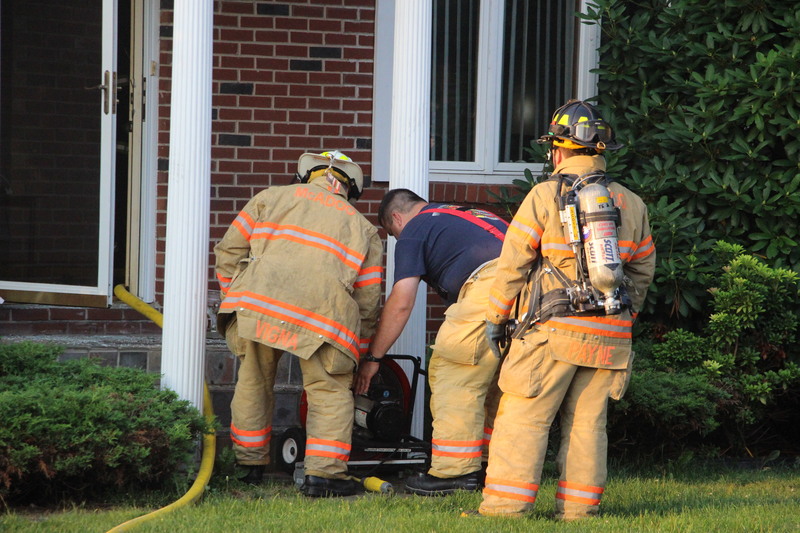 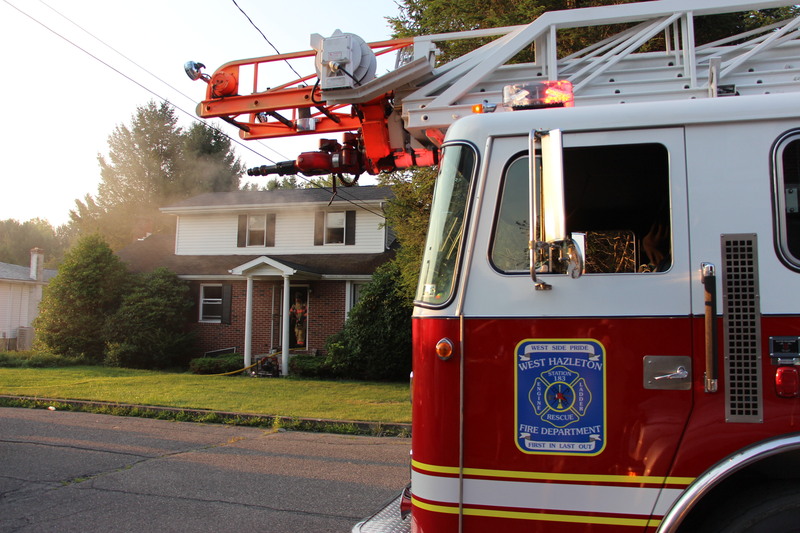 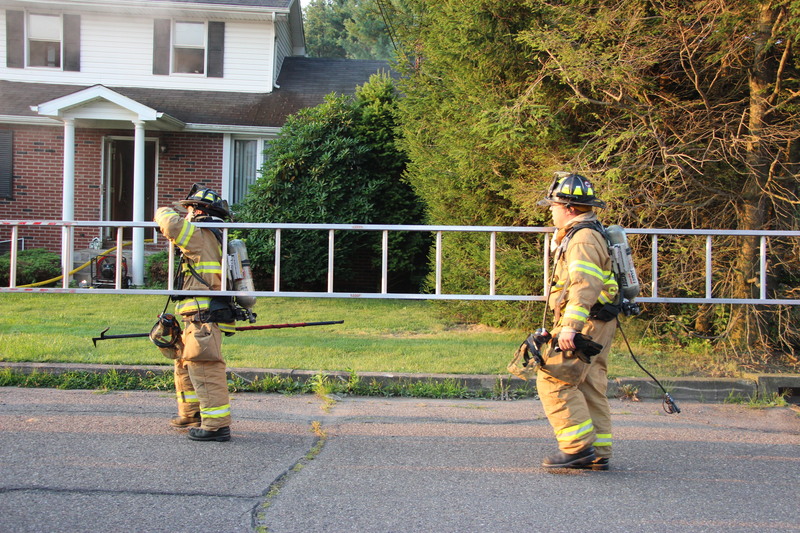 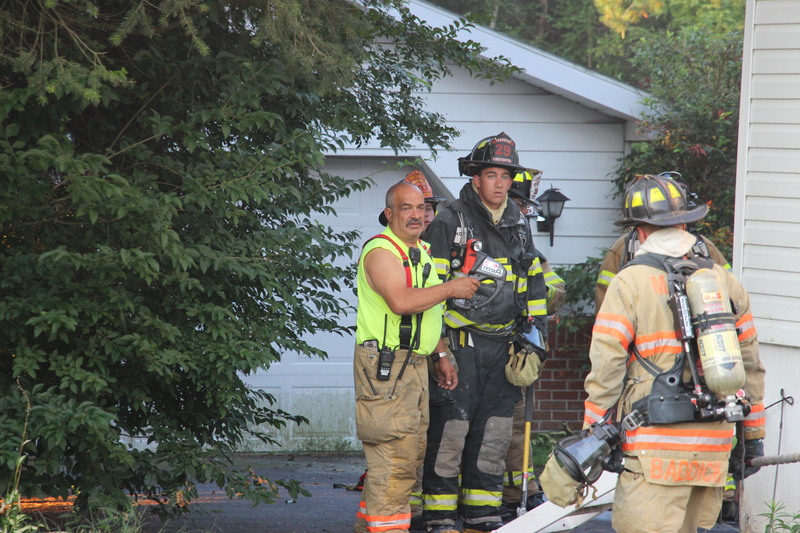 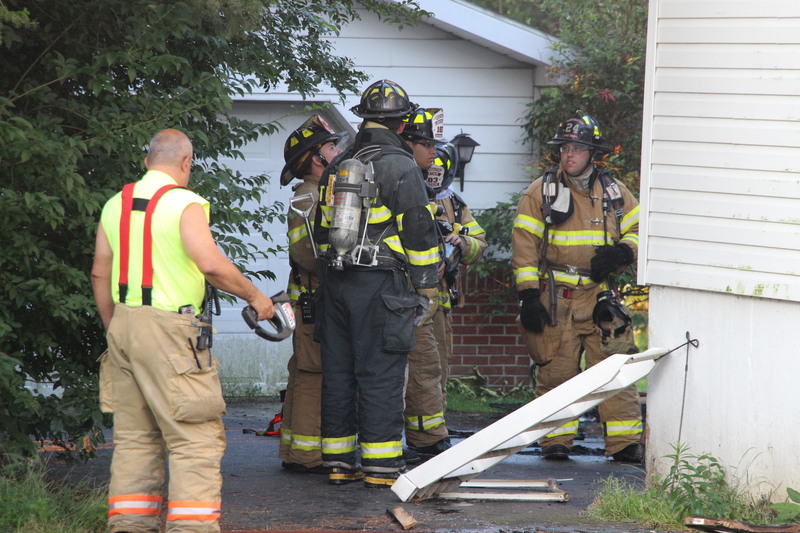 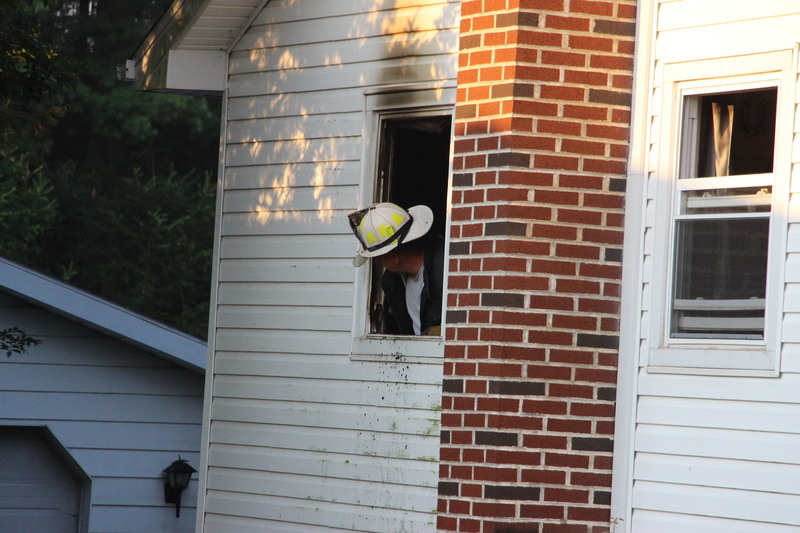 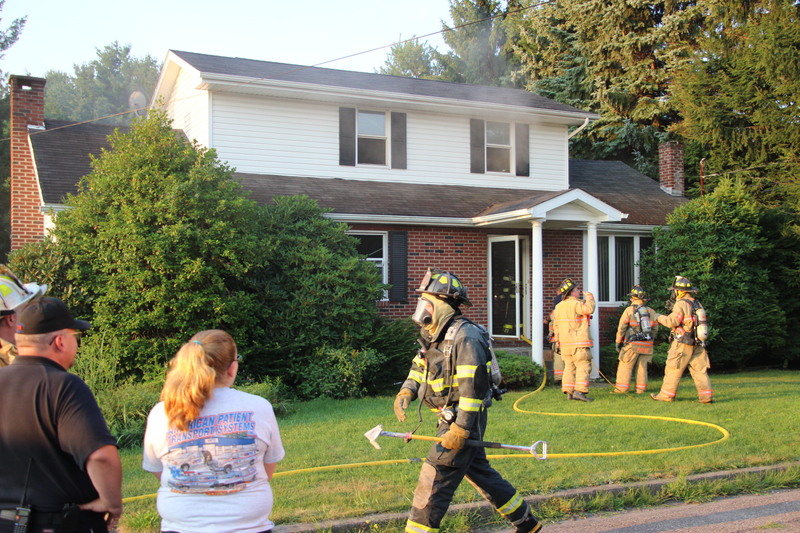 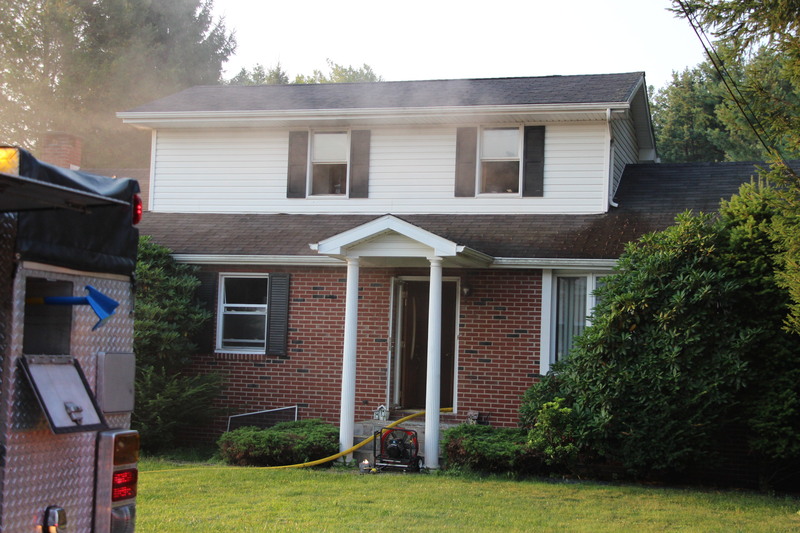 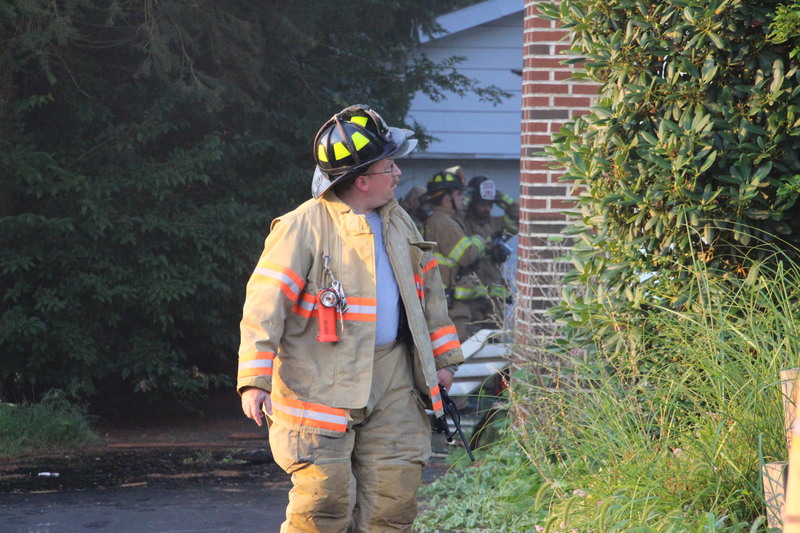 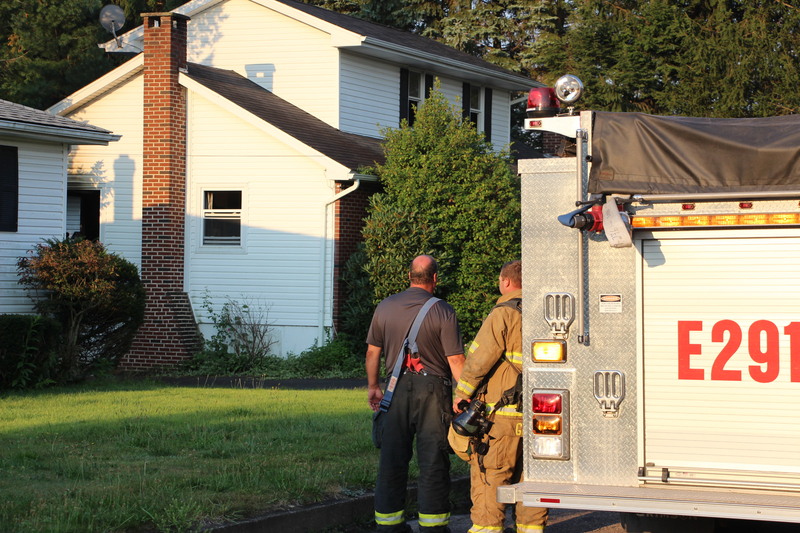 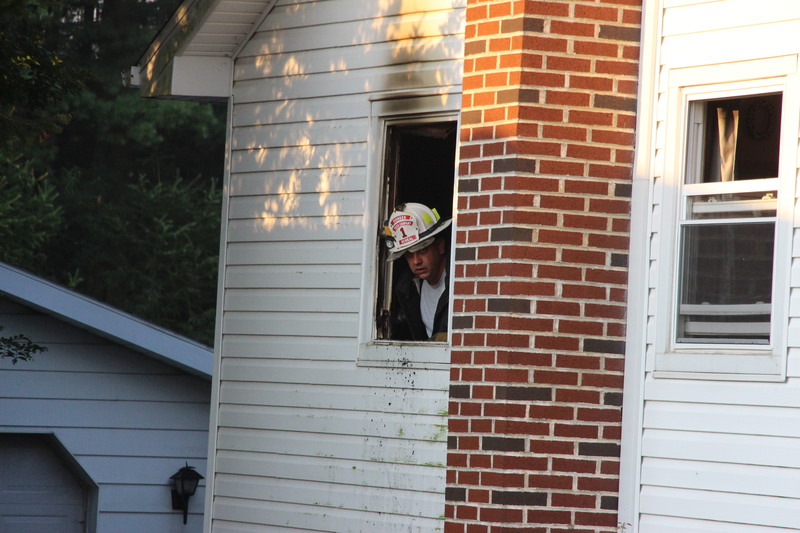 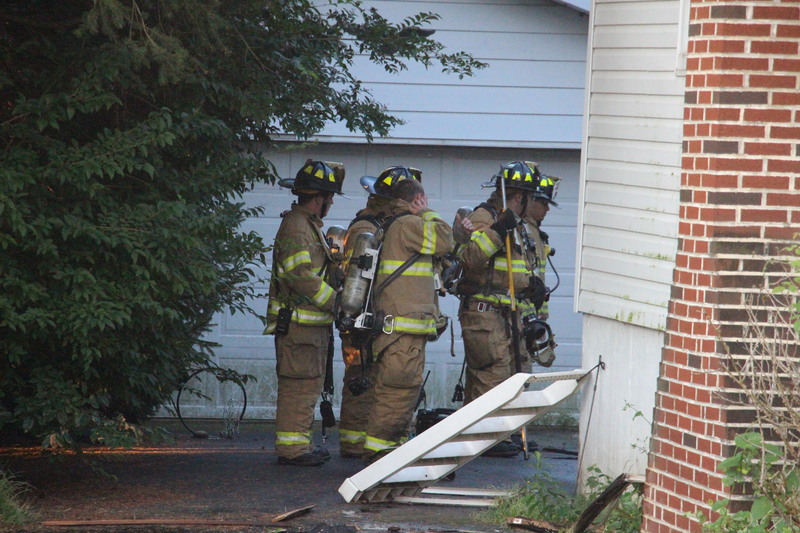 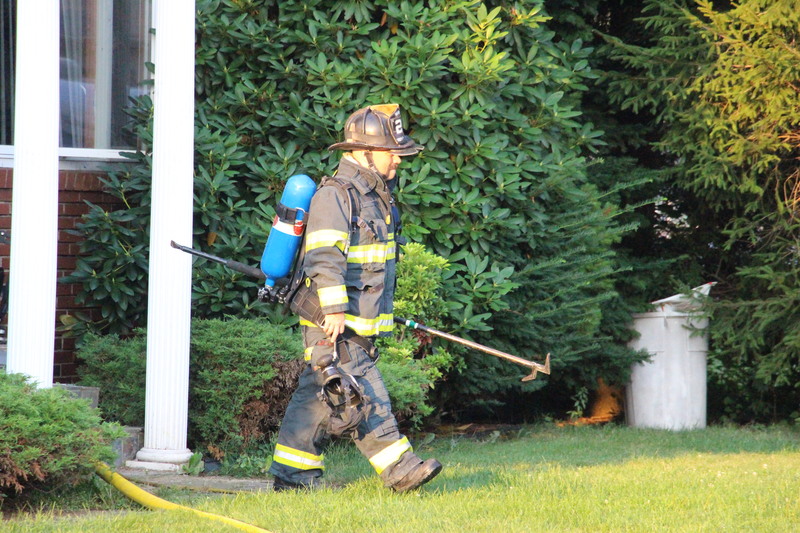 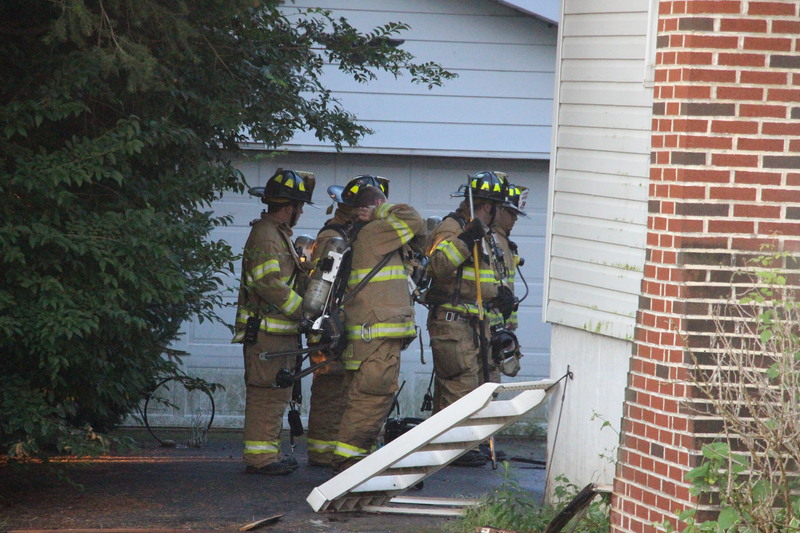 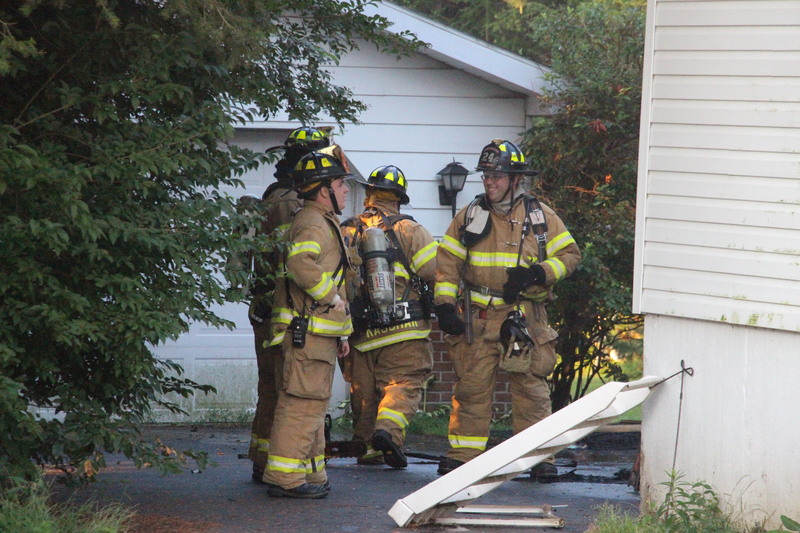 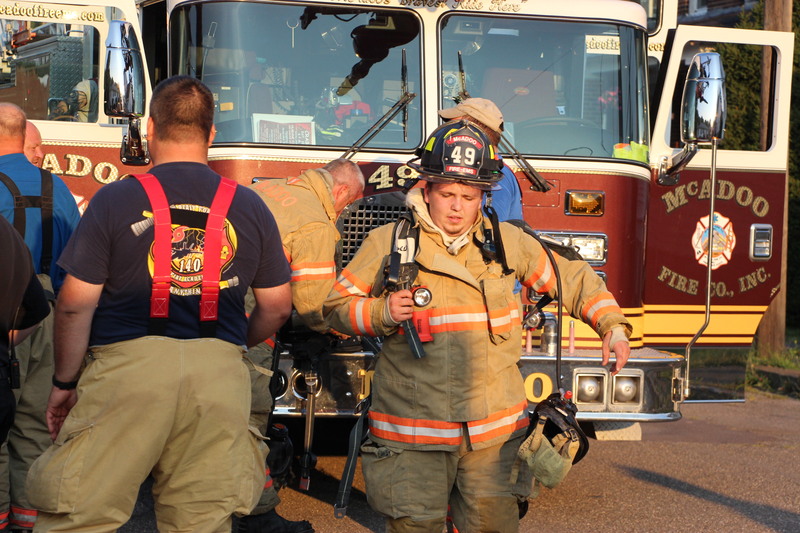 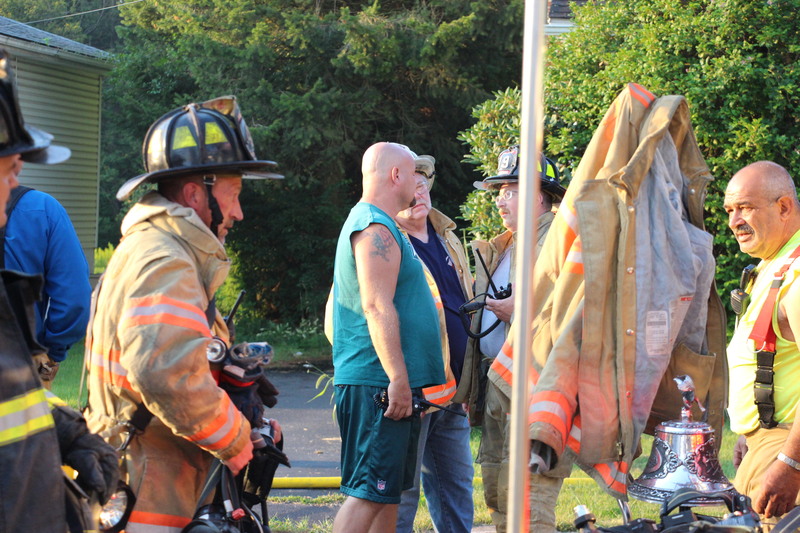 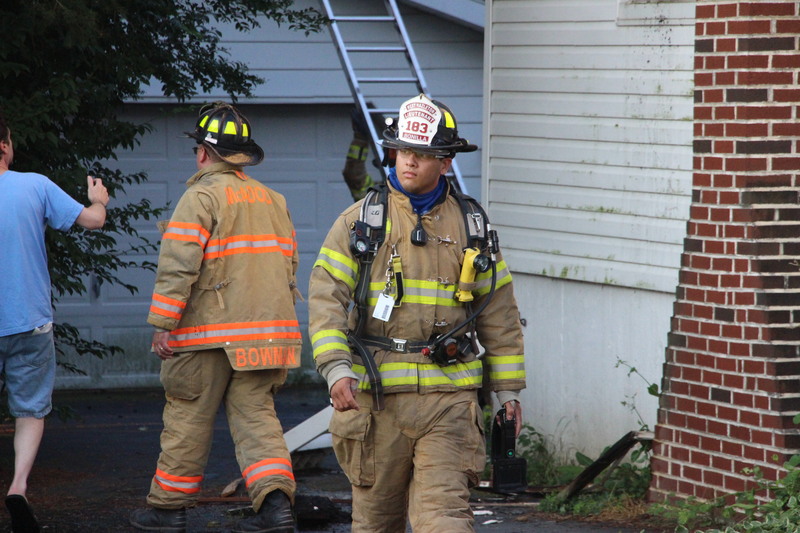 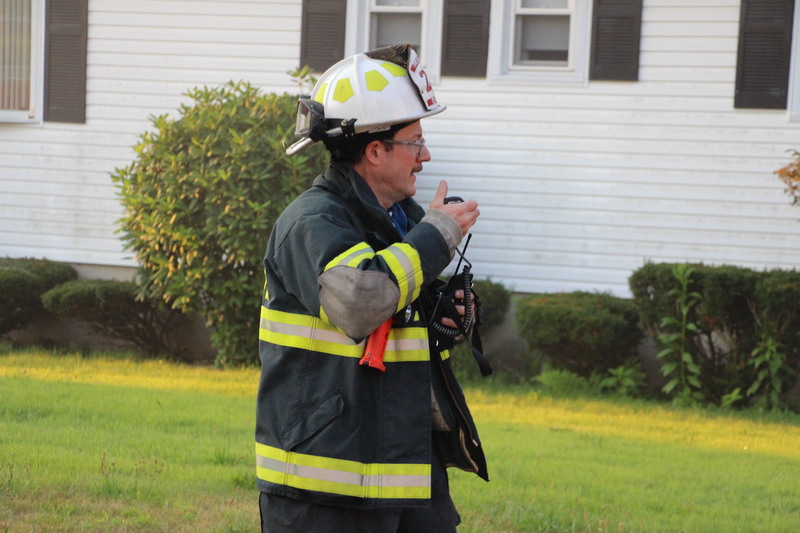 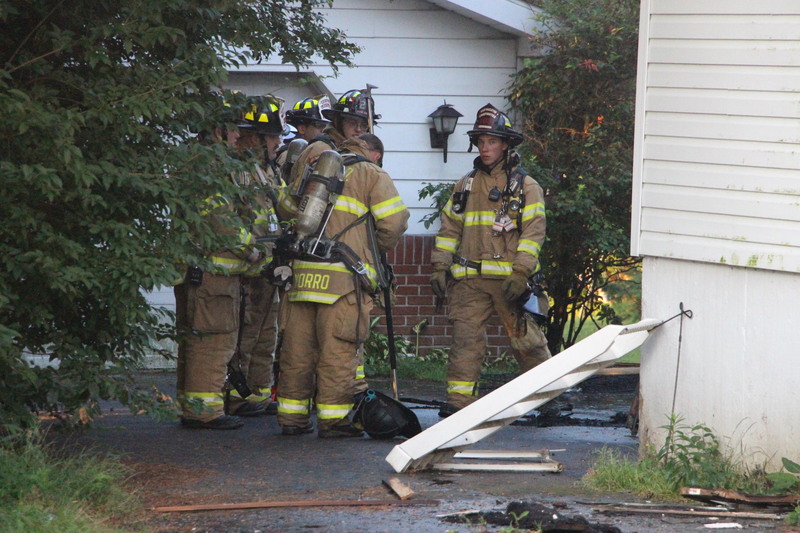 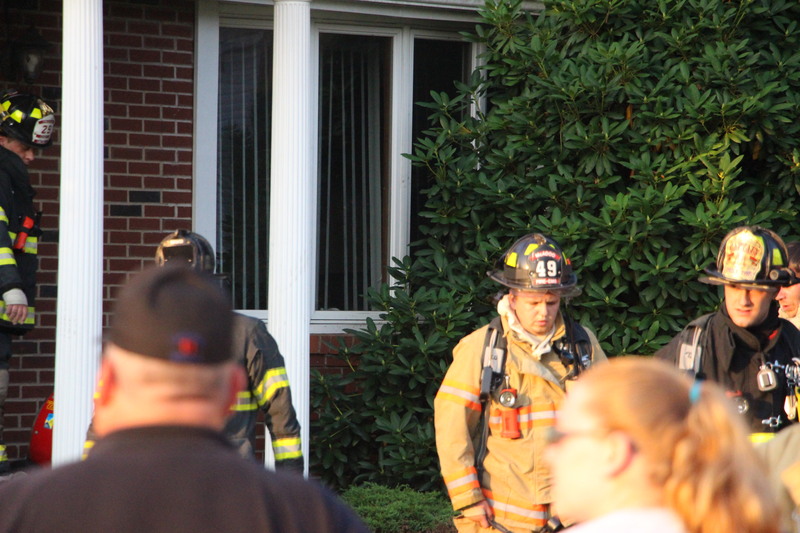 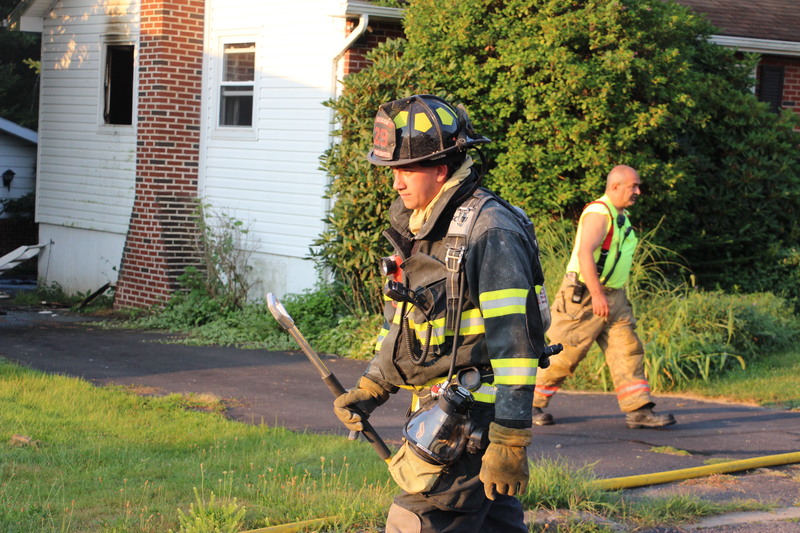 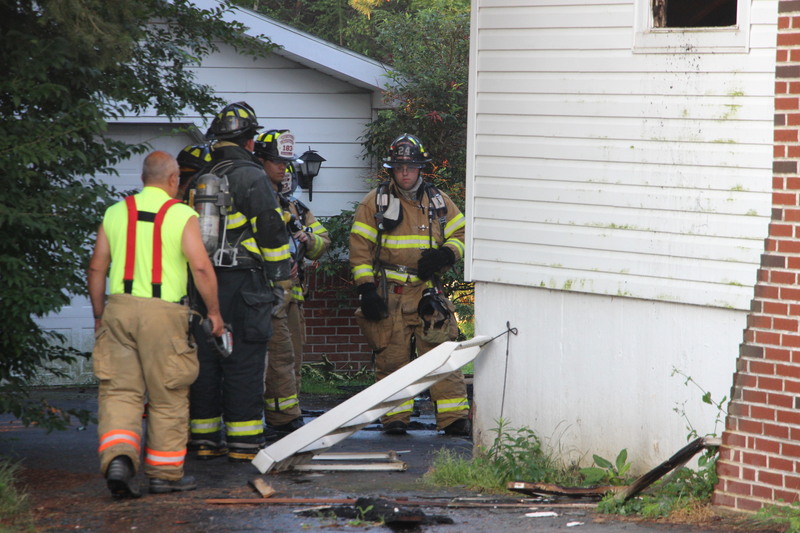 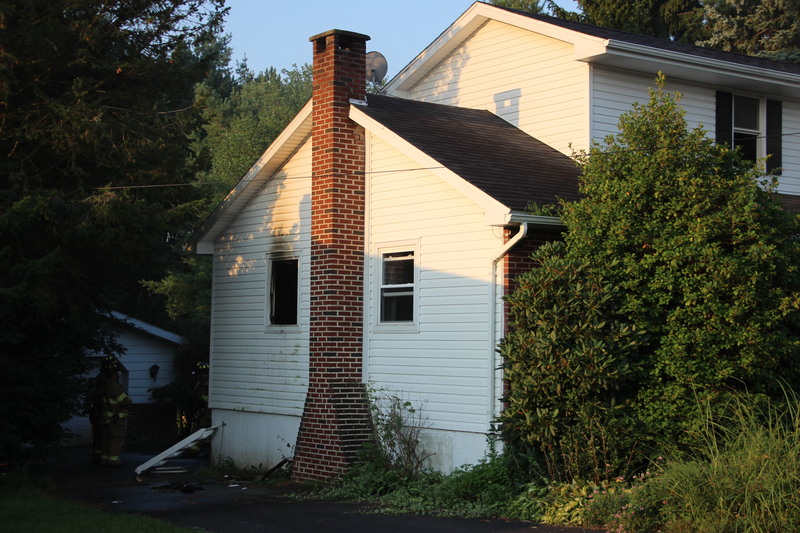 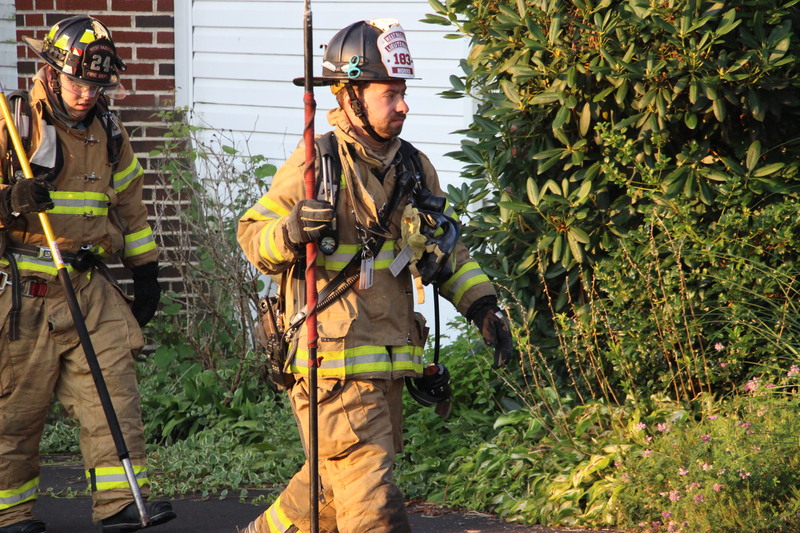 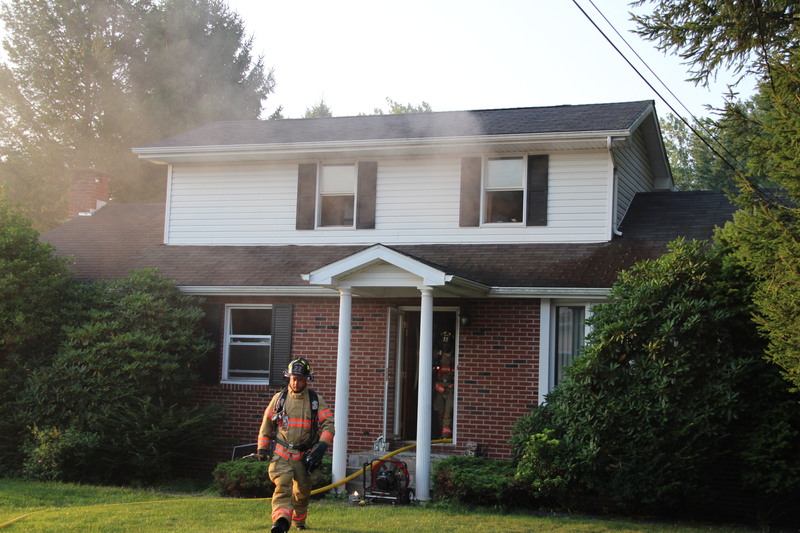 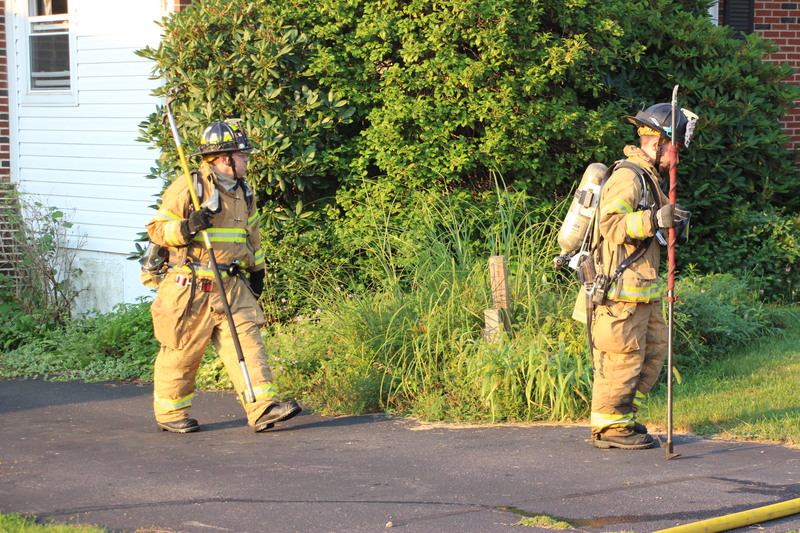 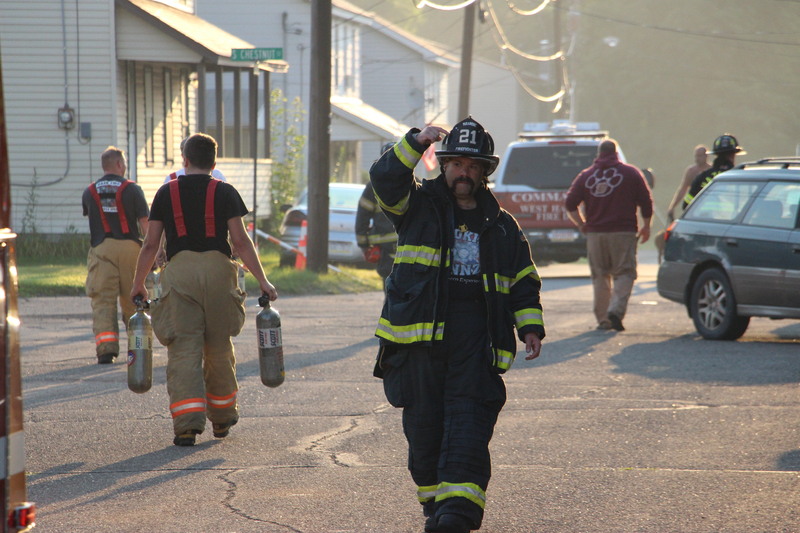 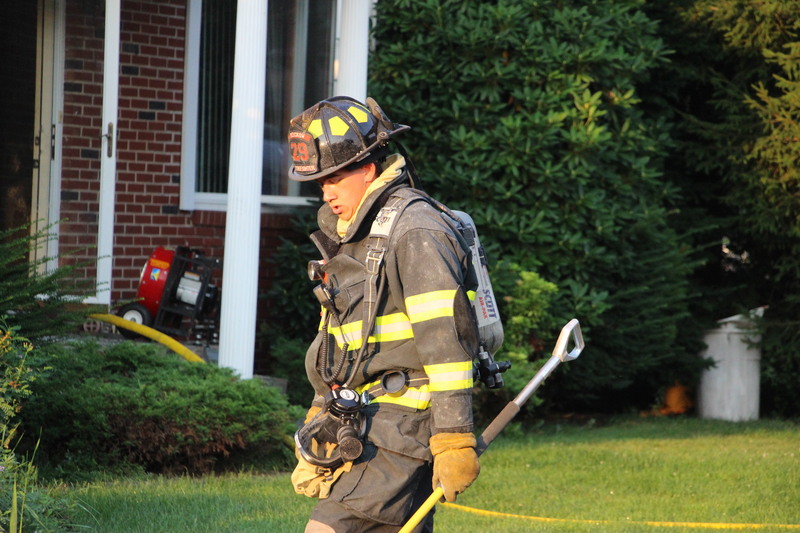 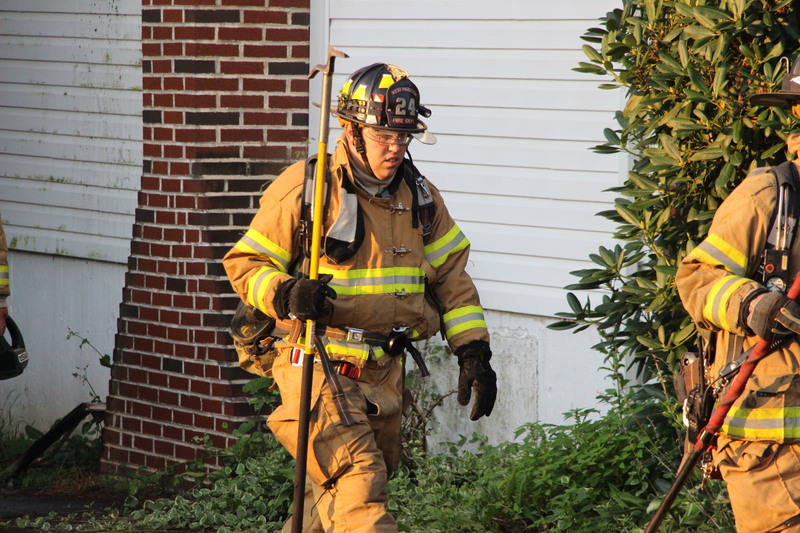 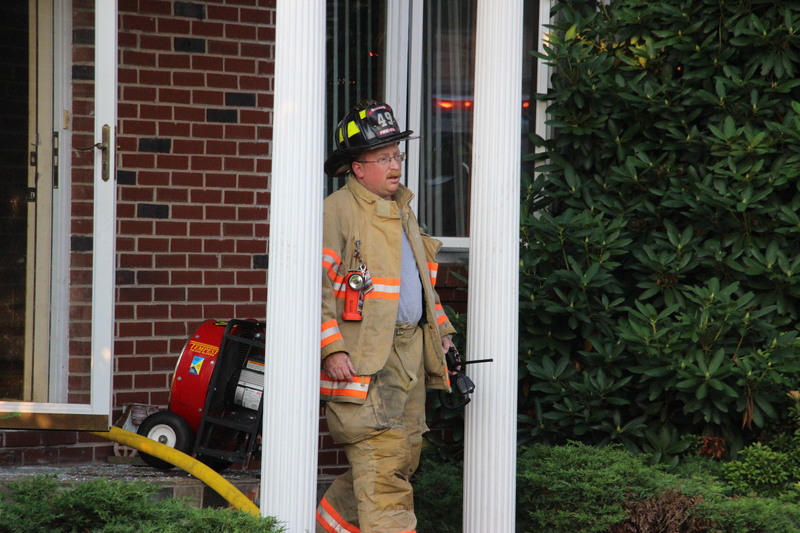 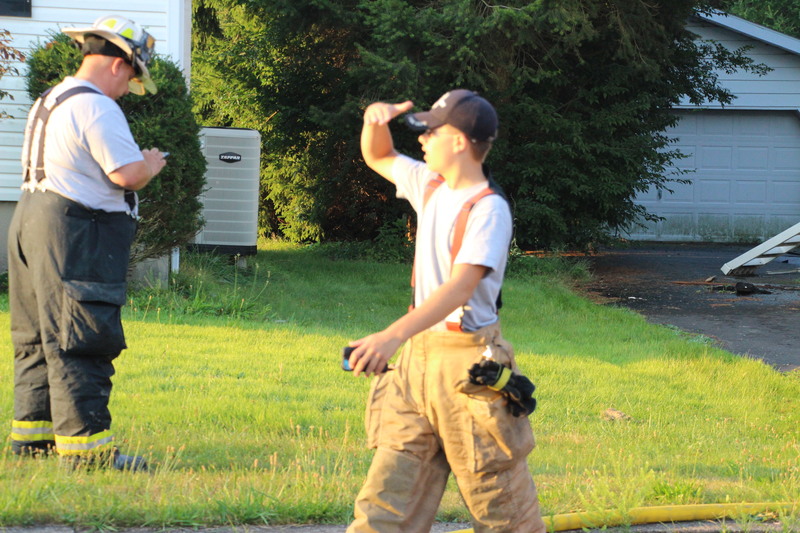 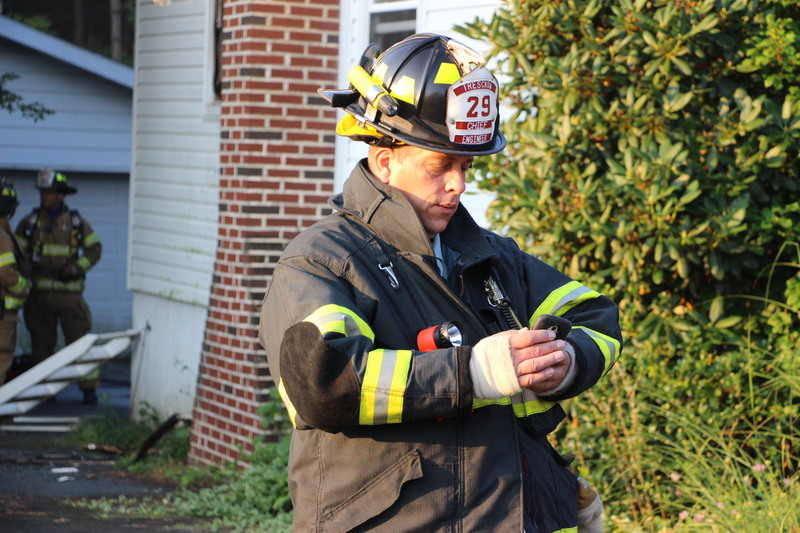 Emergency personnel were dispatched around 6:30 AM to 14 West Cherry Street for a working house fire. 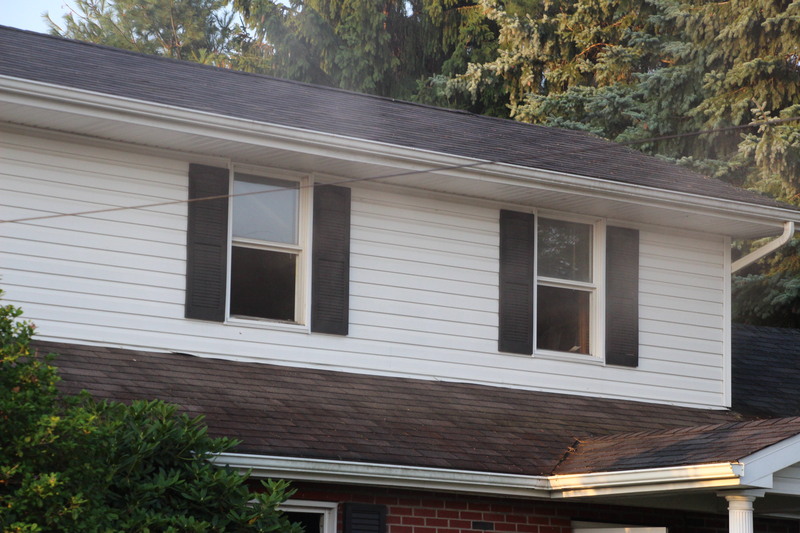 Firefighters arrived to see heavy smoke and flames shooting out the side window of the second floor and part of the back of the home. 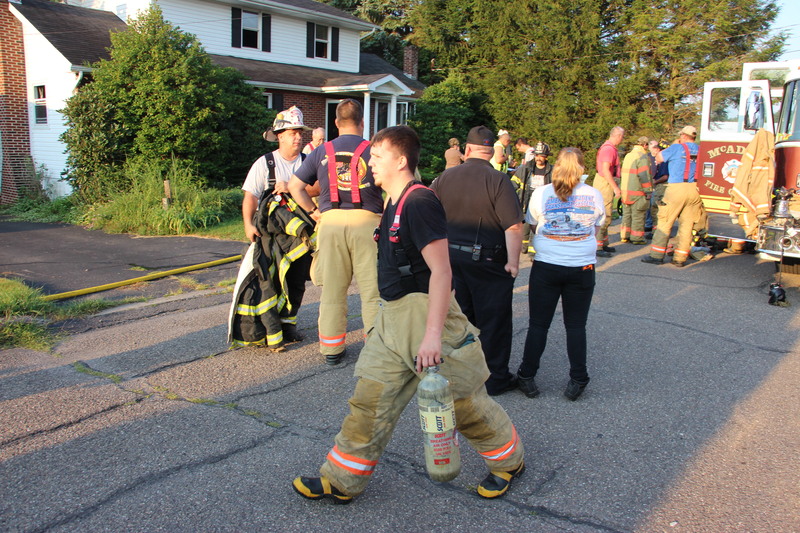 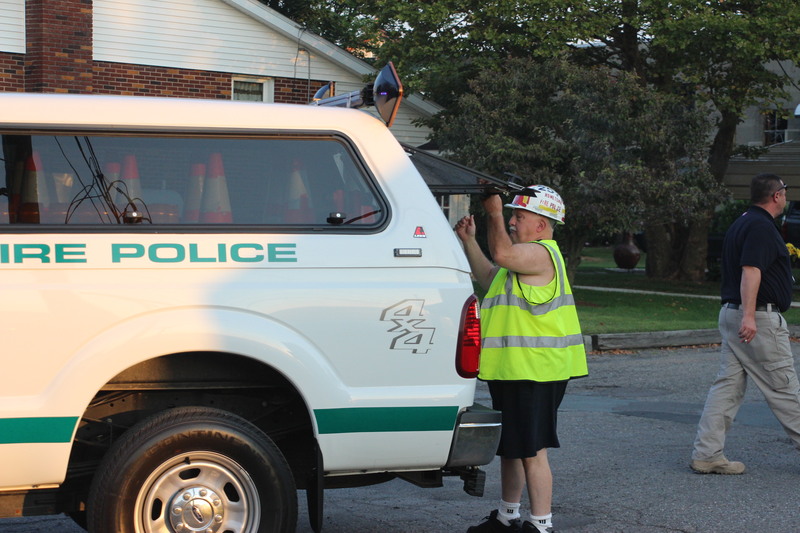 Officials said no one was home at the time. 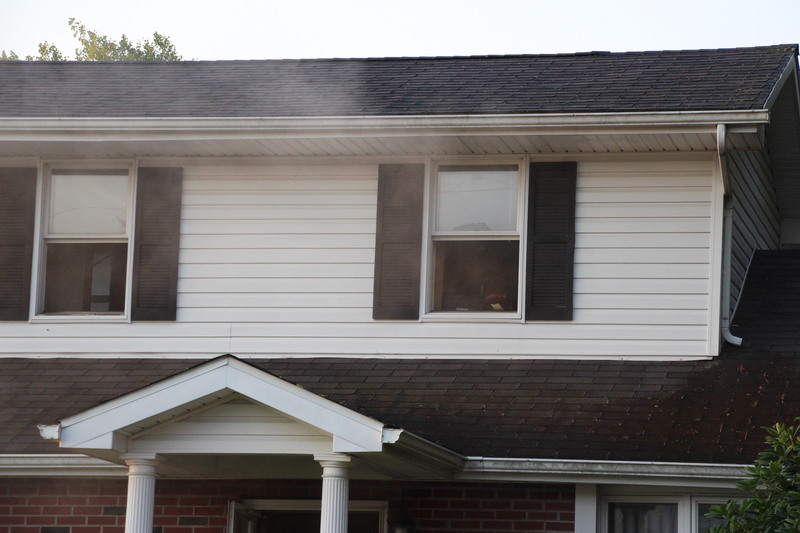 They added that the fire originated in the bedroom. 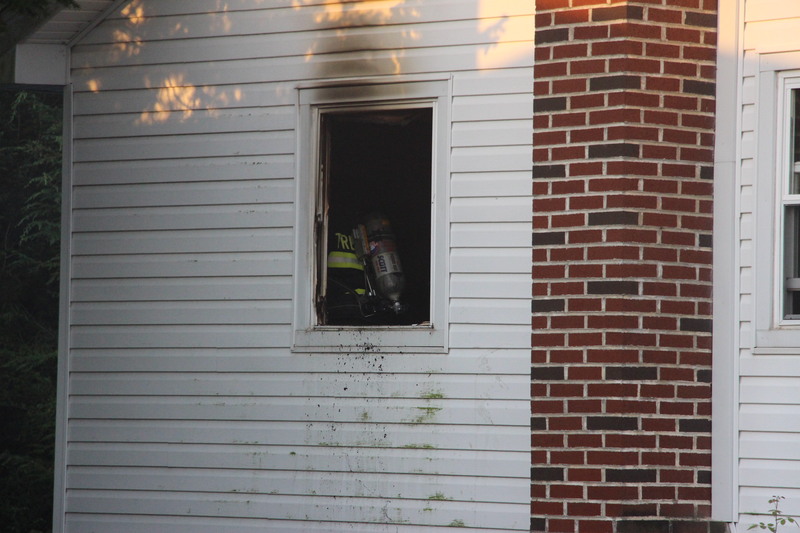 Very little damage could be seen from the outside, but was told the inside suffered major damage. 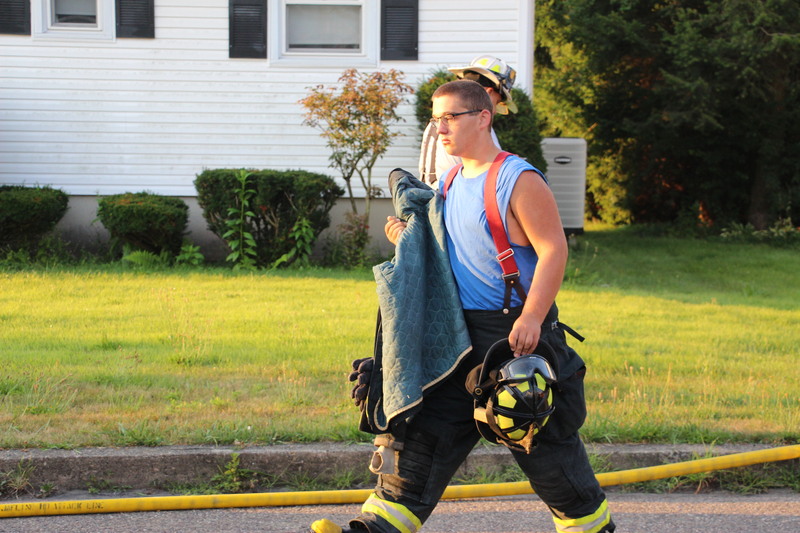 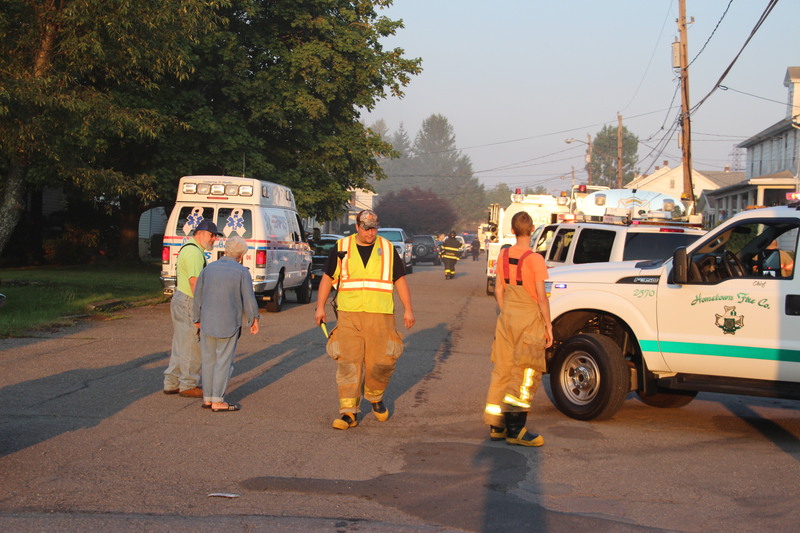 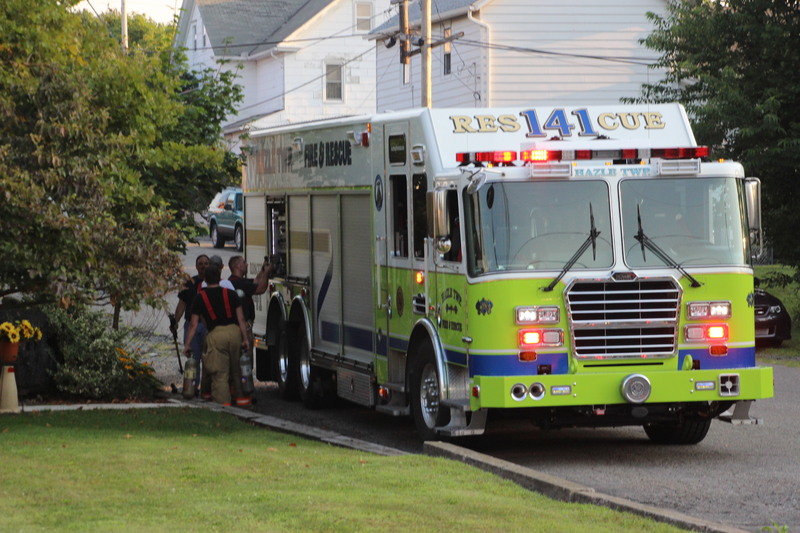 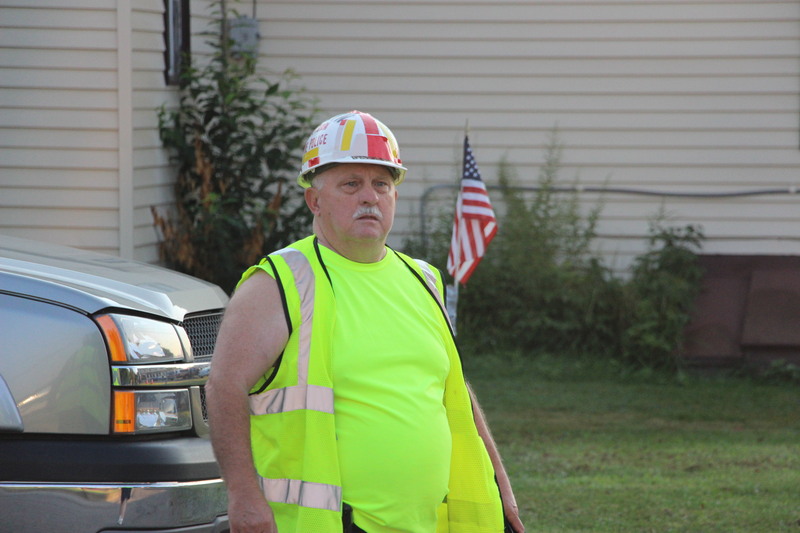 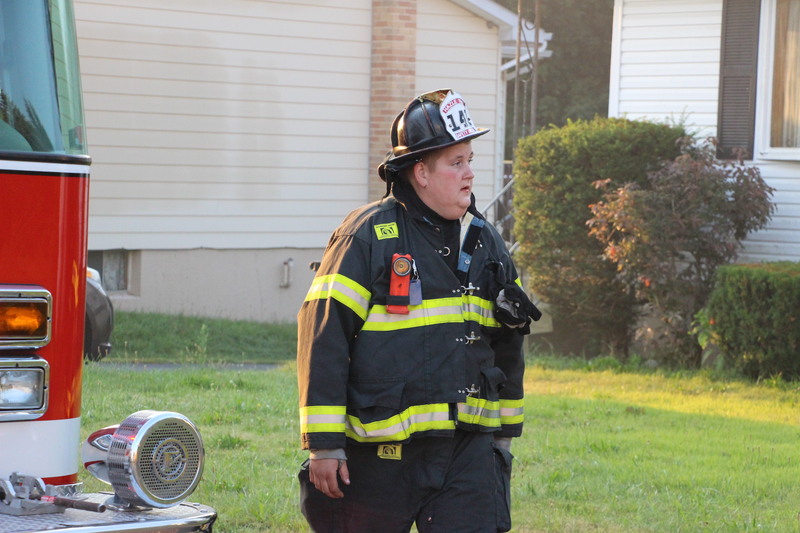 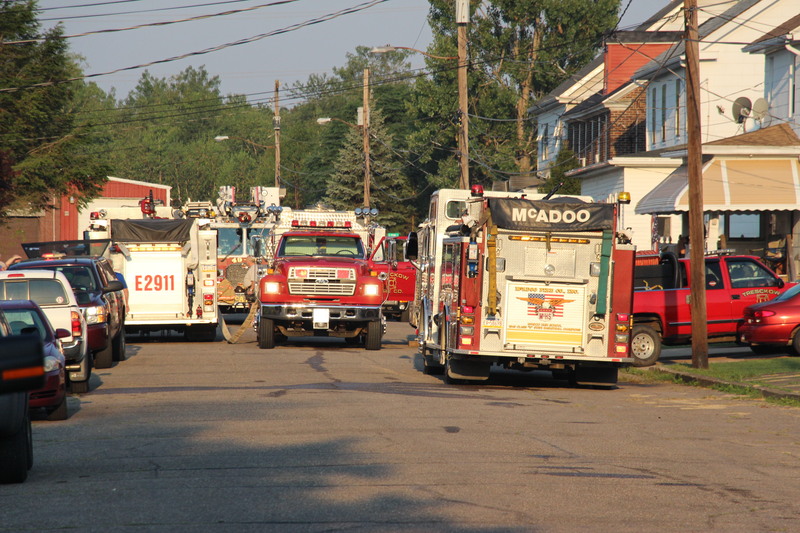 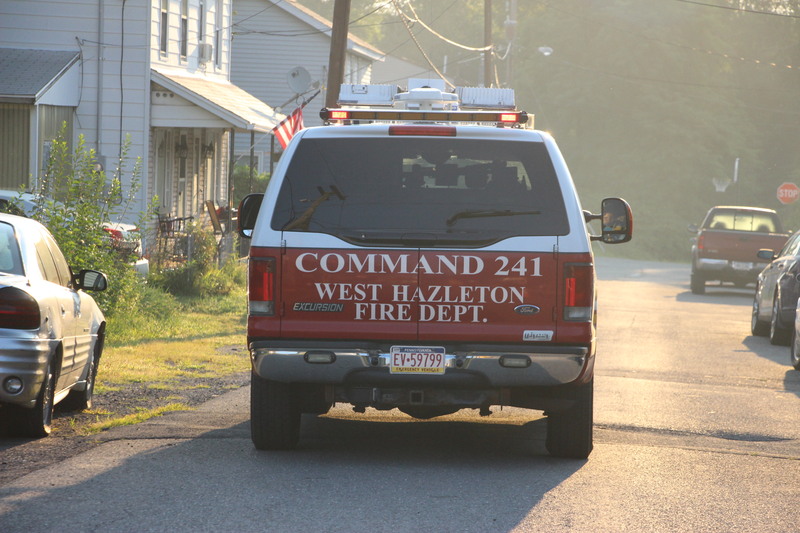 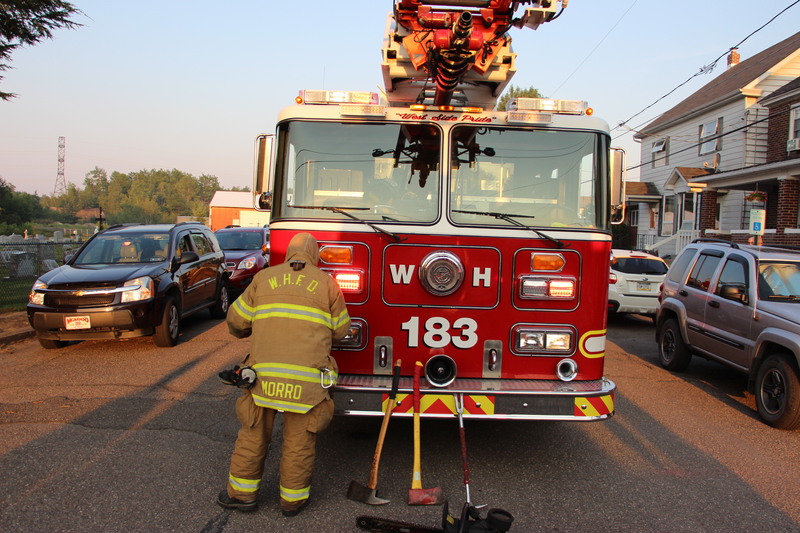 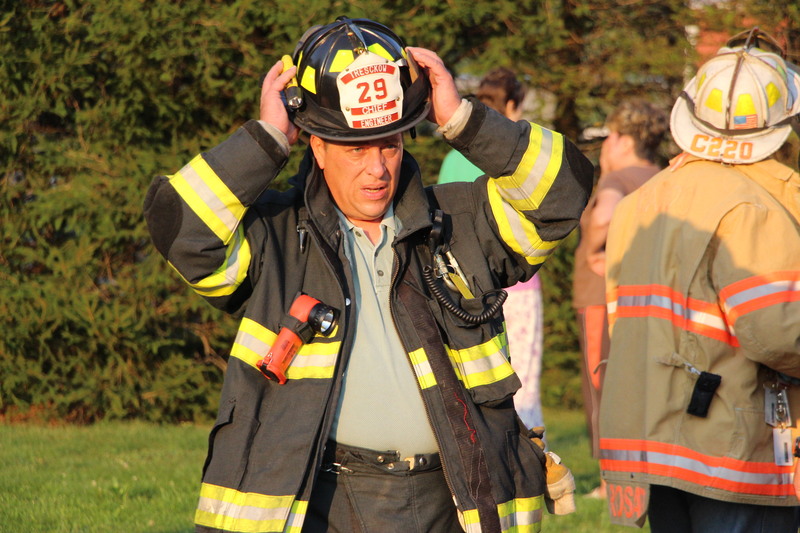 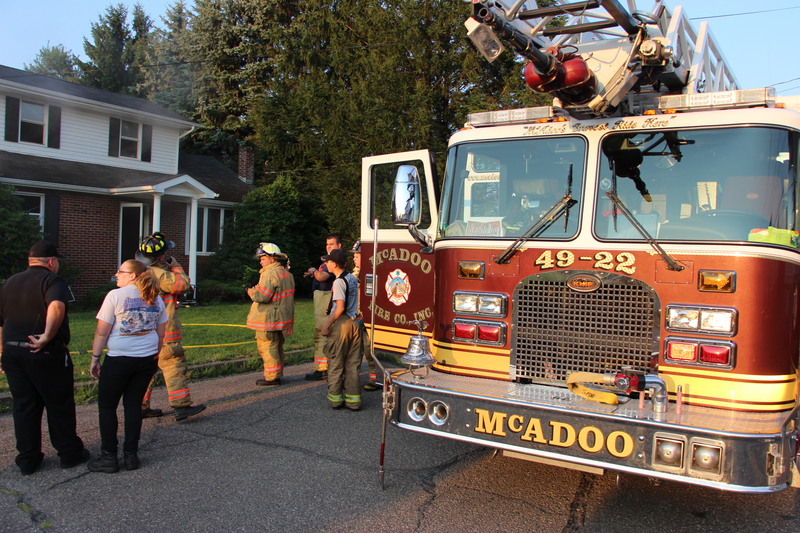 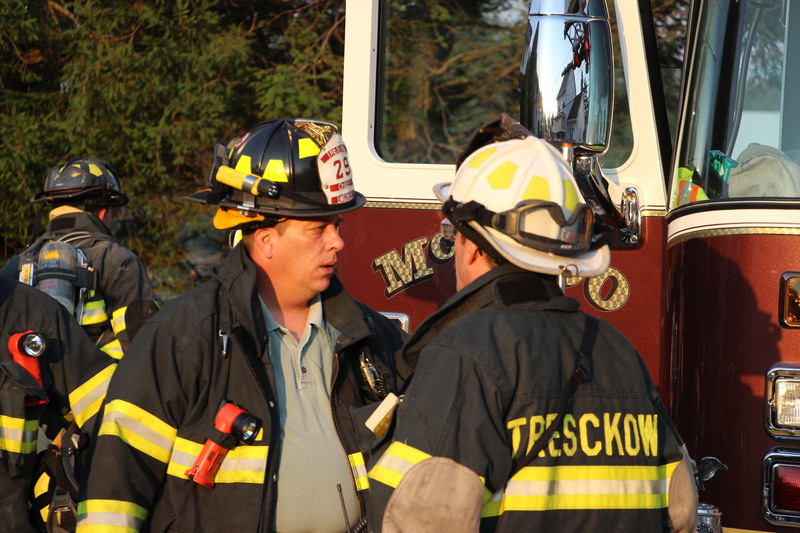 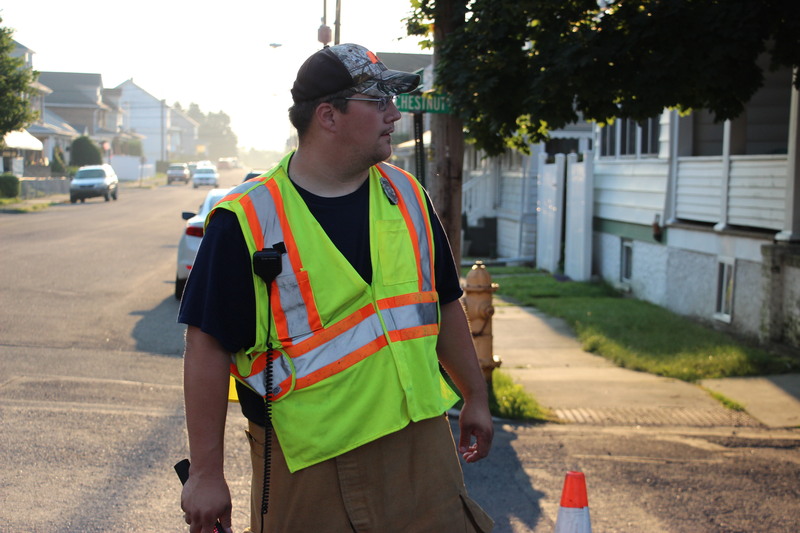 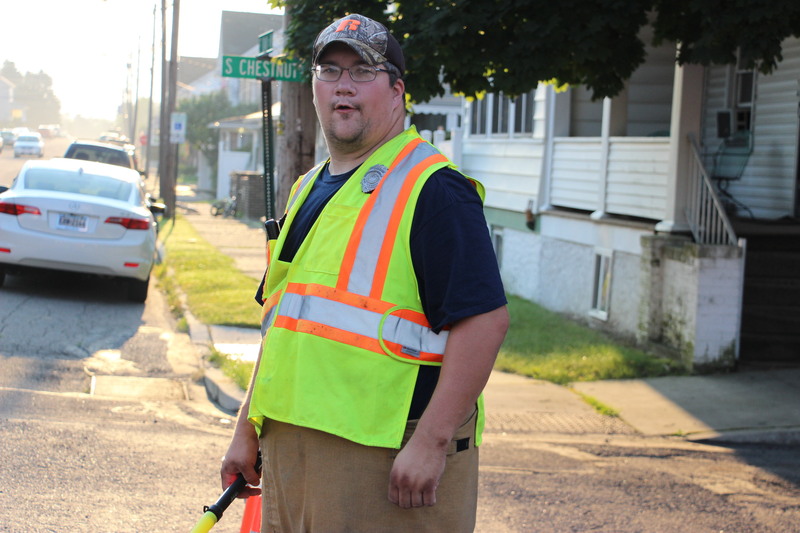 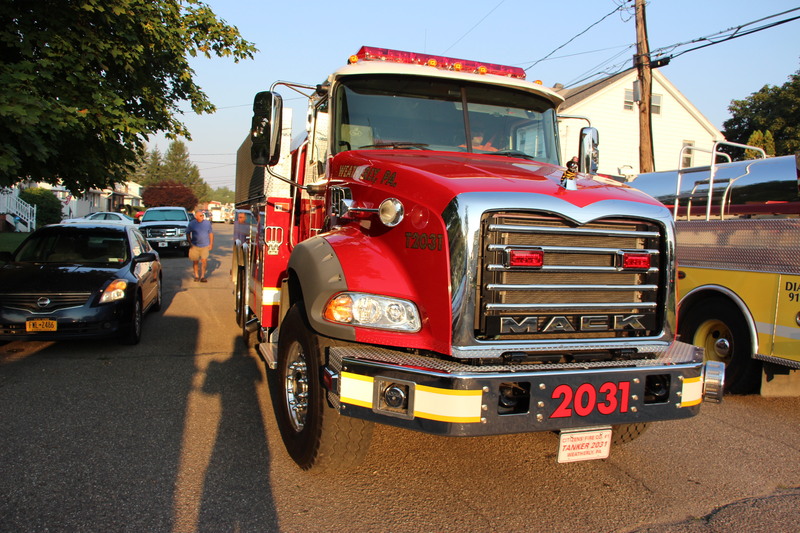 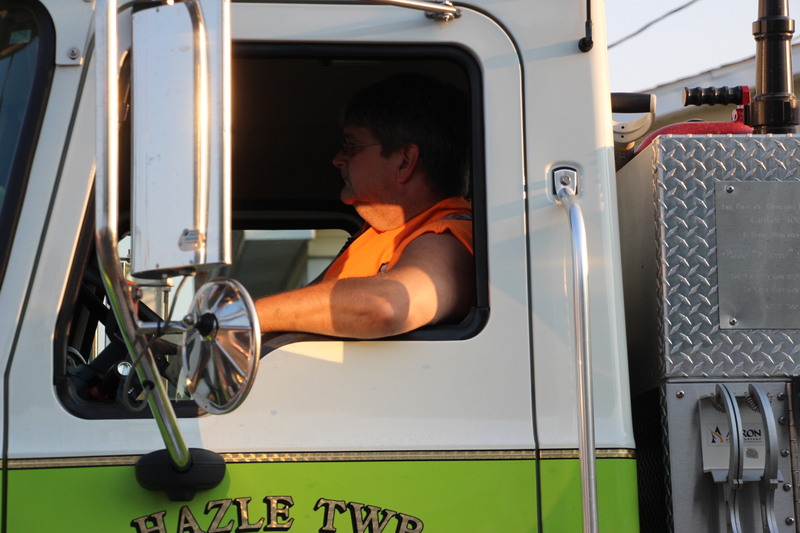 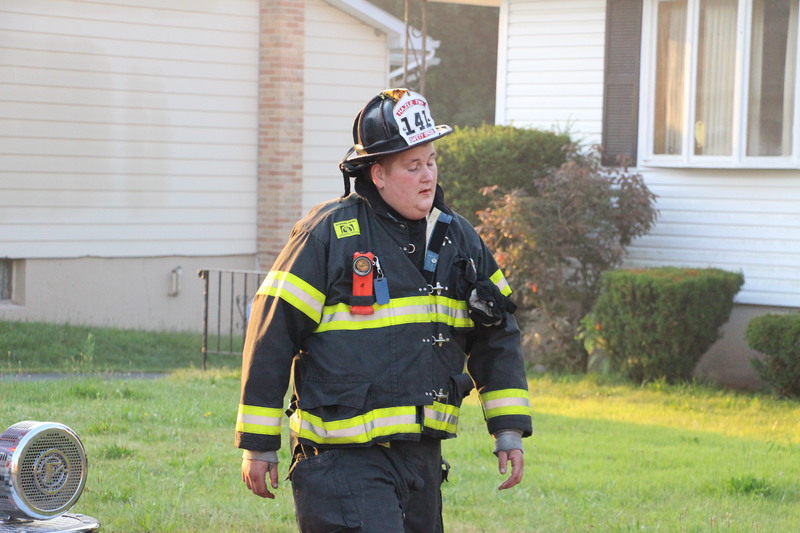 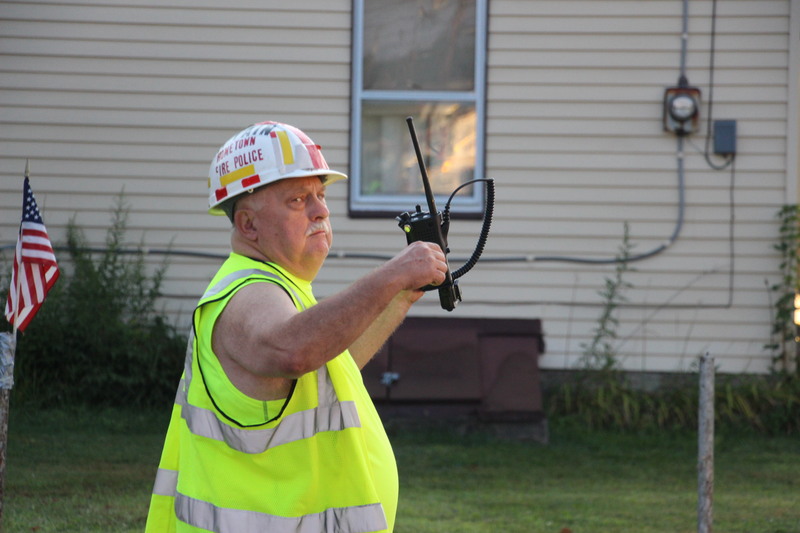 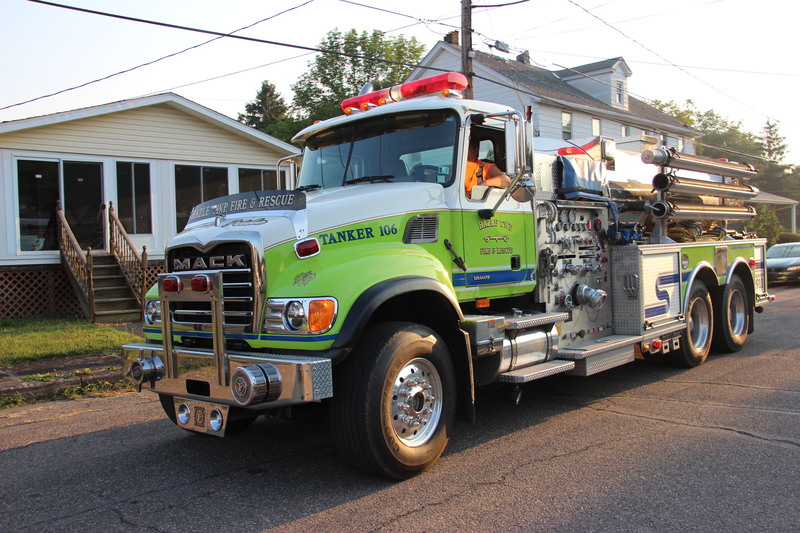 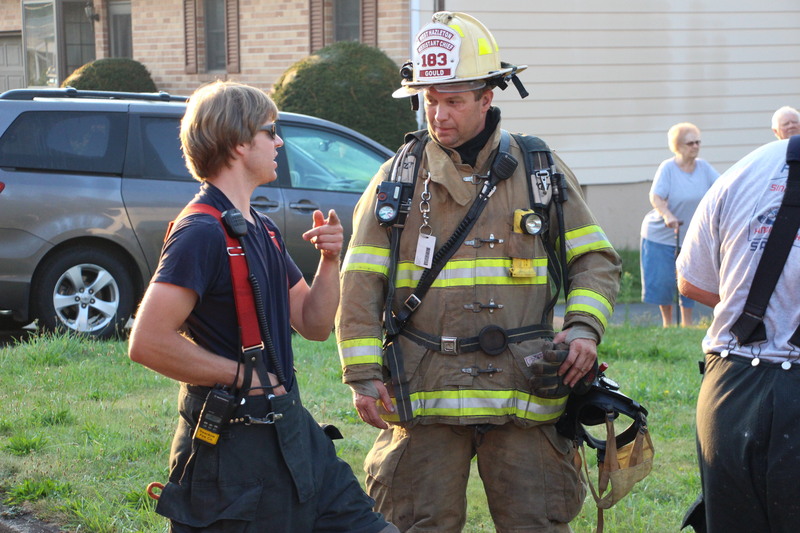 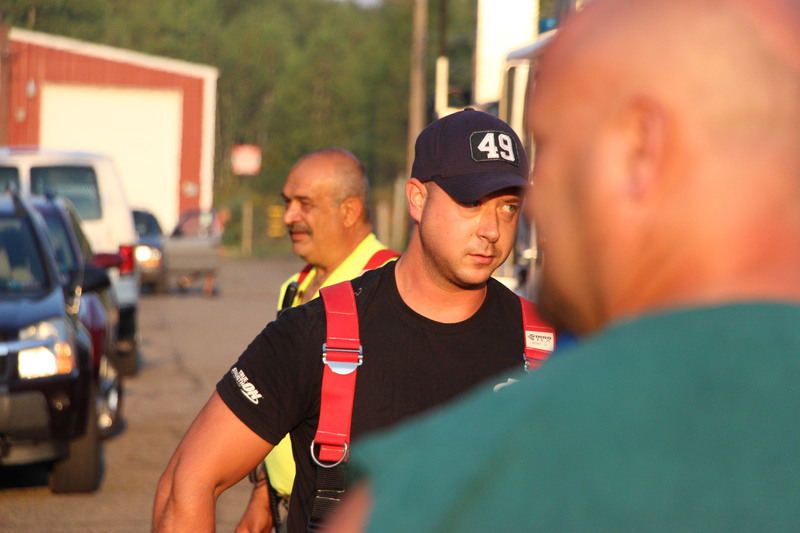 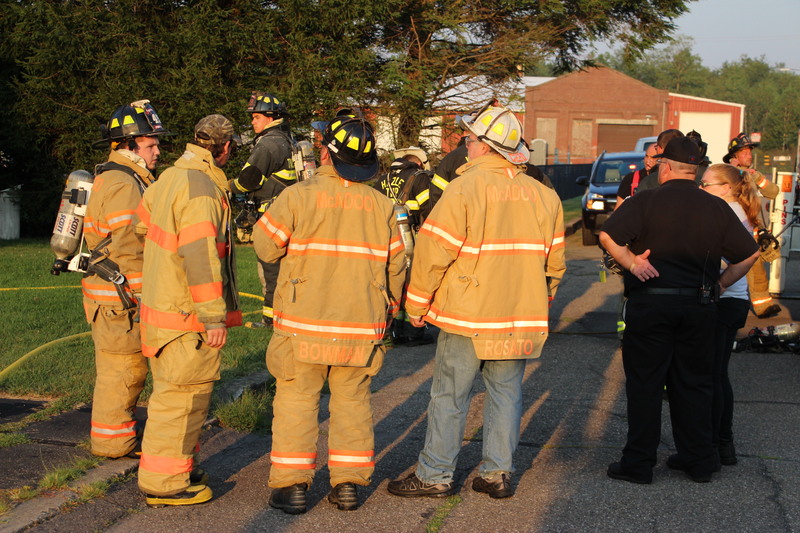 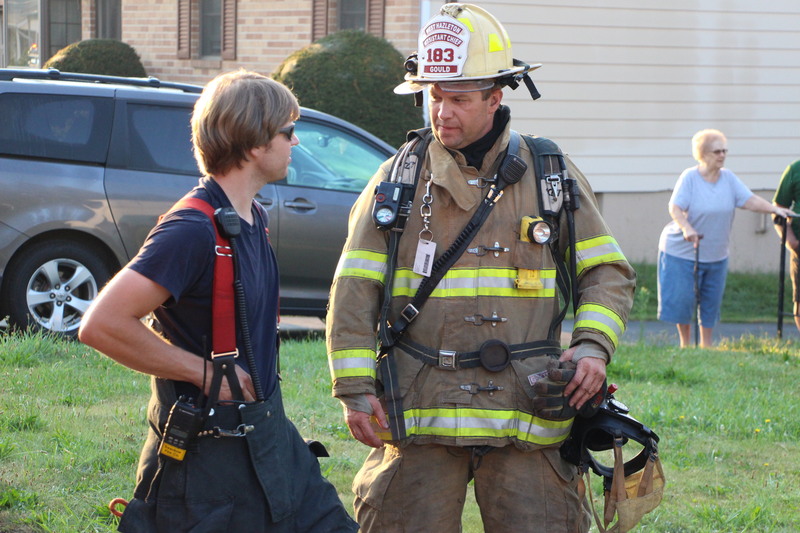 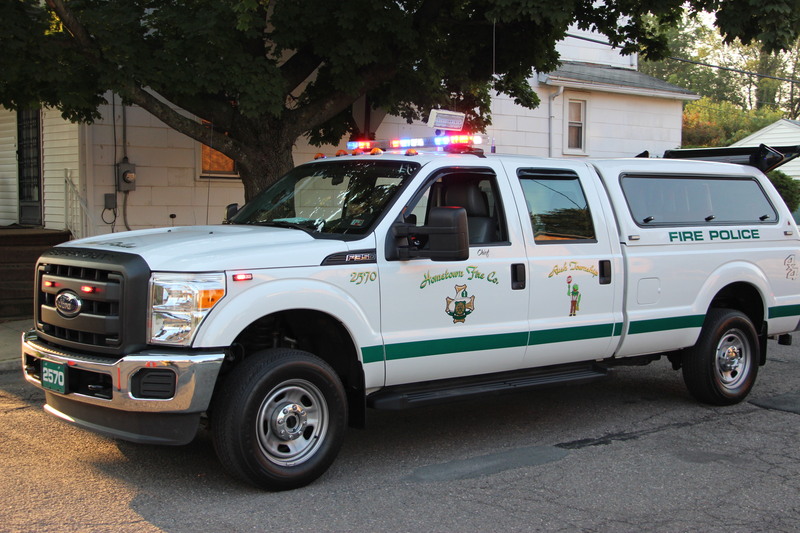 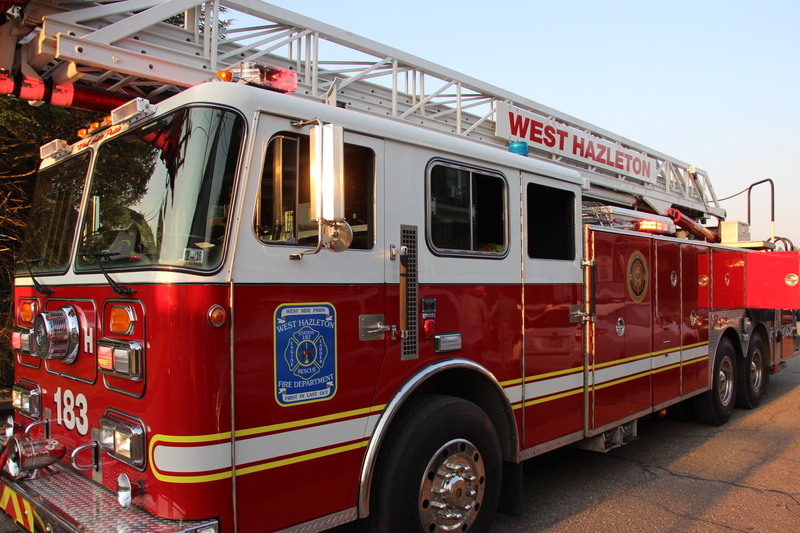 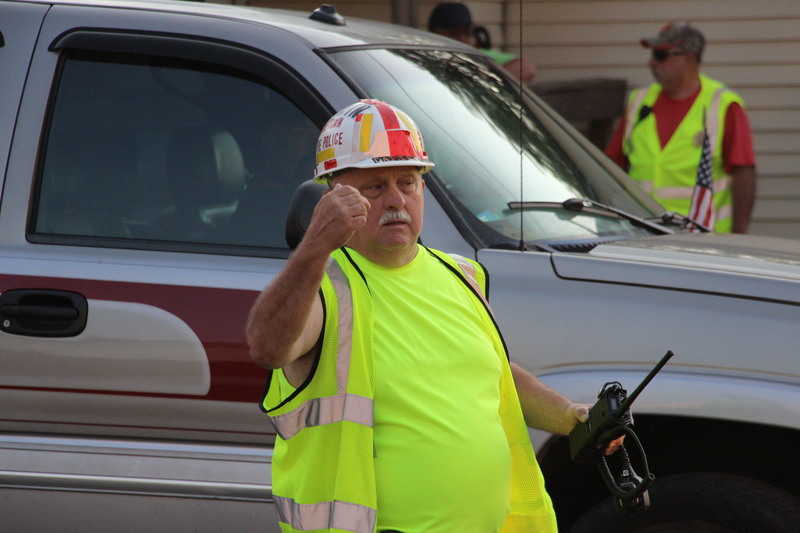 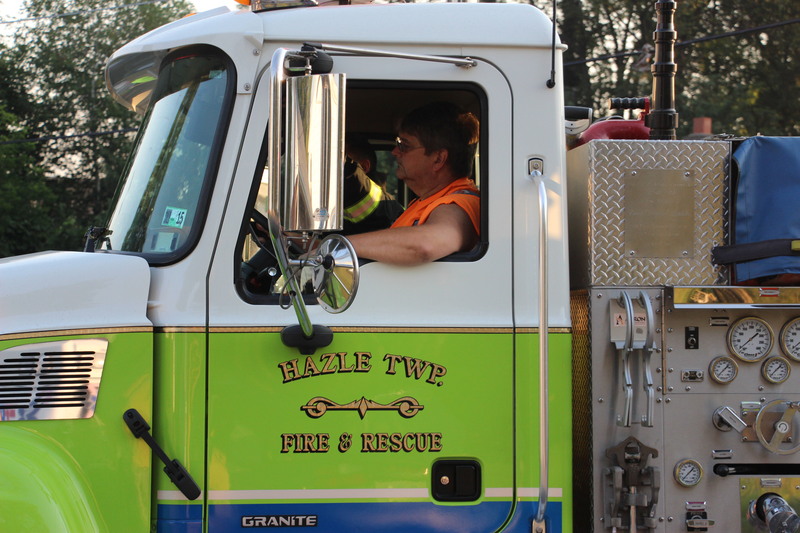 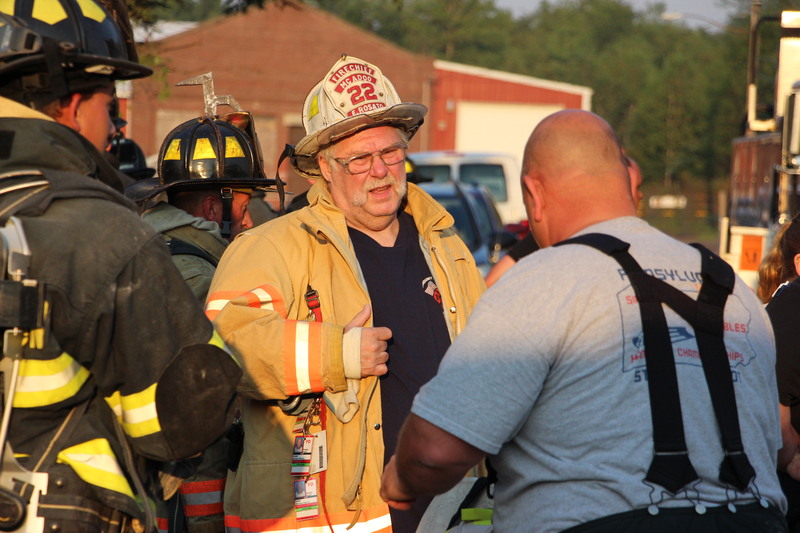 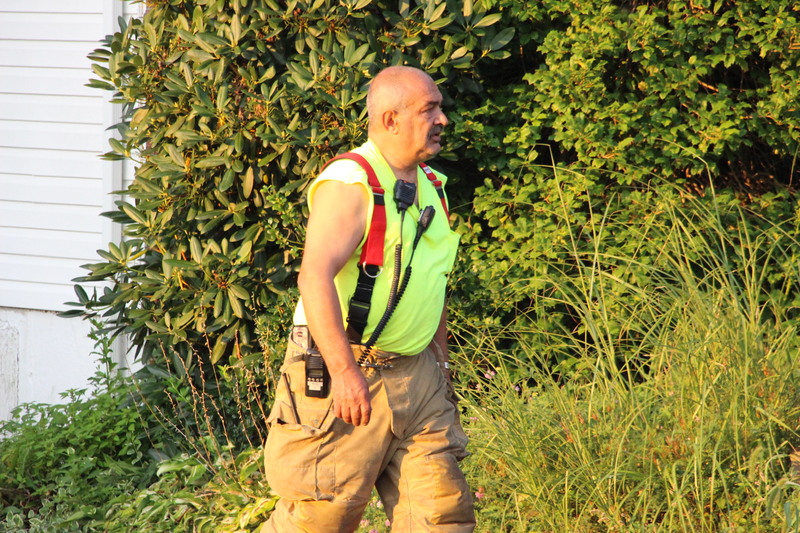 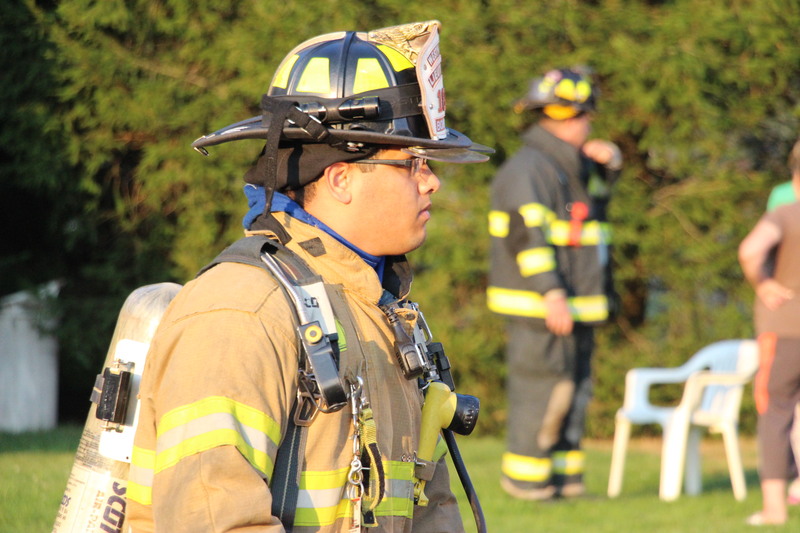 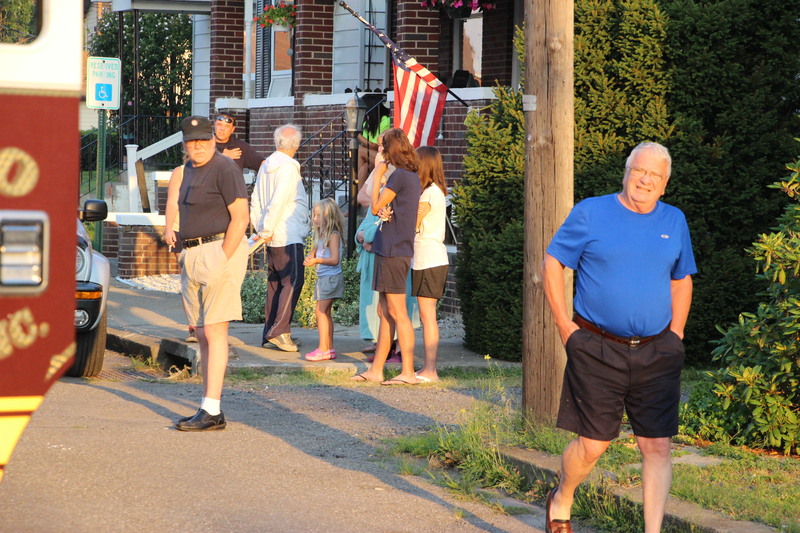 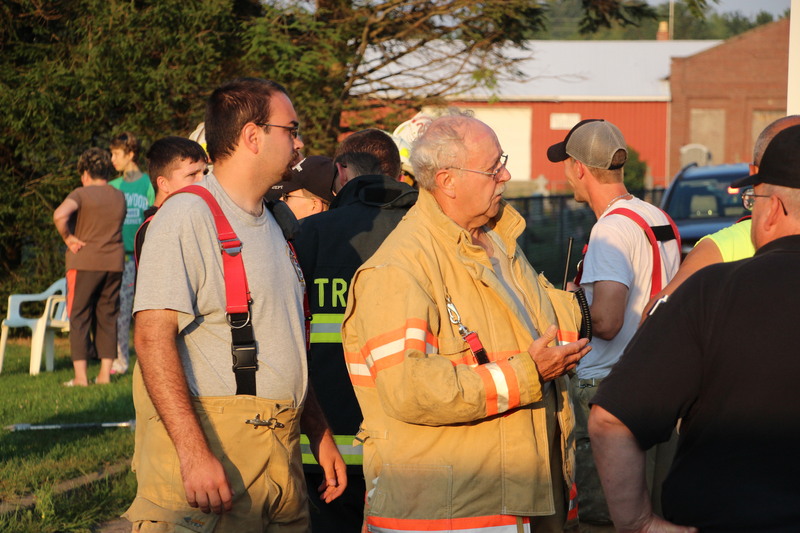 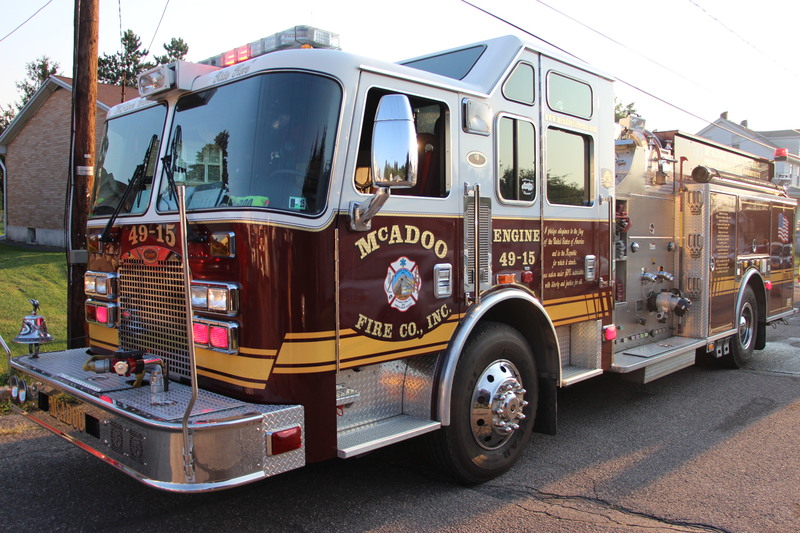 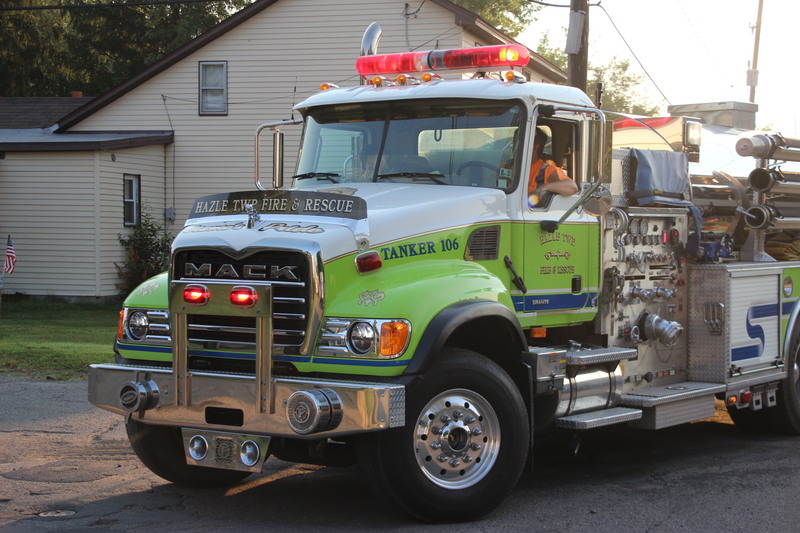 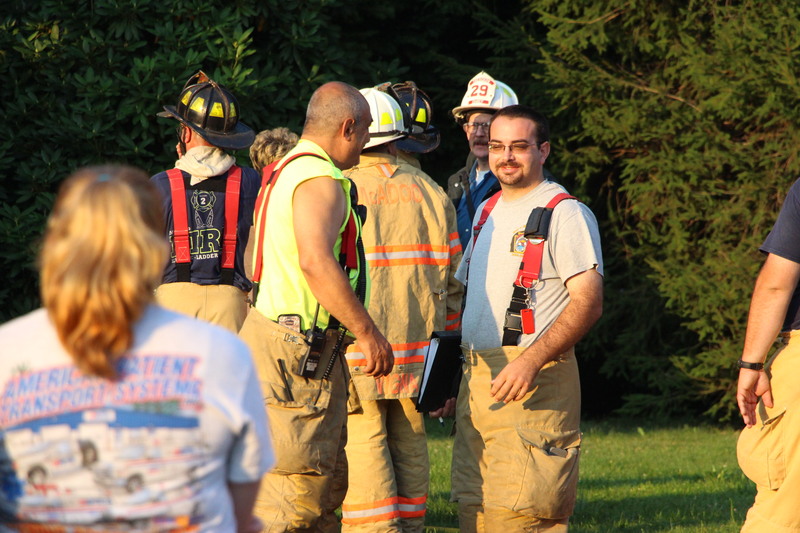 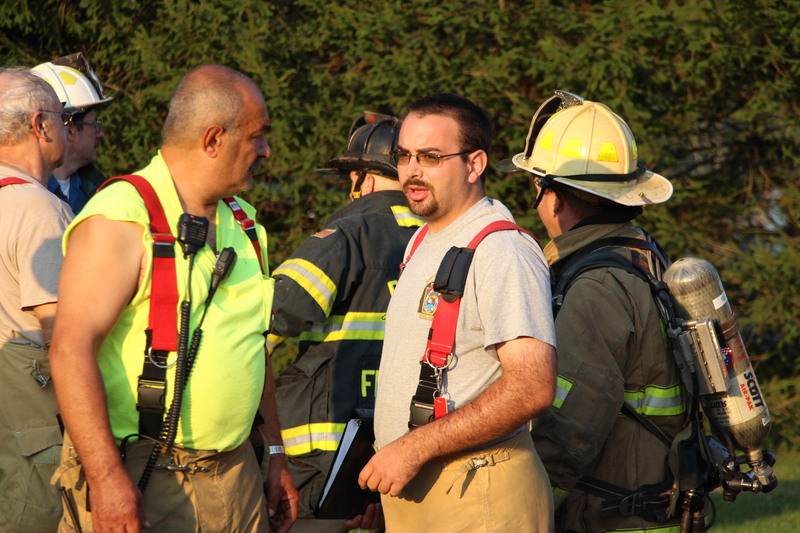 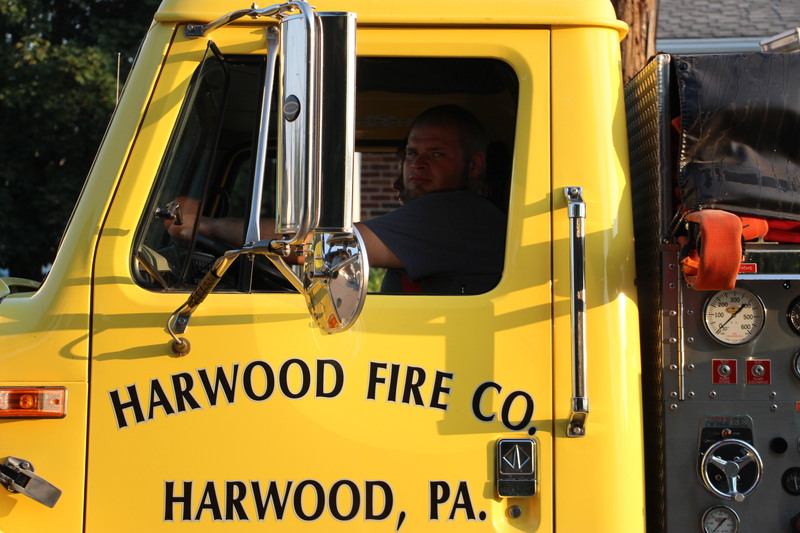 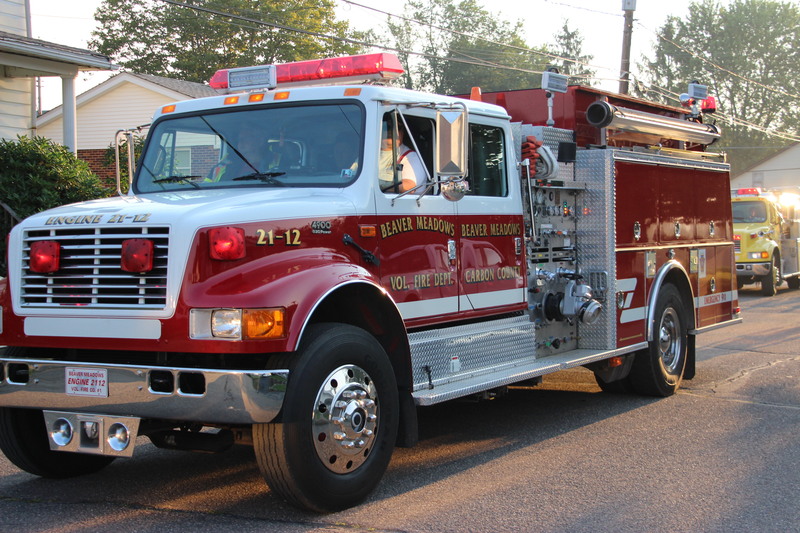 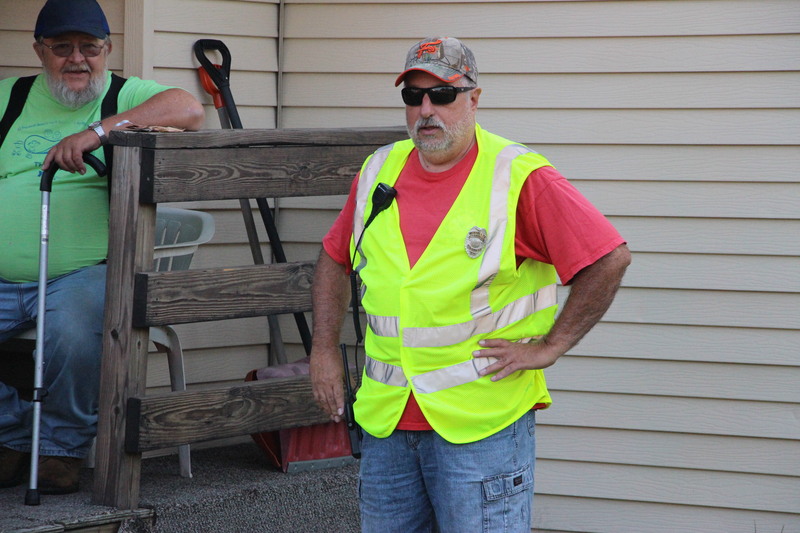 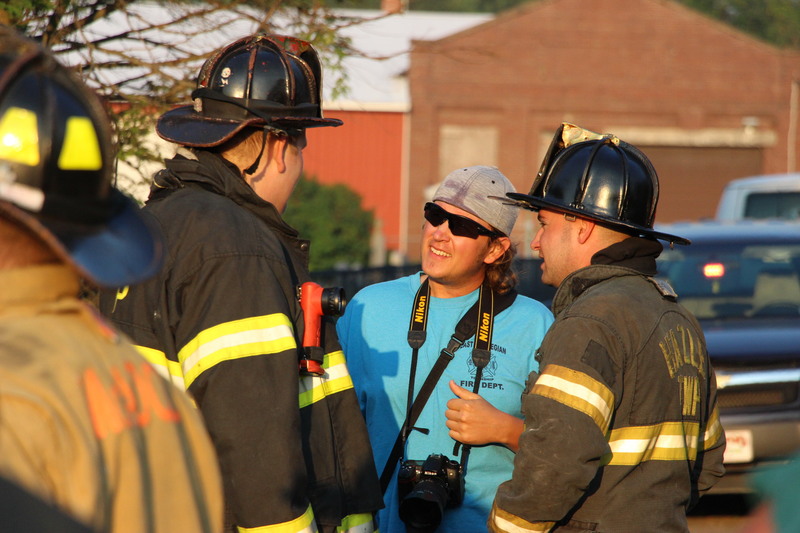 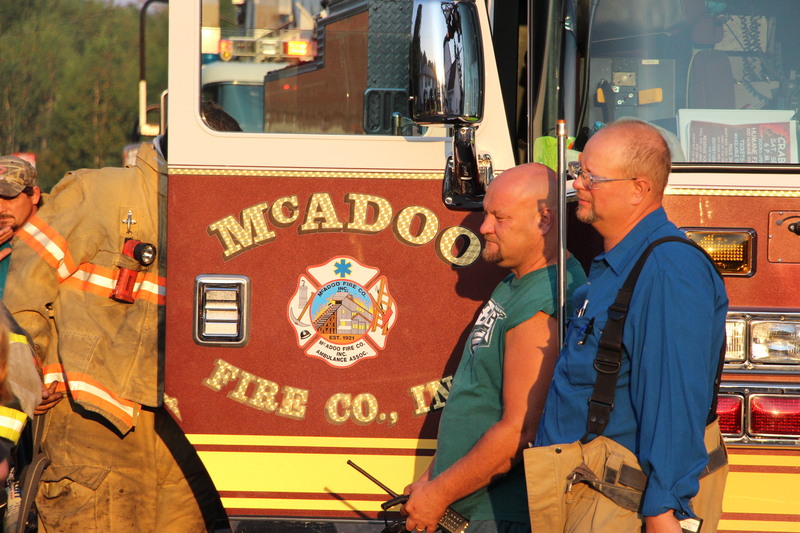 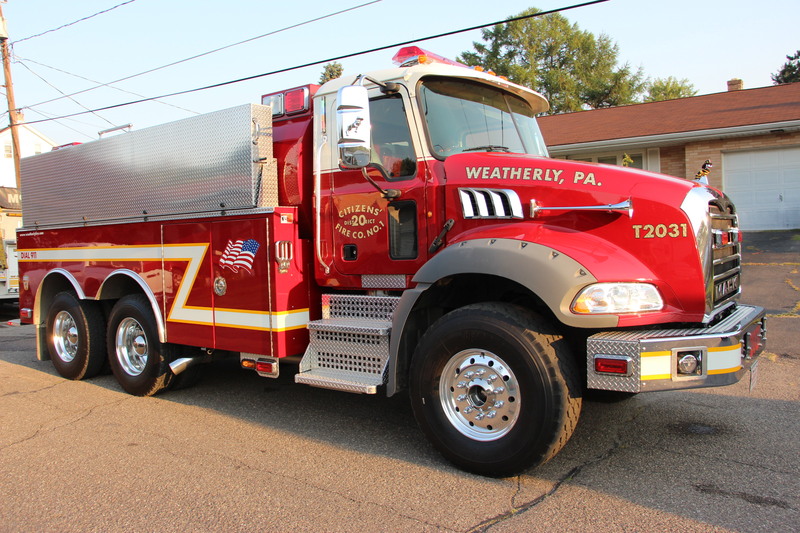 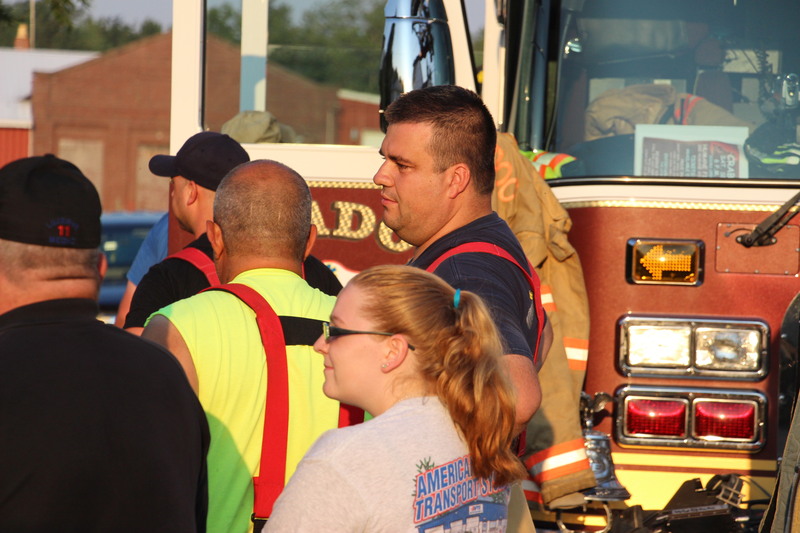 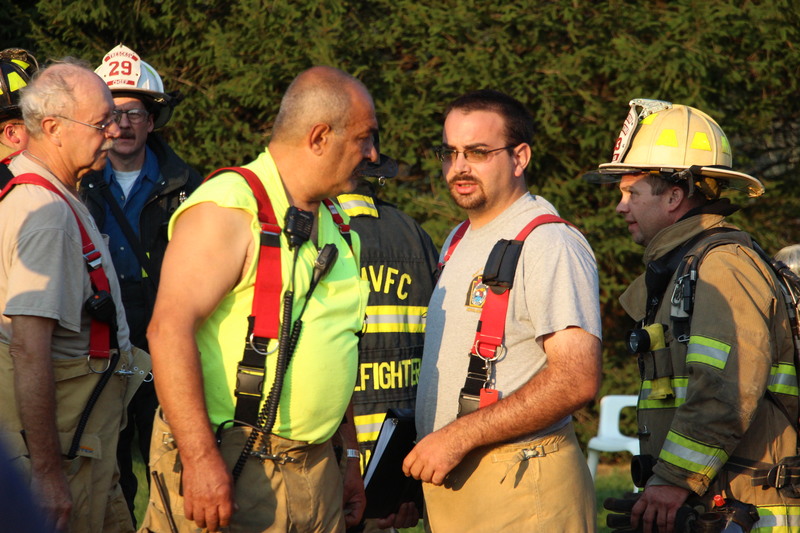 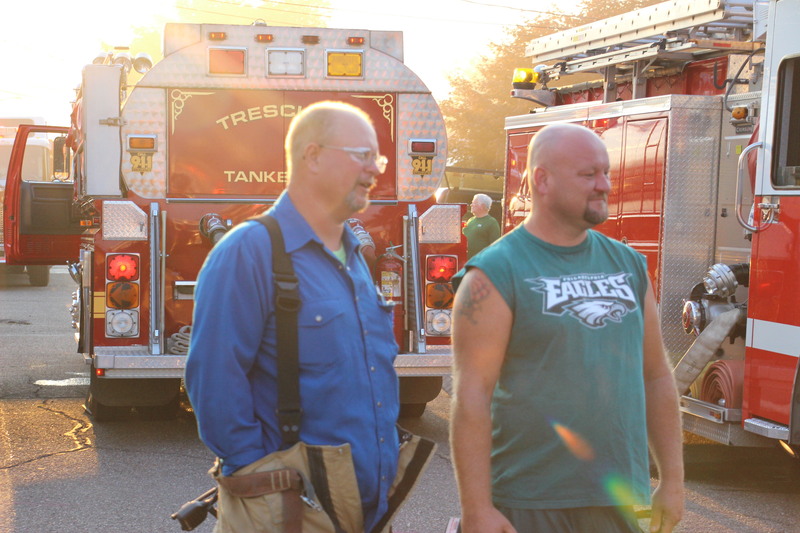 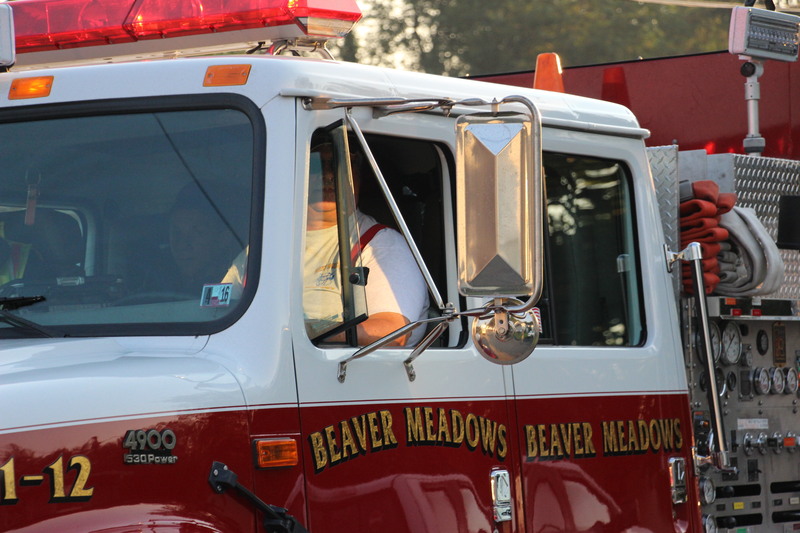 Responding were Tresckow Fire Company, McAdoo Fire Company, Hometown Fire Company, Hometown Fire Police, Hazleton Fire Department, and numerous others.